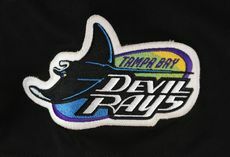 Inaugural season patch worn. 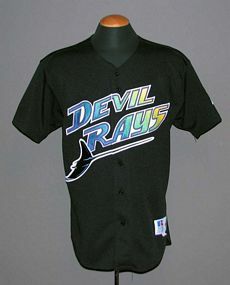 Black alternate is primarily a home shirt. 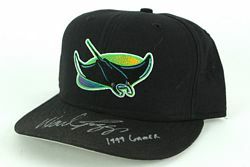 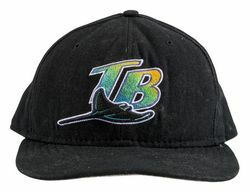 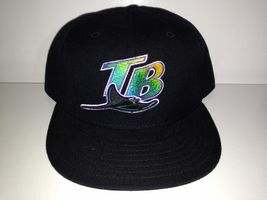 Original all-black road cap was worn as an alternate once or twice in 1998. 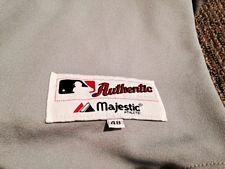 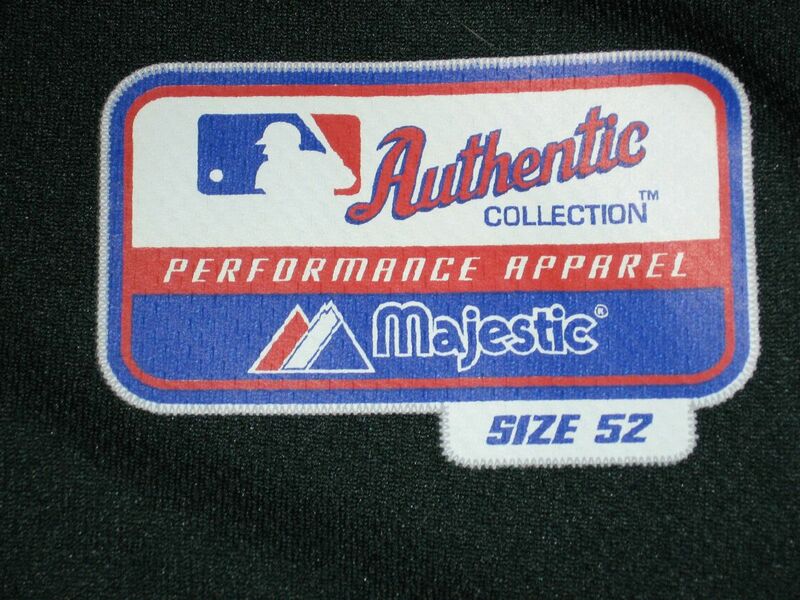 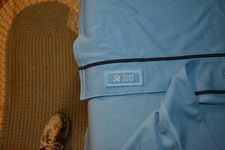 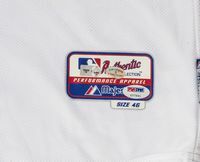 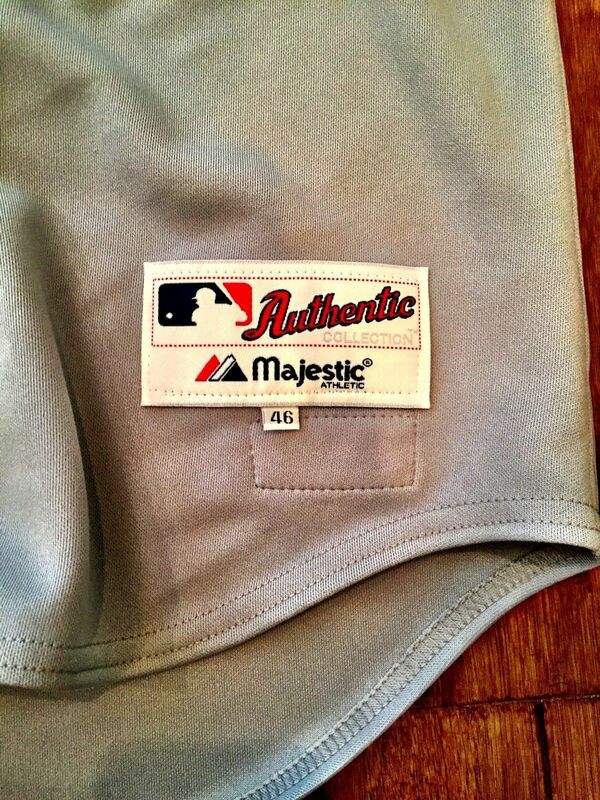 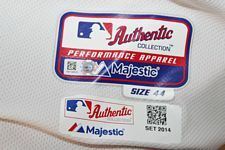 Sleeve patch changes to the team logo. 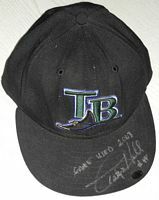 Original all-black road cap was worn as an alternate once or twice in 1999. 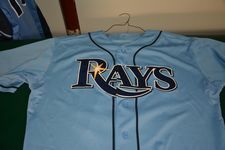 Complete redesign. Primary color changes to green. 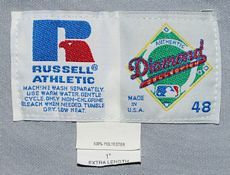 A vest is worn as a home alternate with the alternate cap. 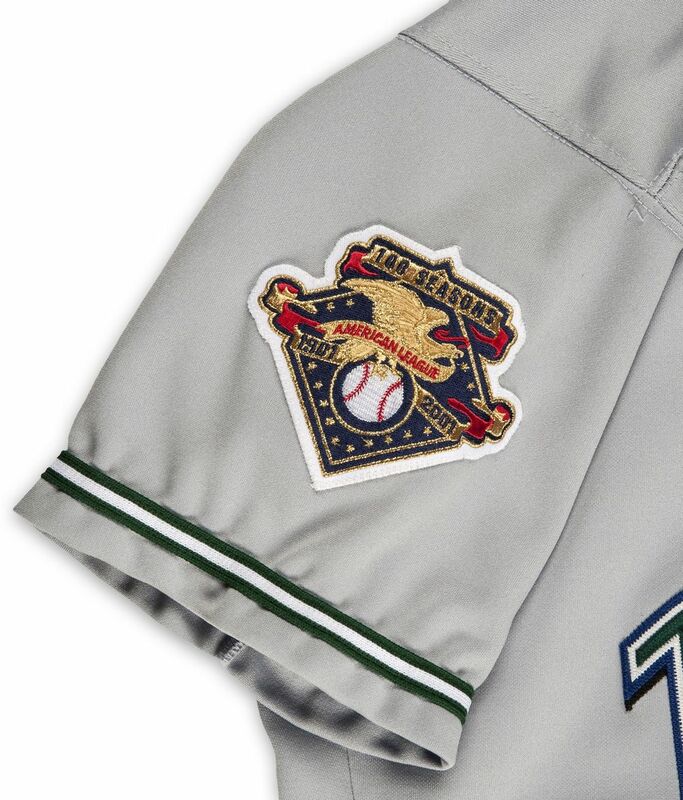 AL 100th anniversary patch worn 2001. The sleeved home jersey is dropped in favor of the vest. 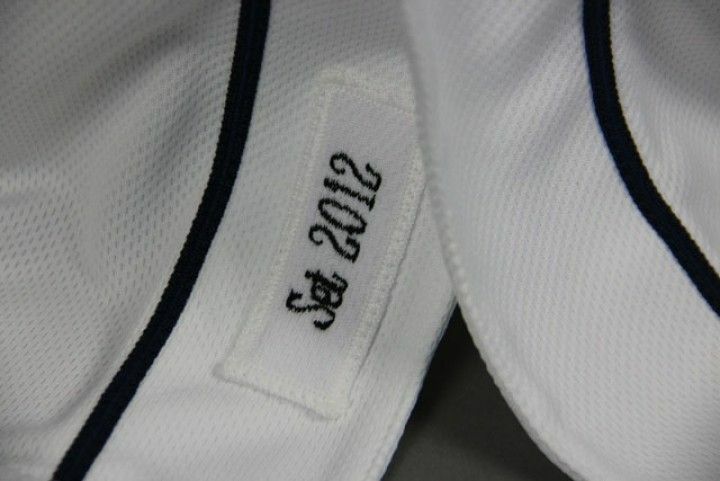 Script is changed on the road jersey, and an alternate road vest is introduced. 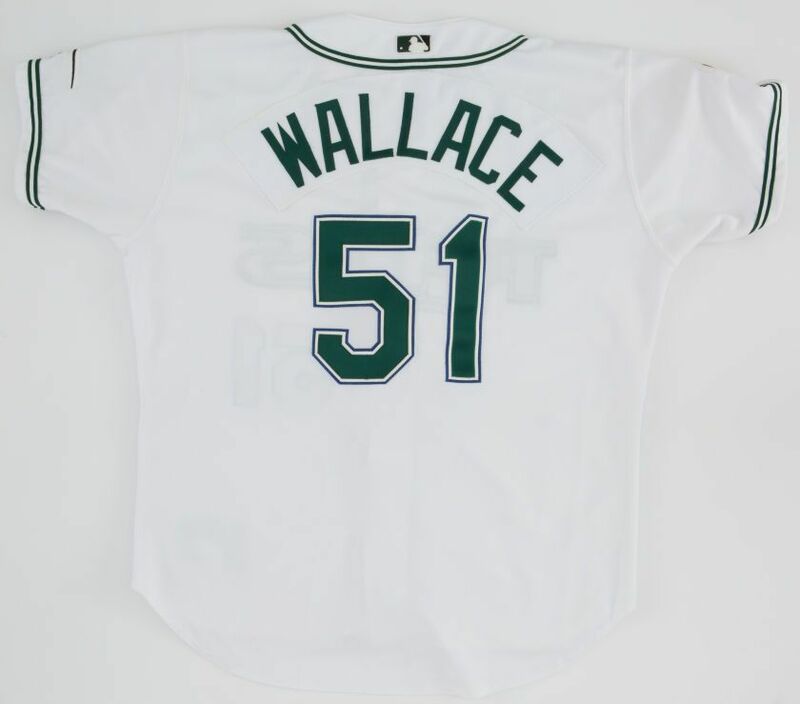 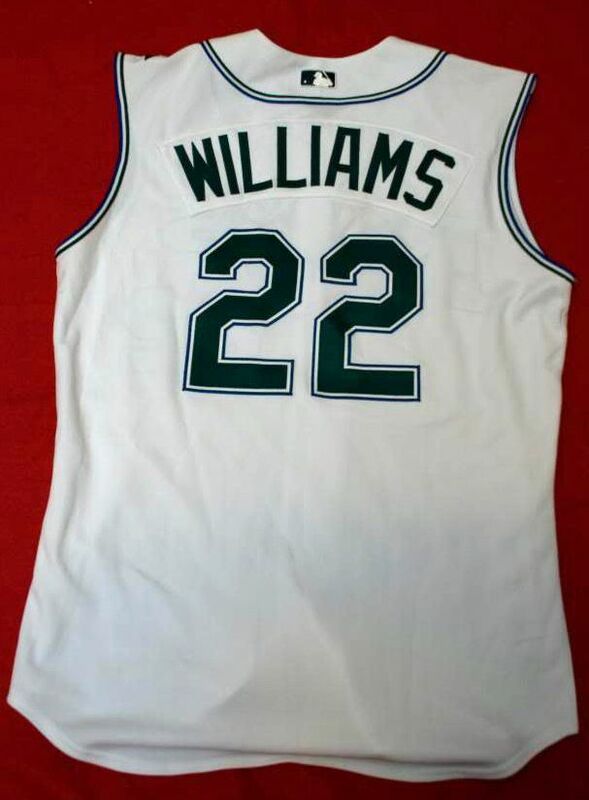 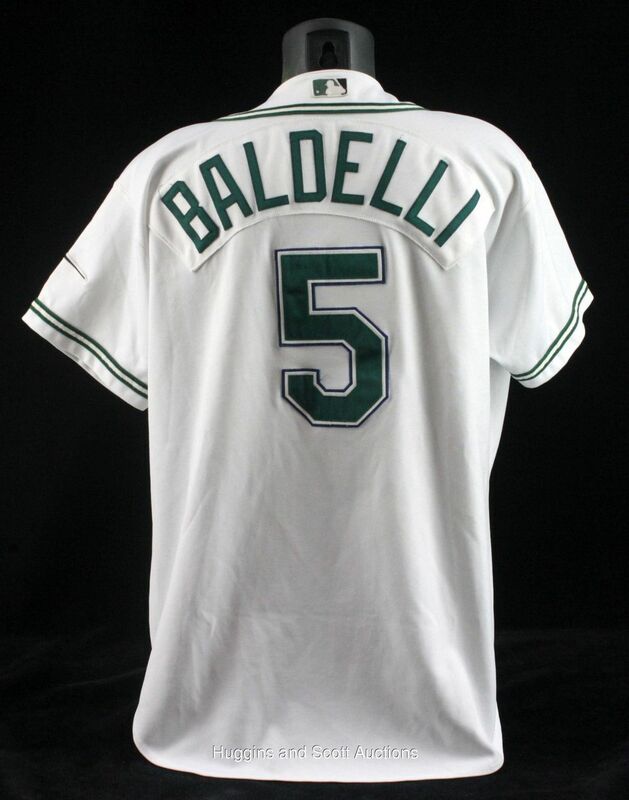 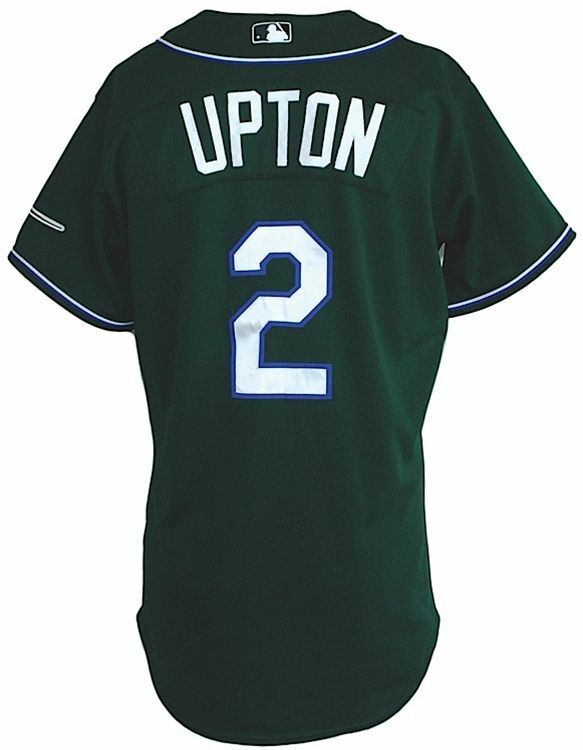 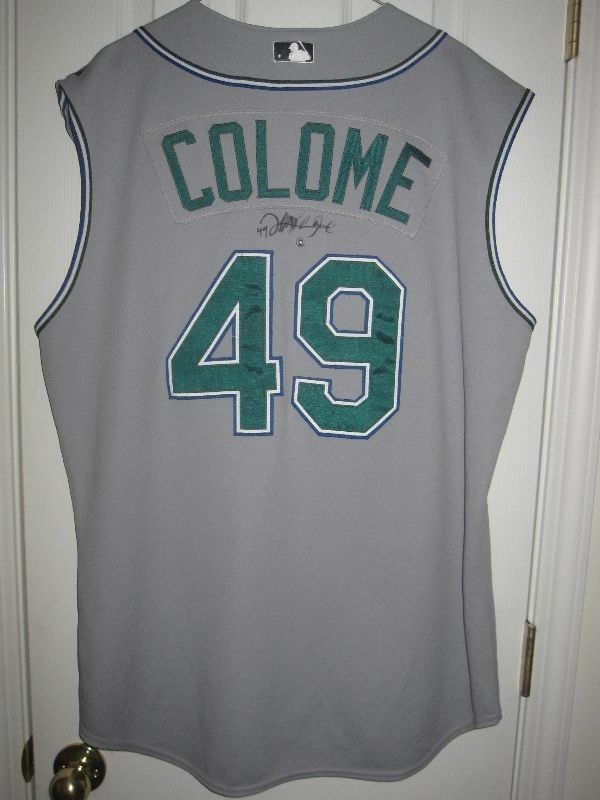 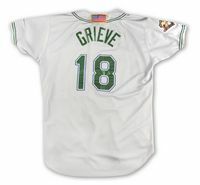 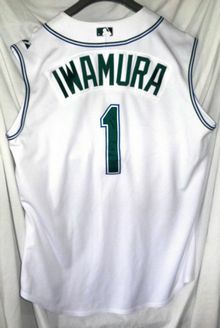 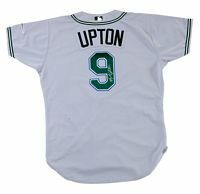 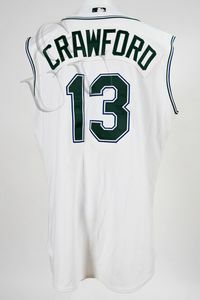 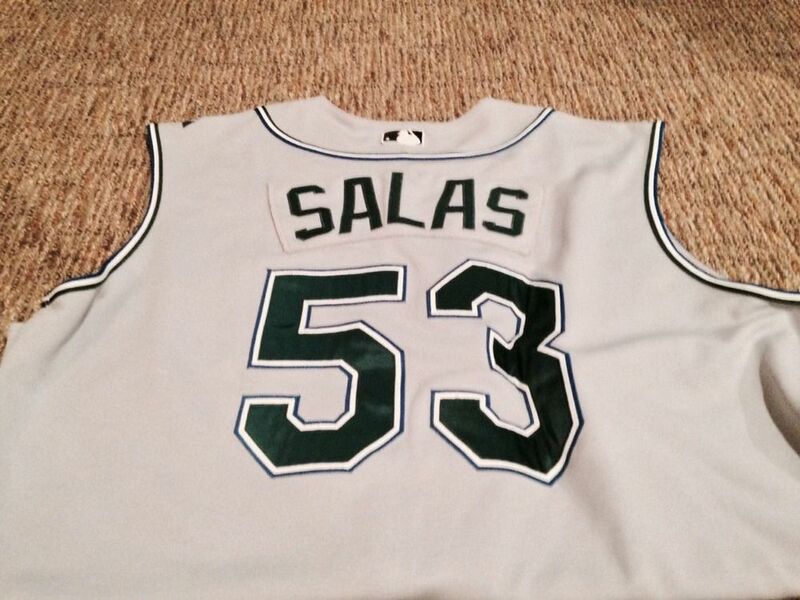 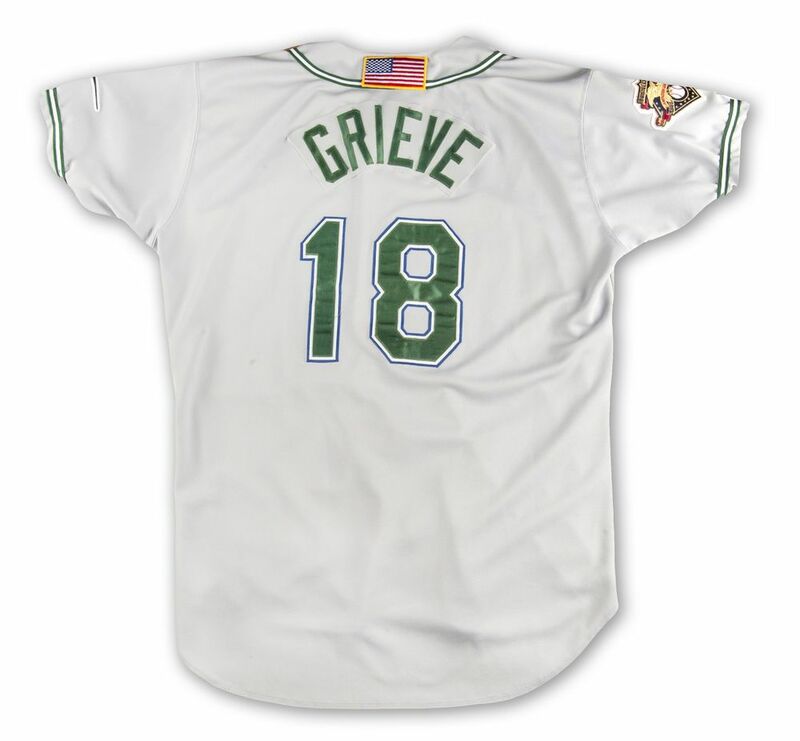 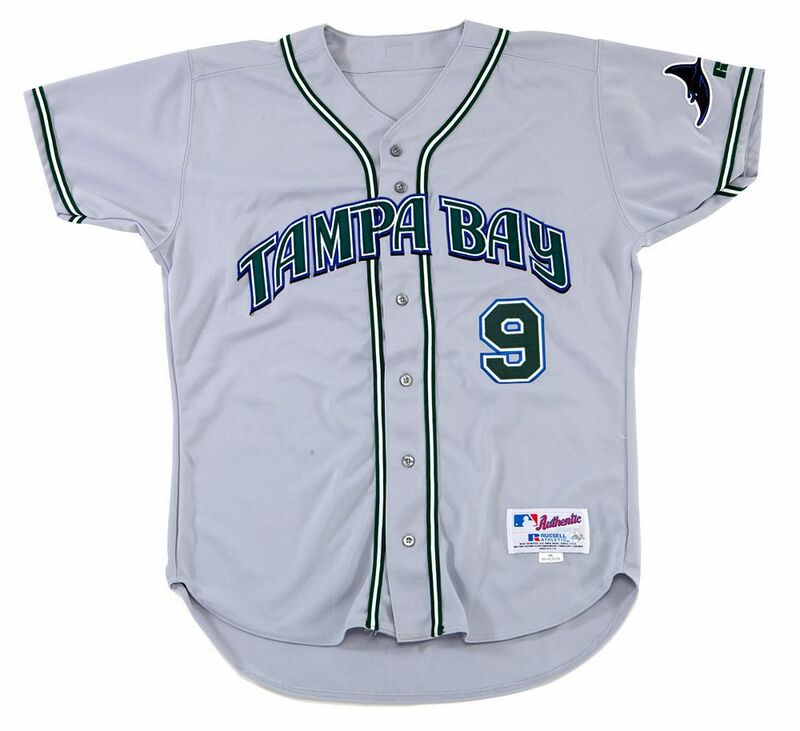 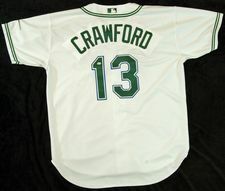 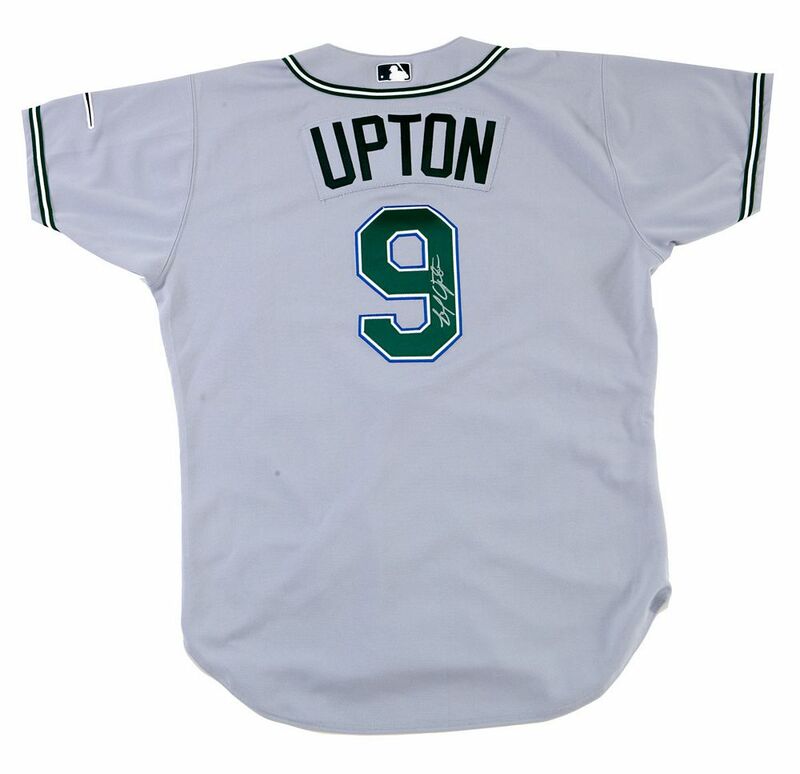 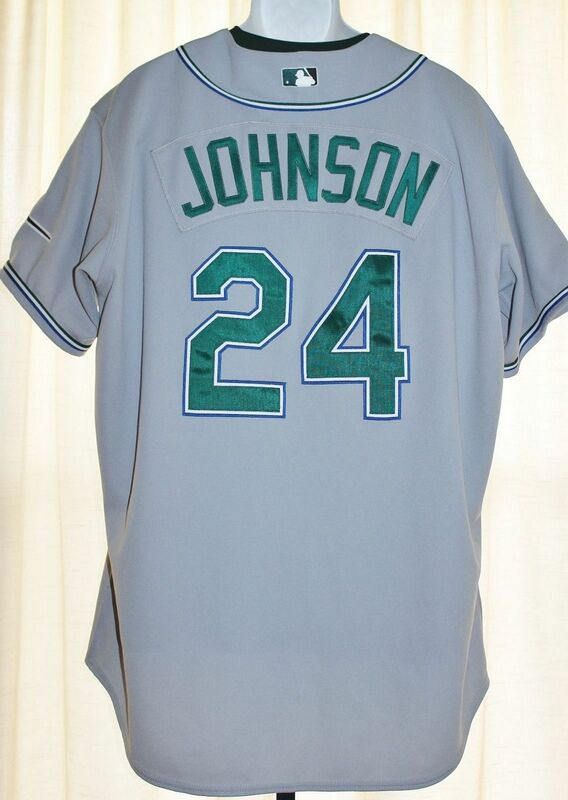 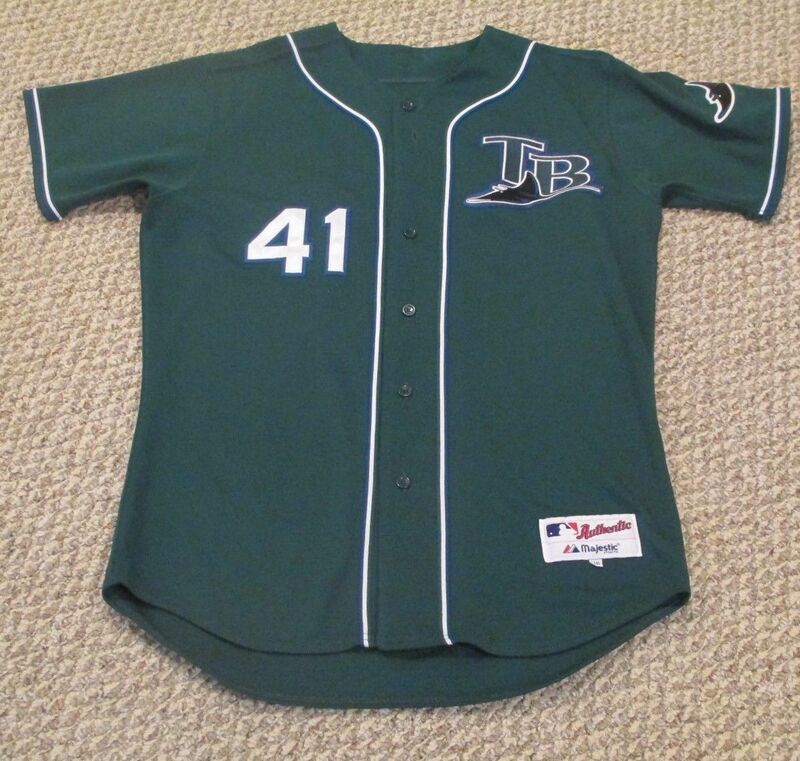 An alternate green jersey joins the set. 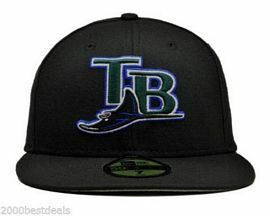 A green cap relegates the black cap to alternate status. 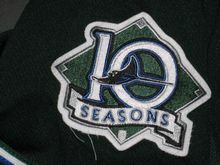 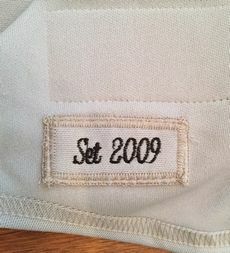 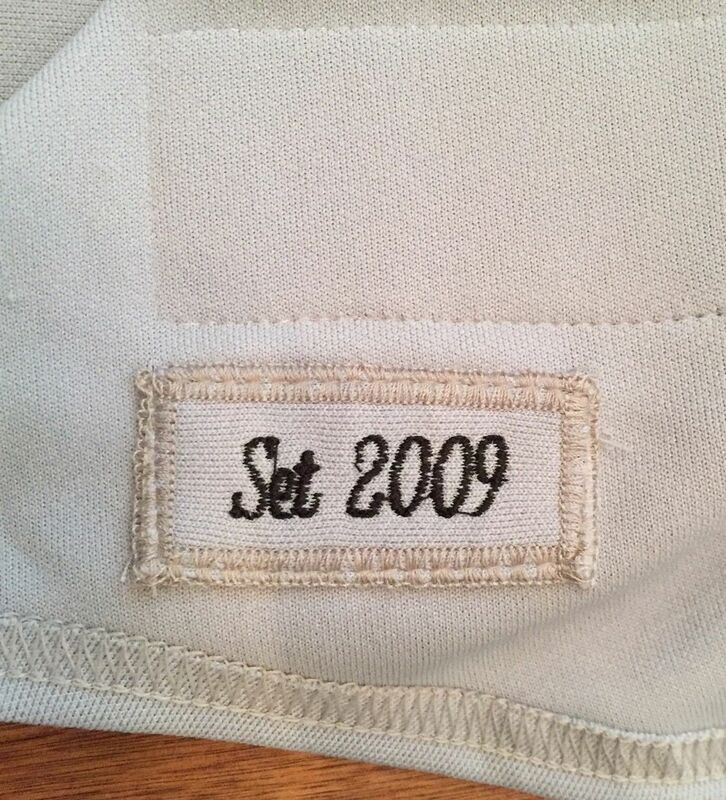 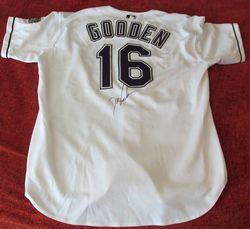 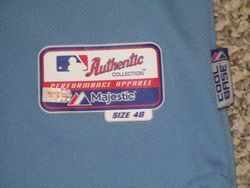 10th anniversary patch worn in 2007. 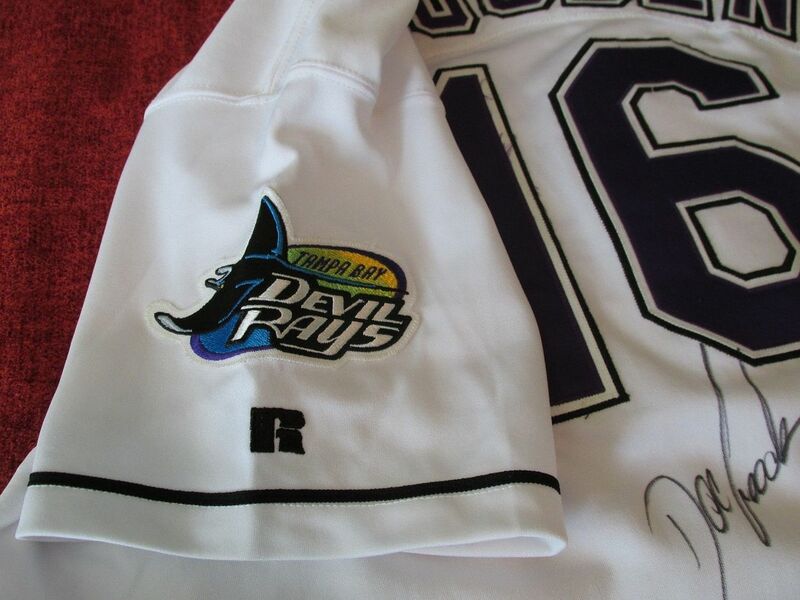 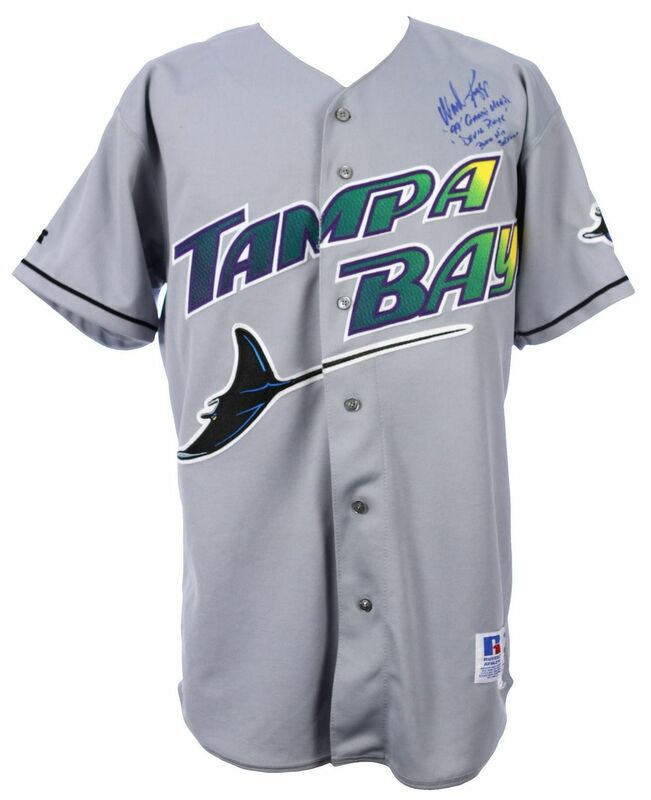 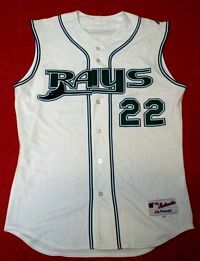 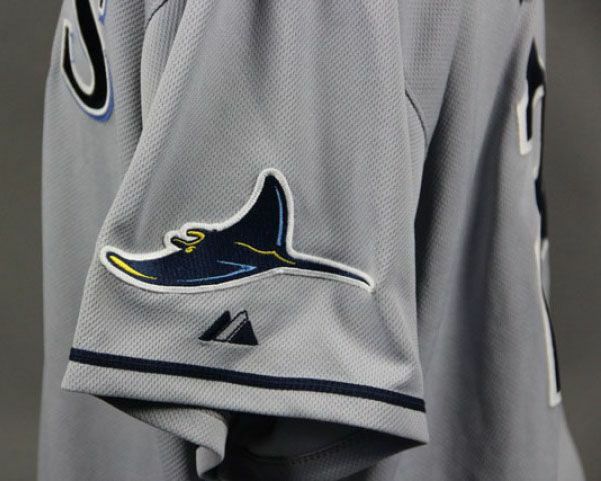 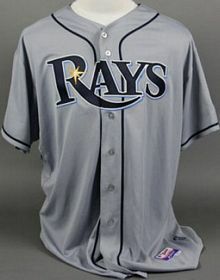 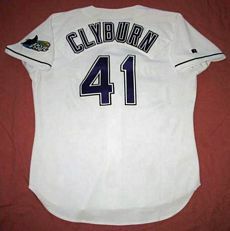 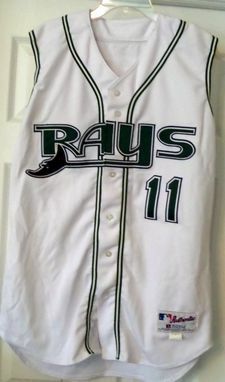 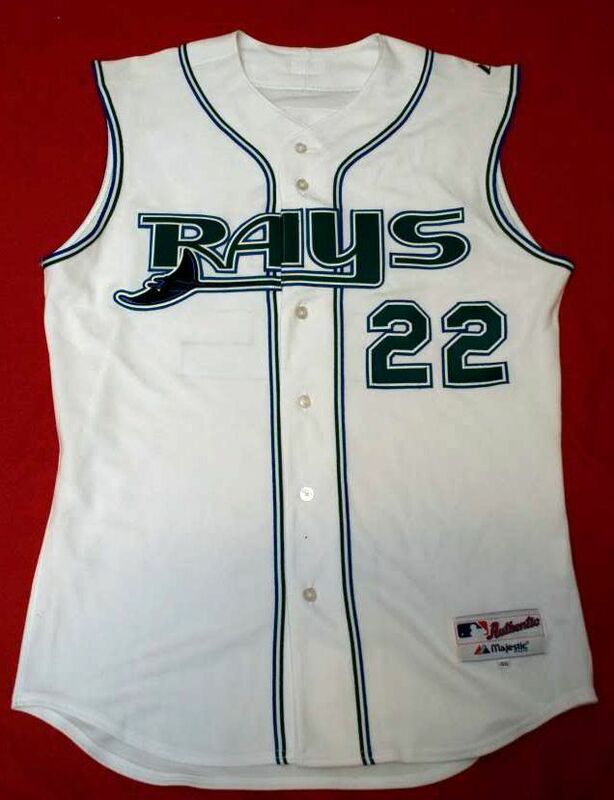 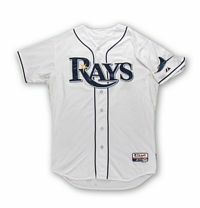 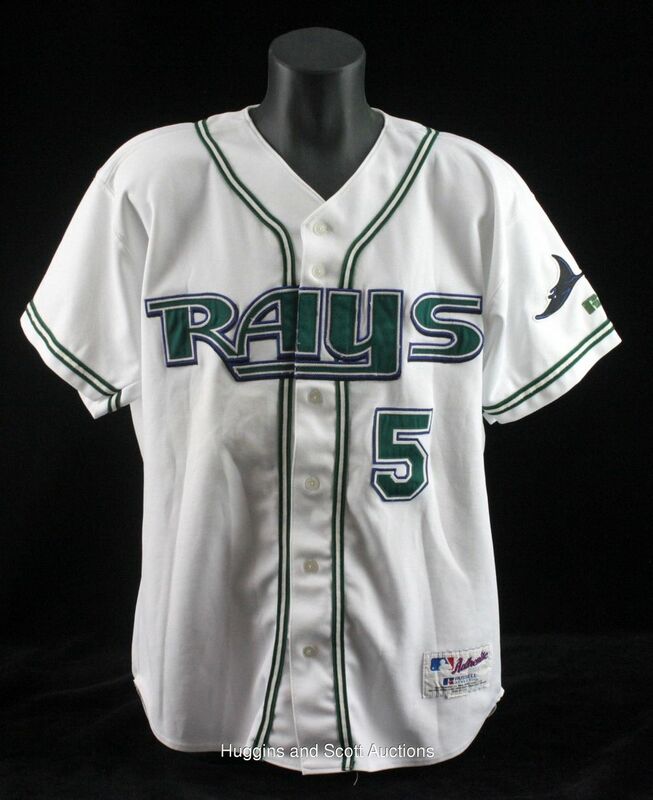 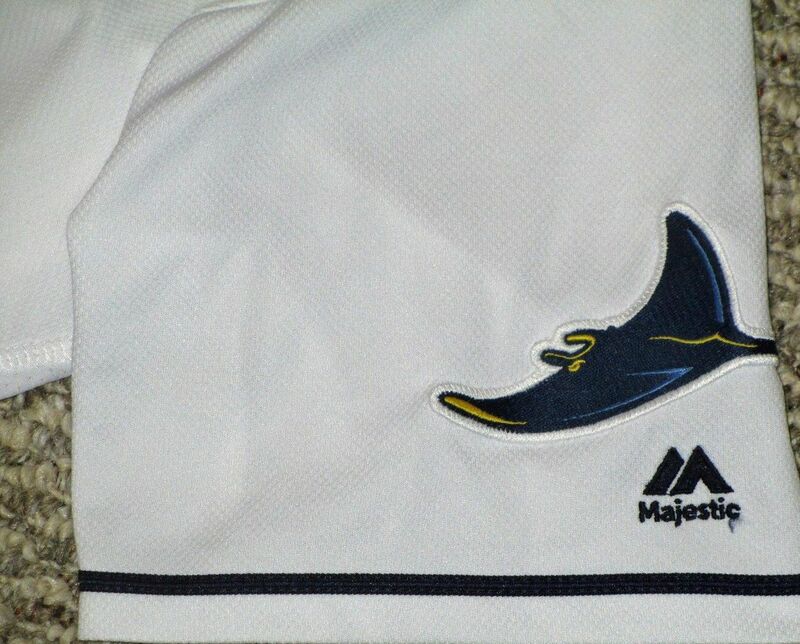 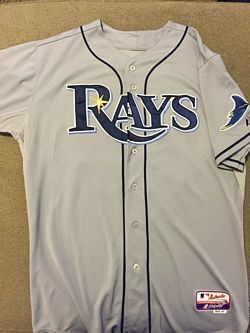 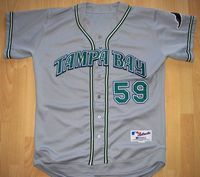 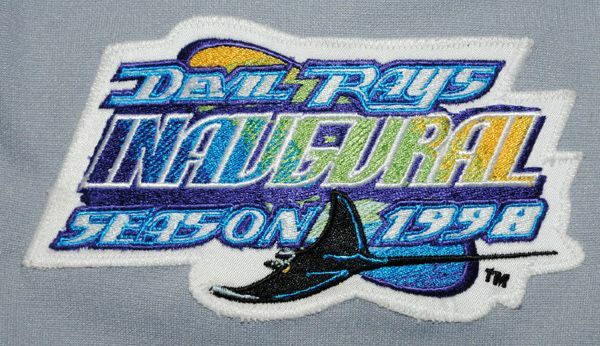 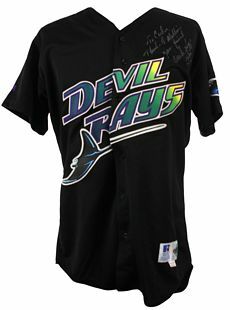 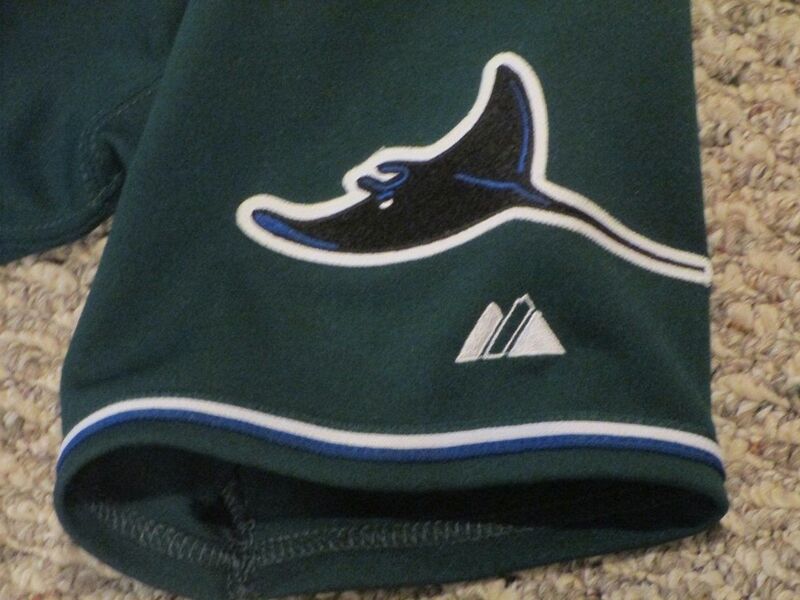 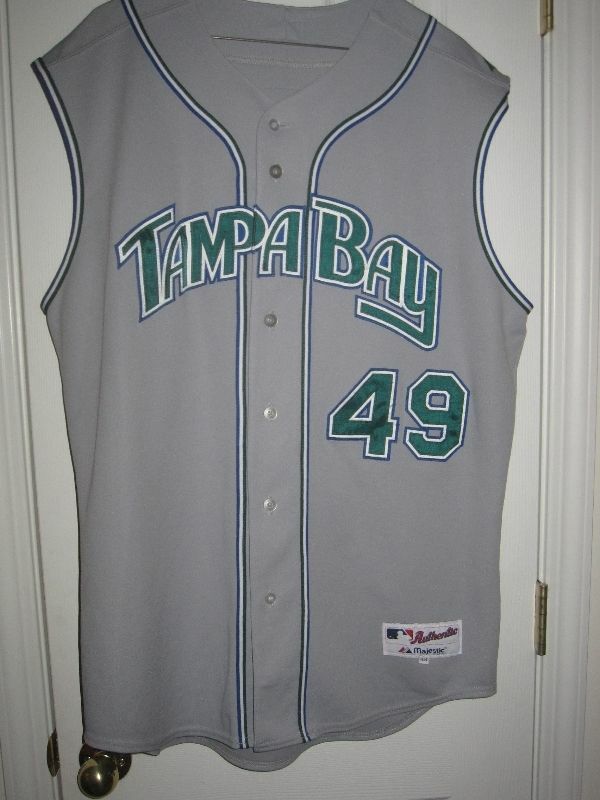 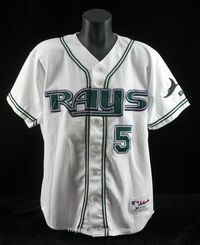 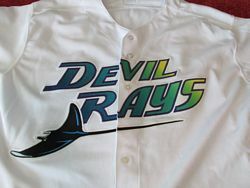 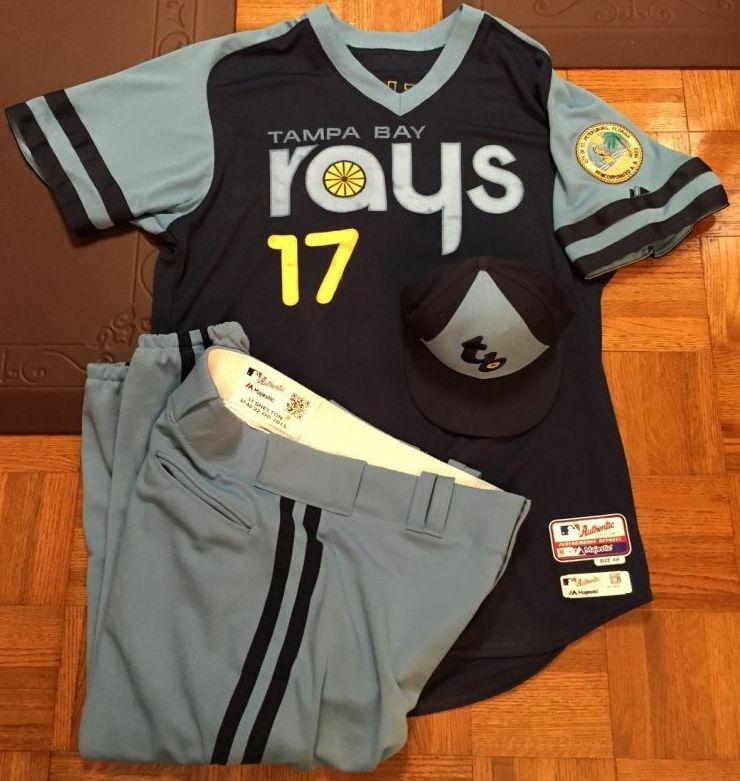 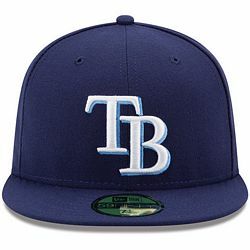 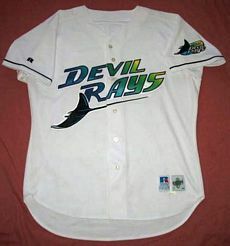 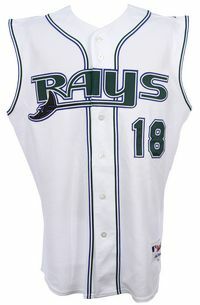 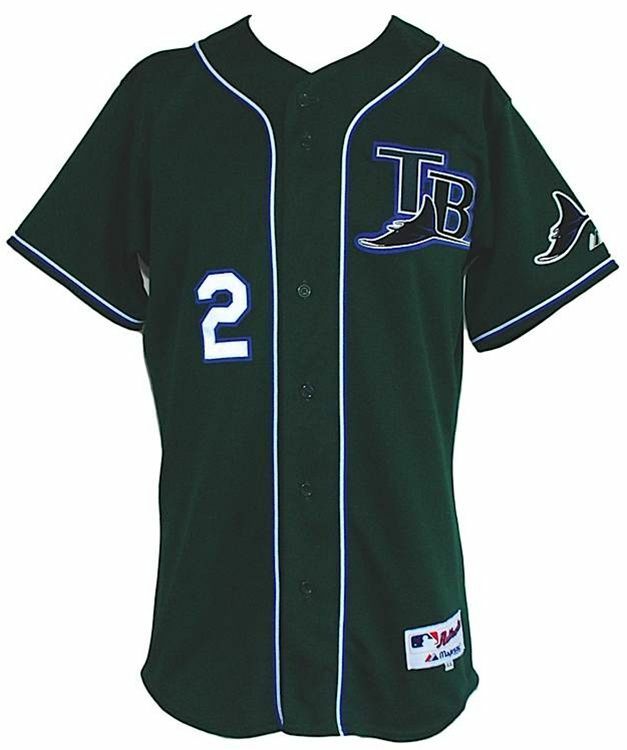 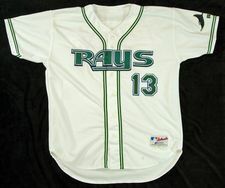 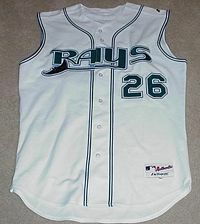 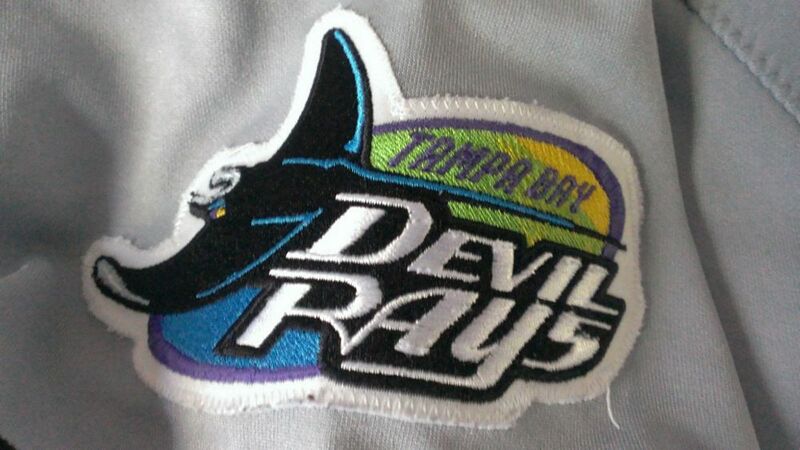 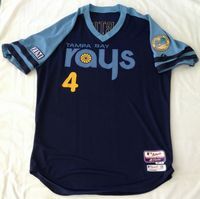 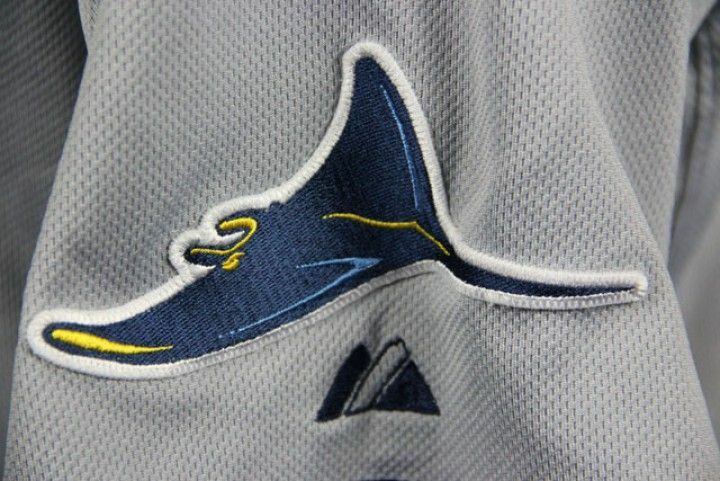 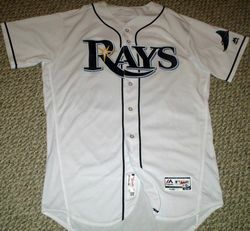 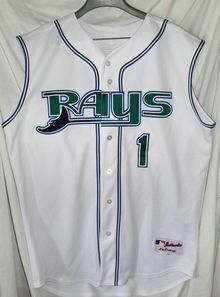 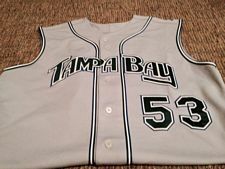 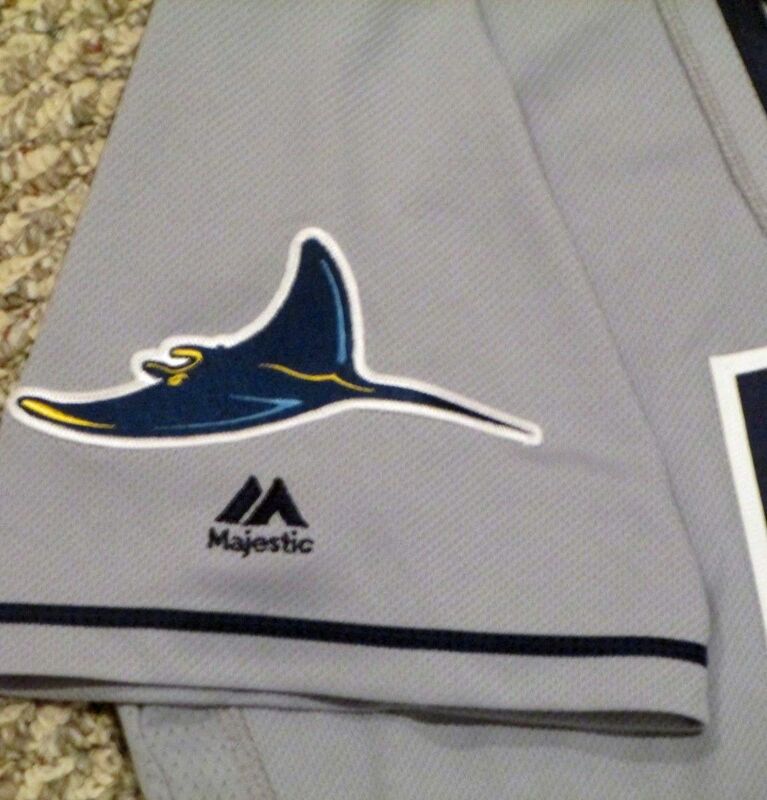 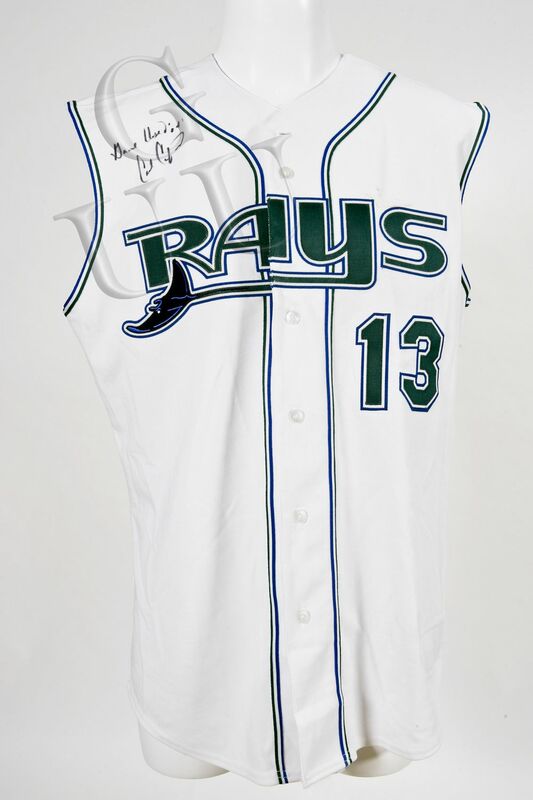 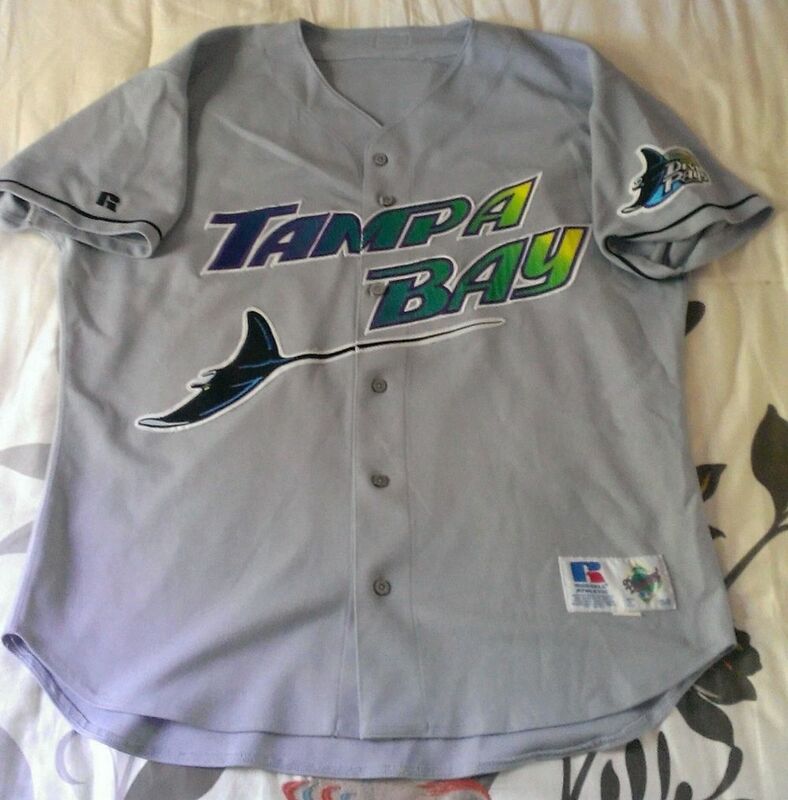 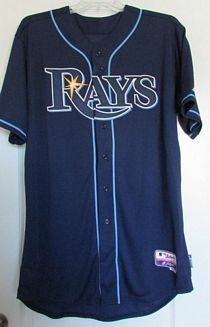 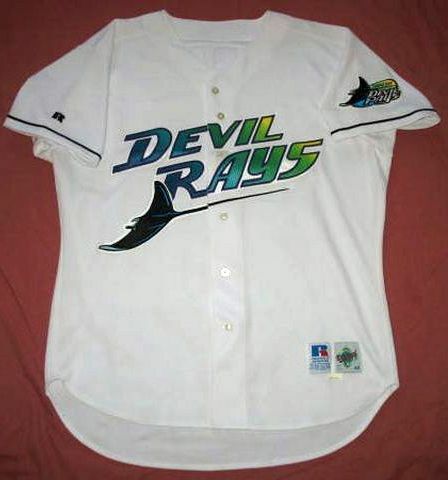 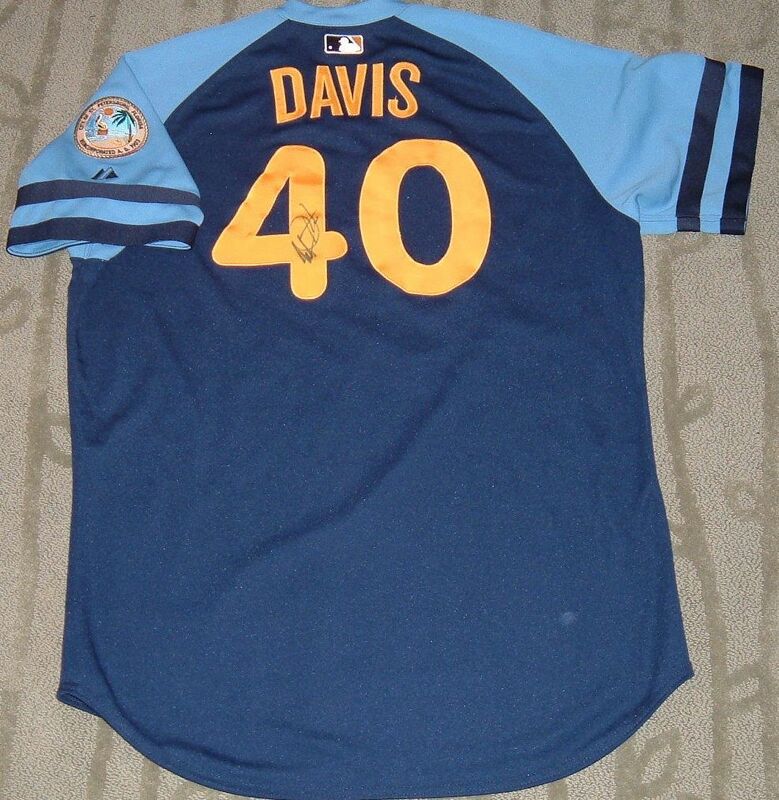 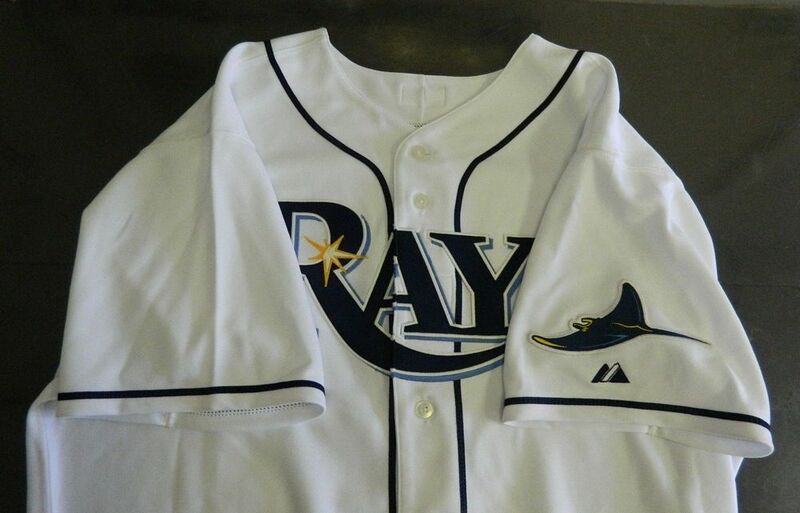 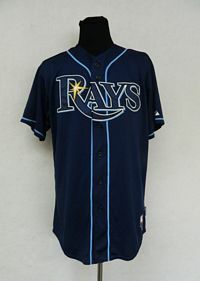 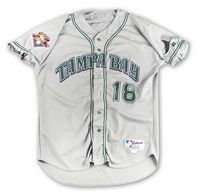 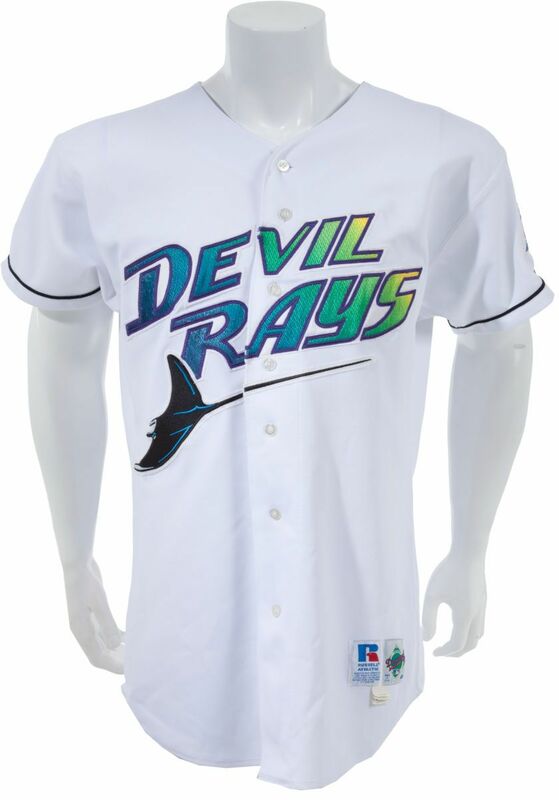 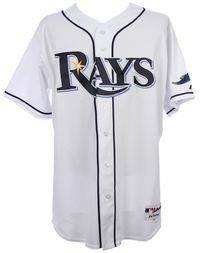 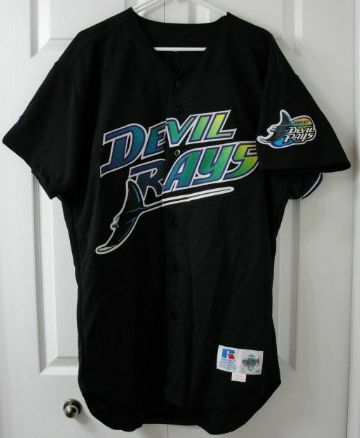 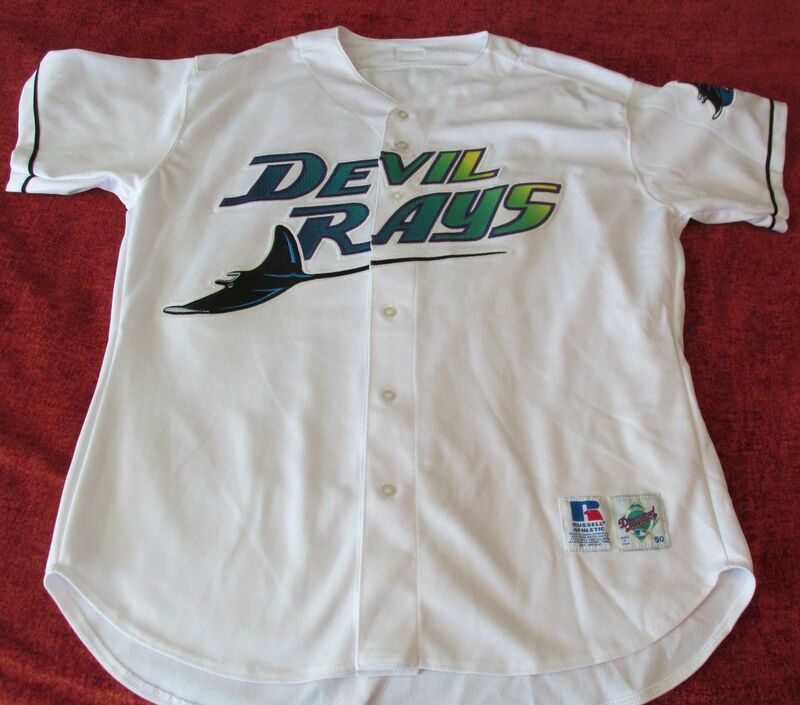 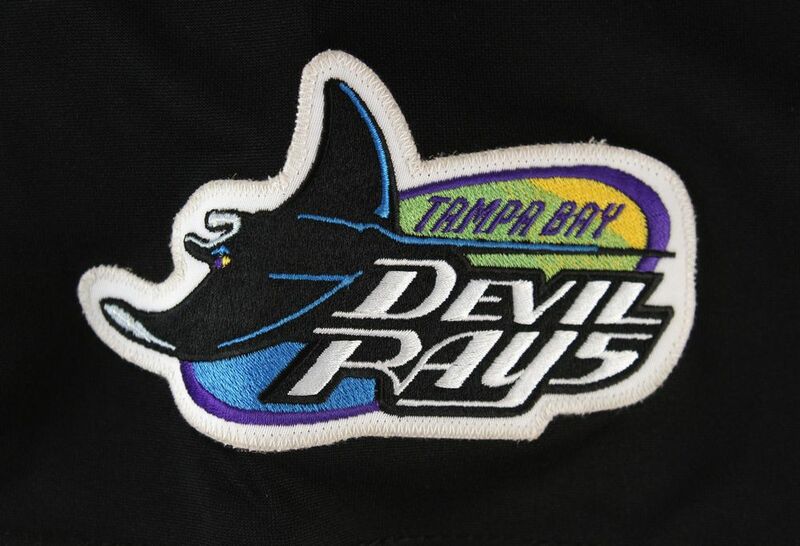 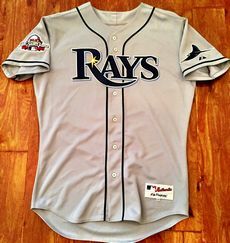 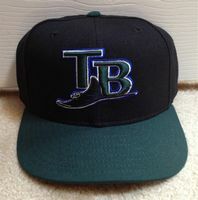 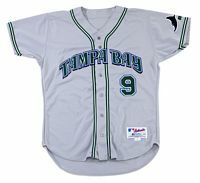 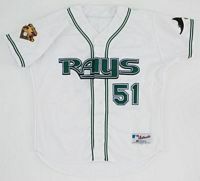 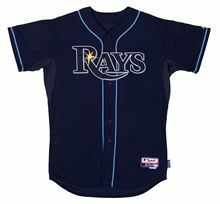 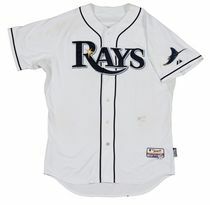 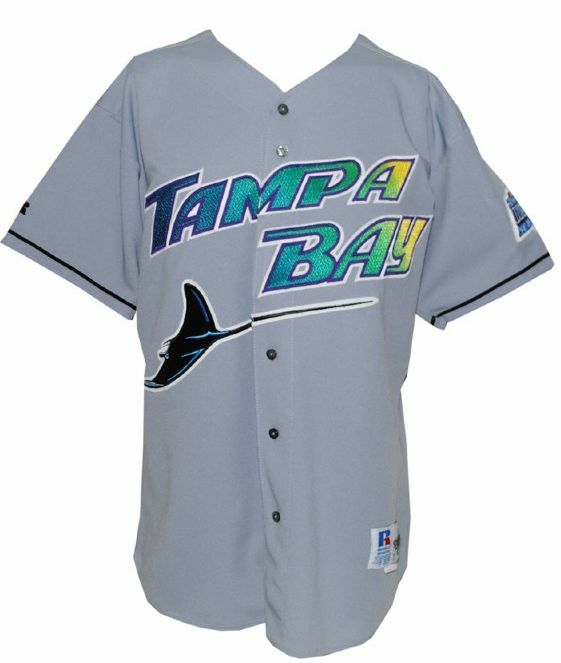 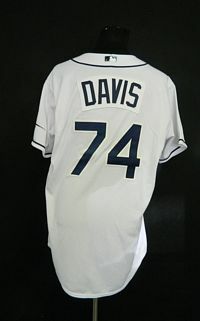 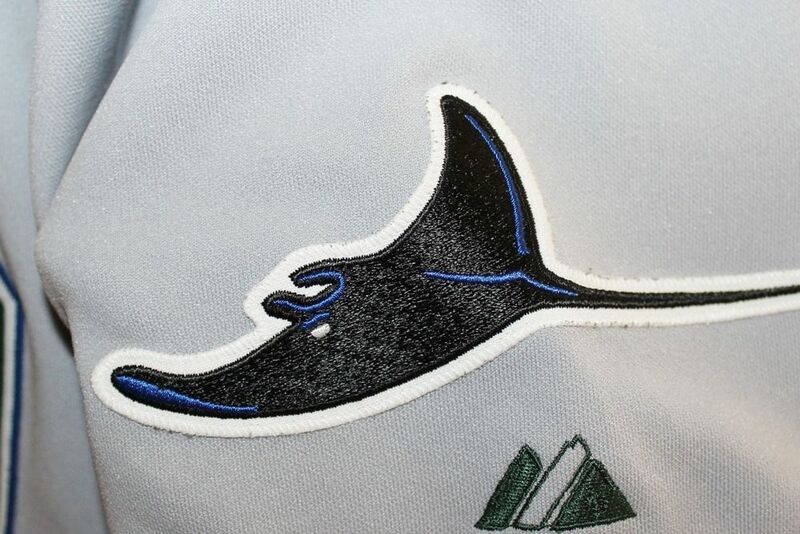 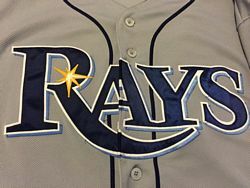 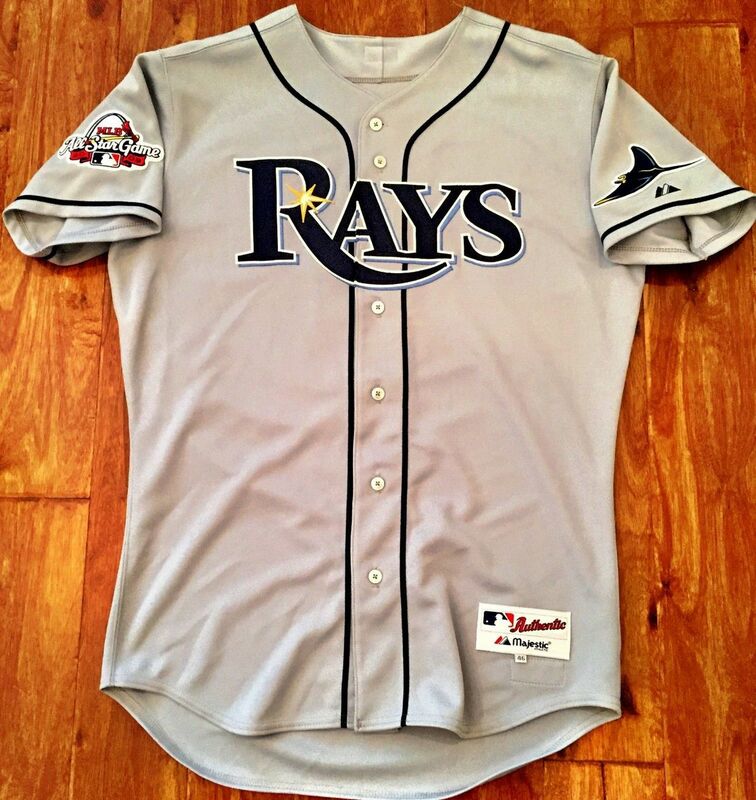 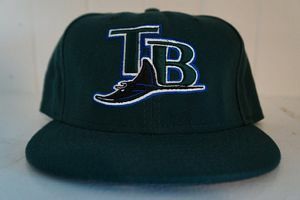 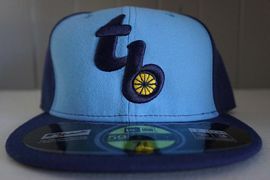 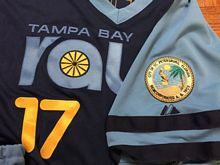 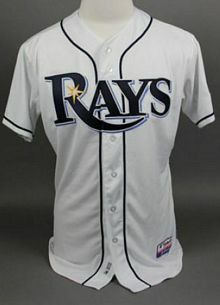 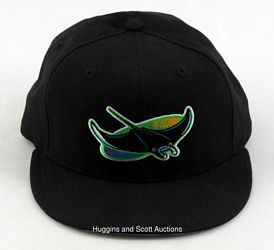 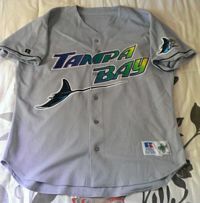 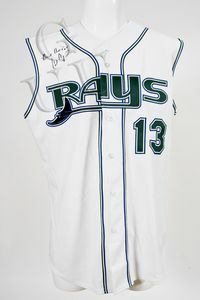 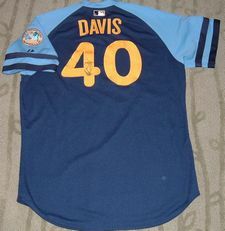 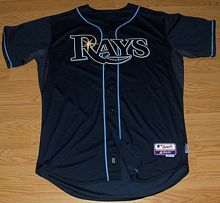 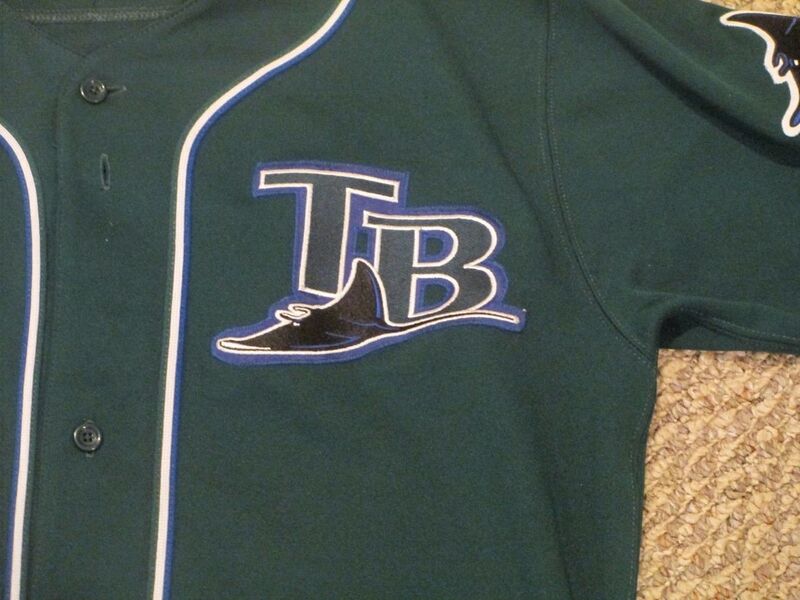 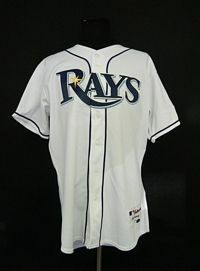 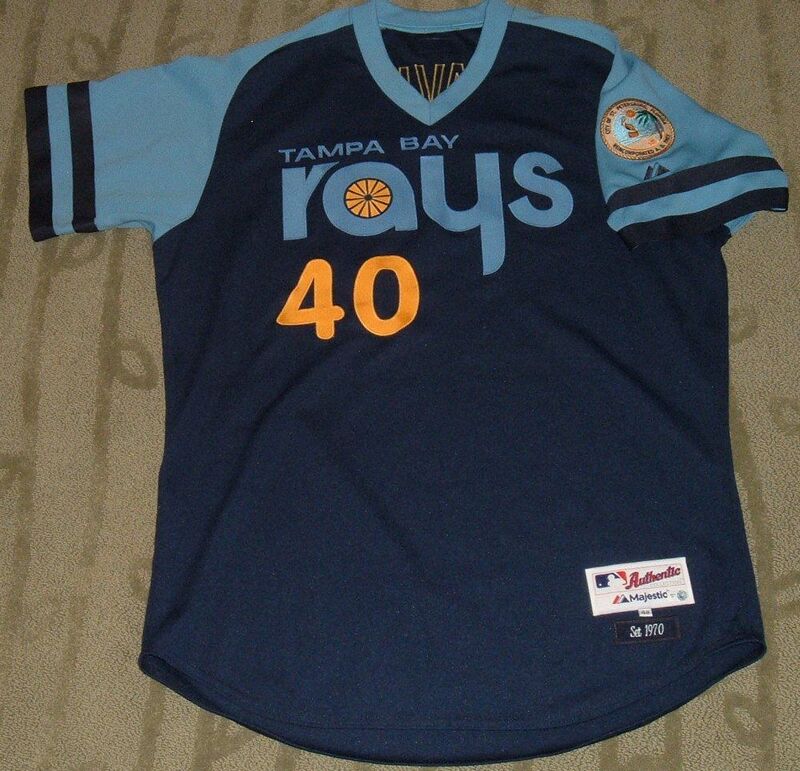 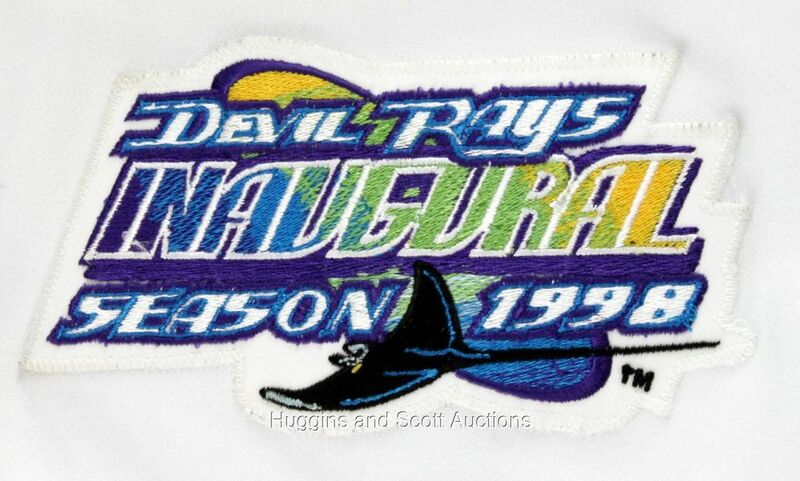 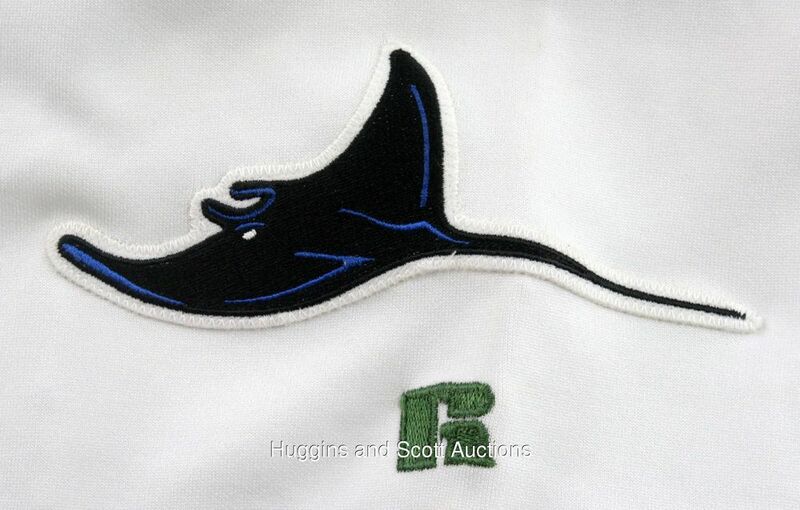 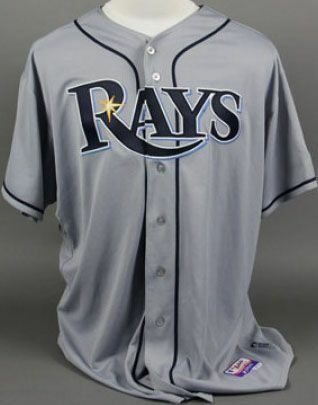 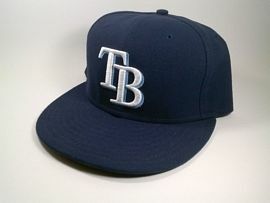 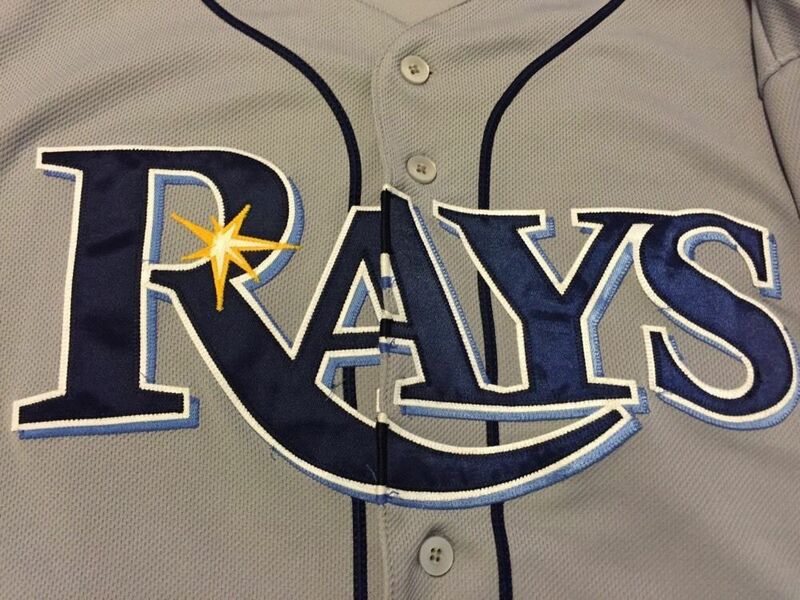 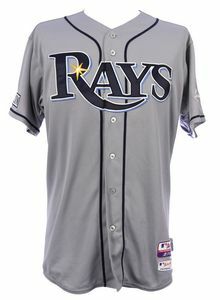 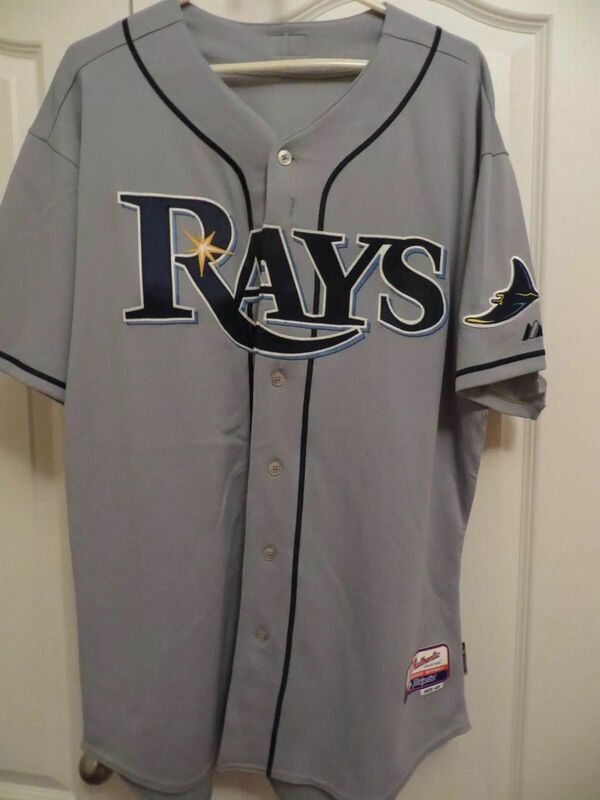 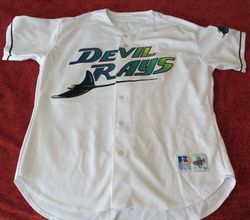 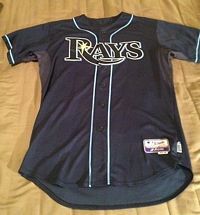 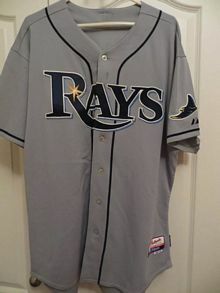 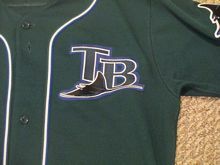 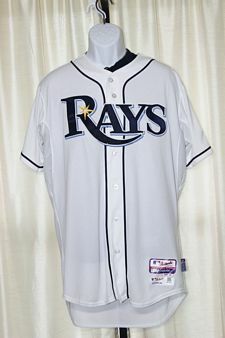 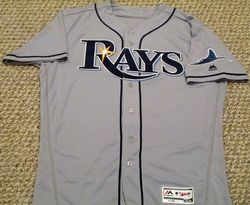 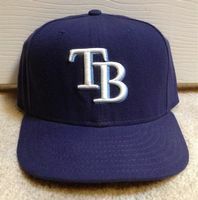 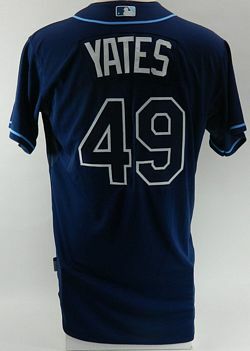 The team name changes from "Devil Rays" the sea creature to "Rays" of sunshine. 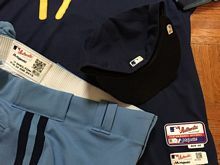 Primary color changes to navy blue. 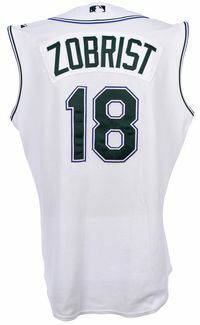 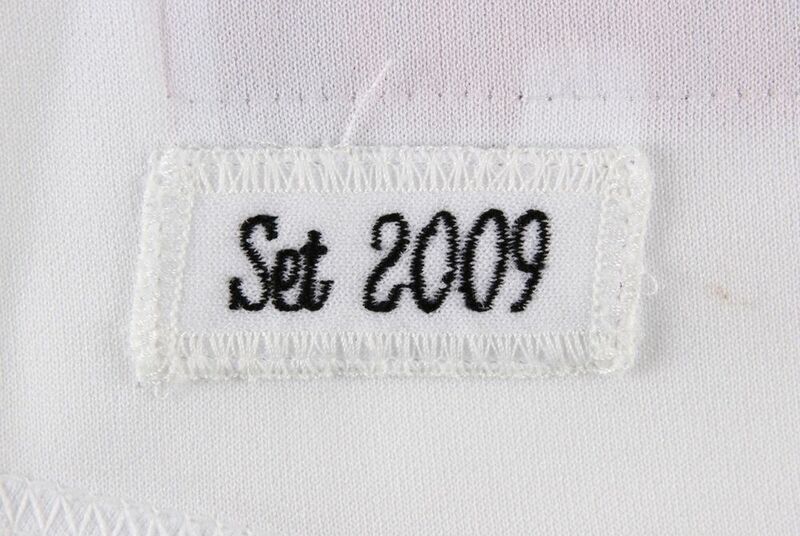 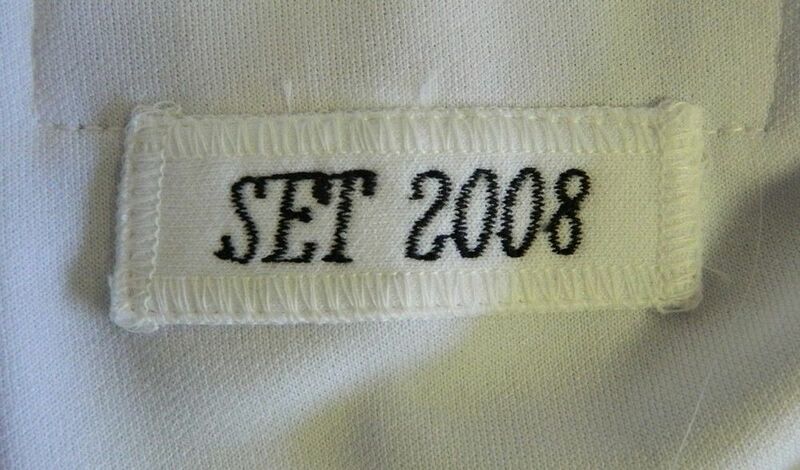 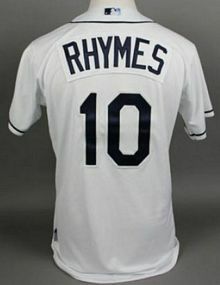 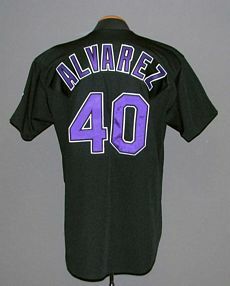 No alternates are used in 2008. 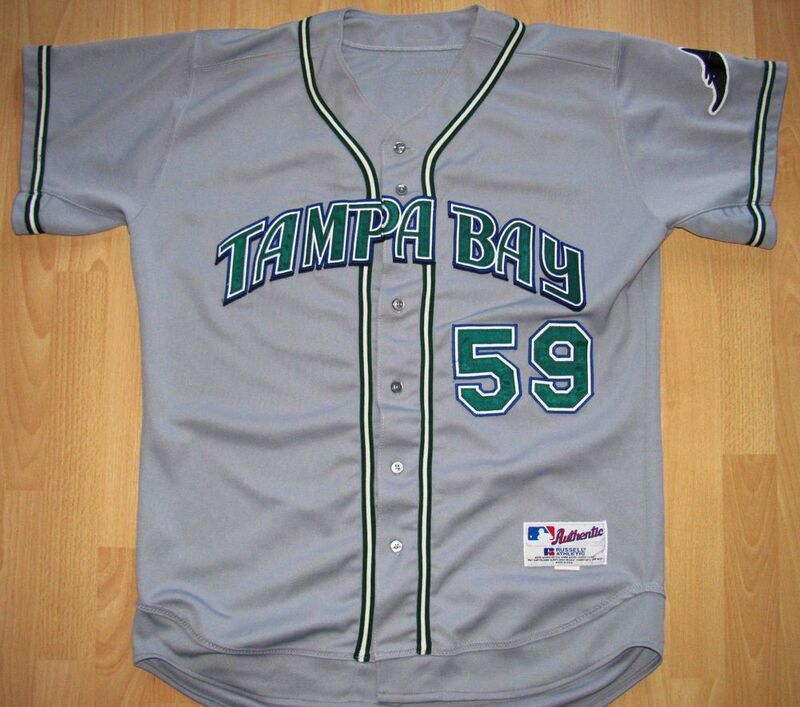 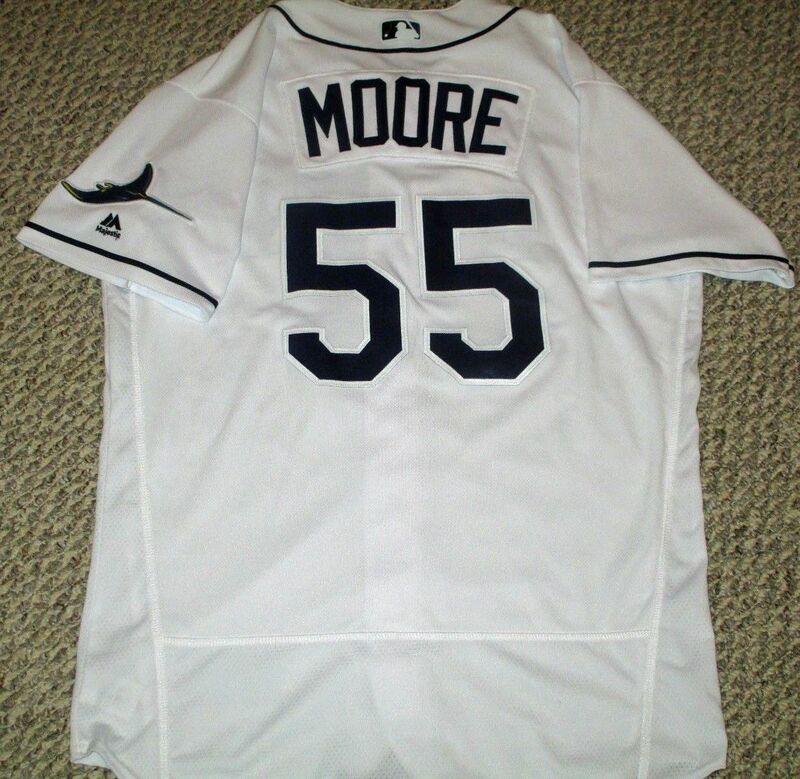 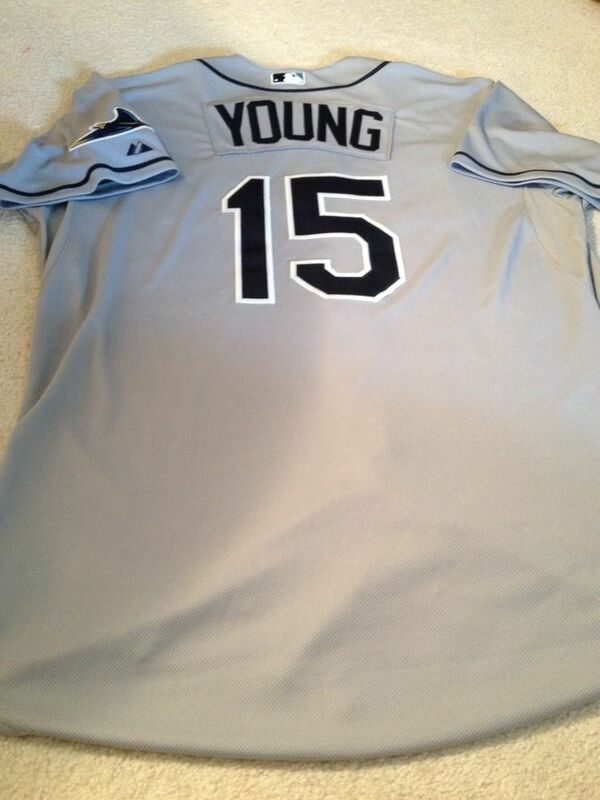 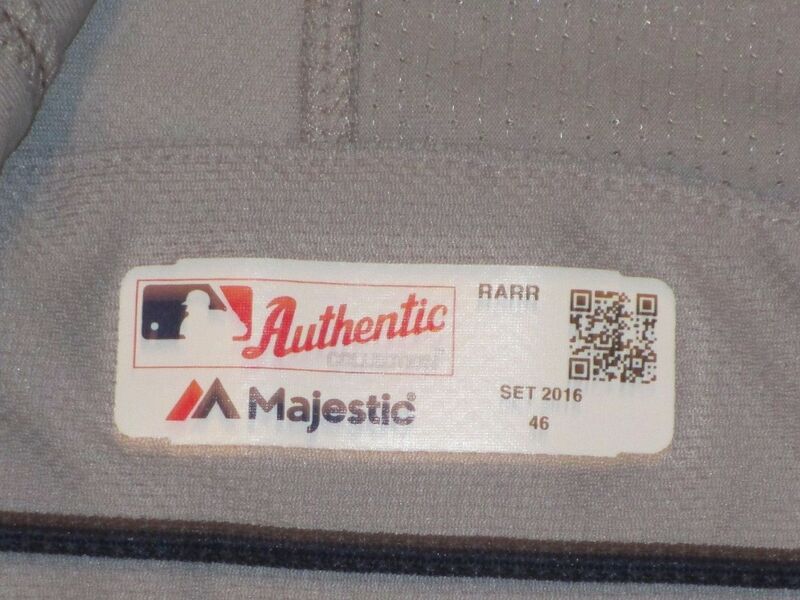 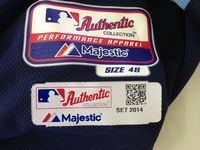 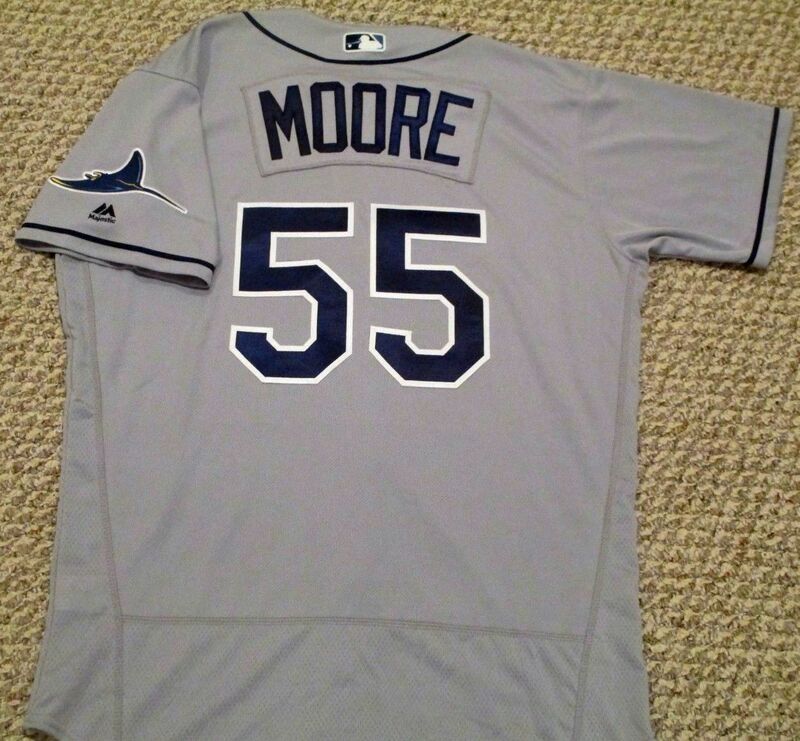 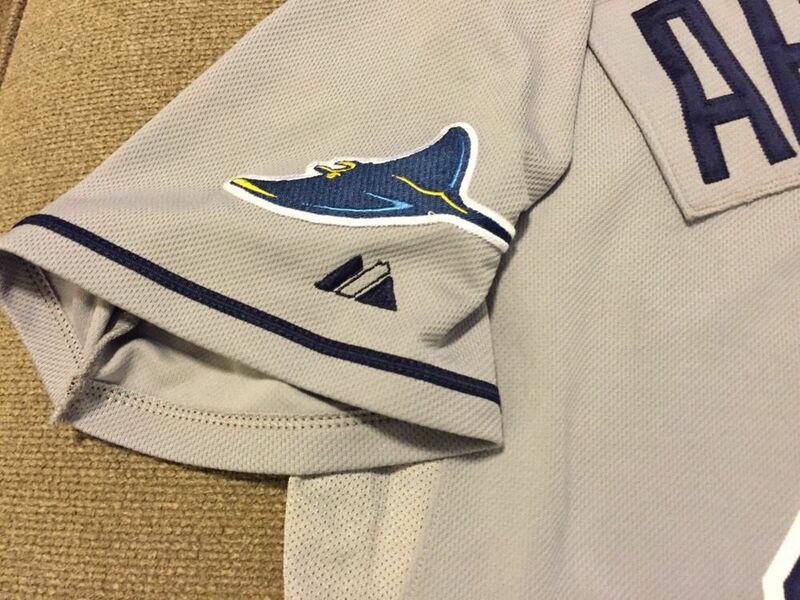 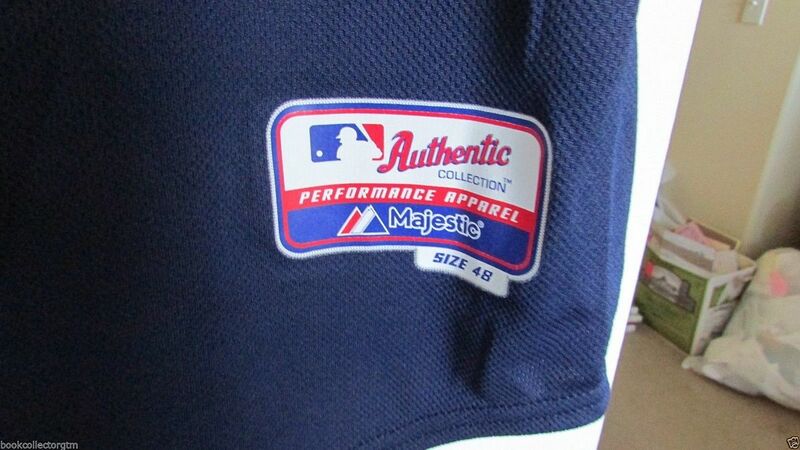 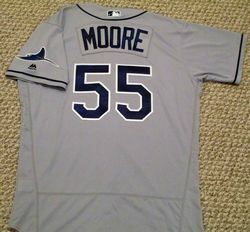 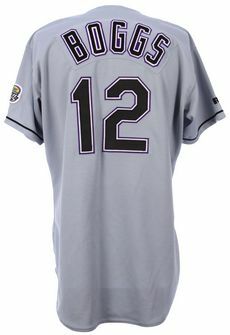 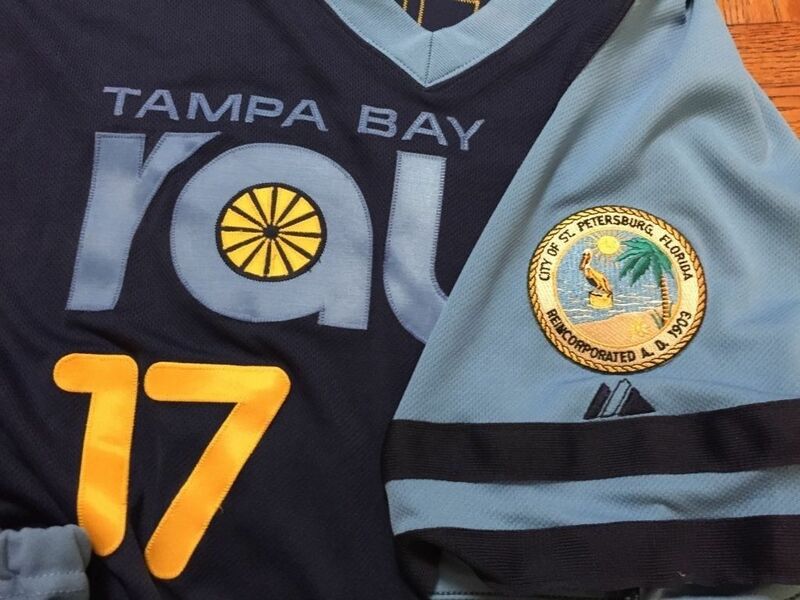 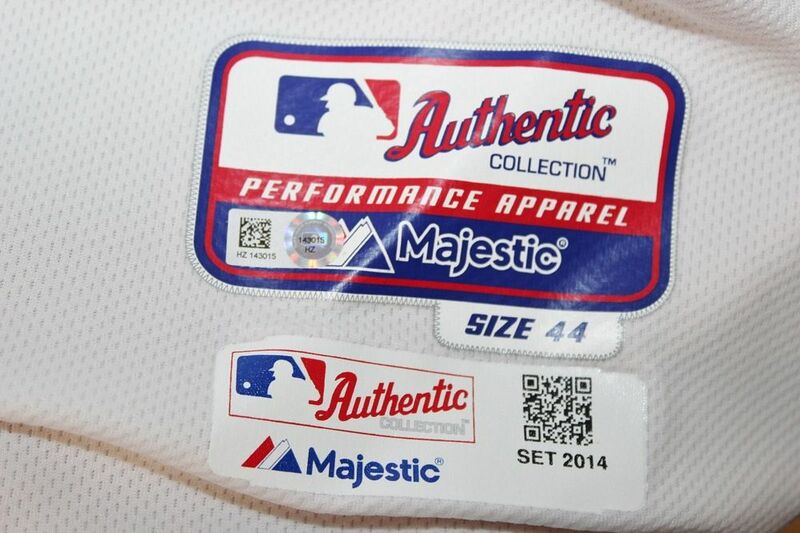 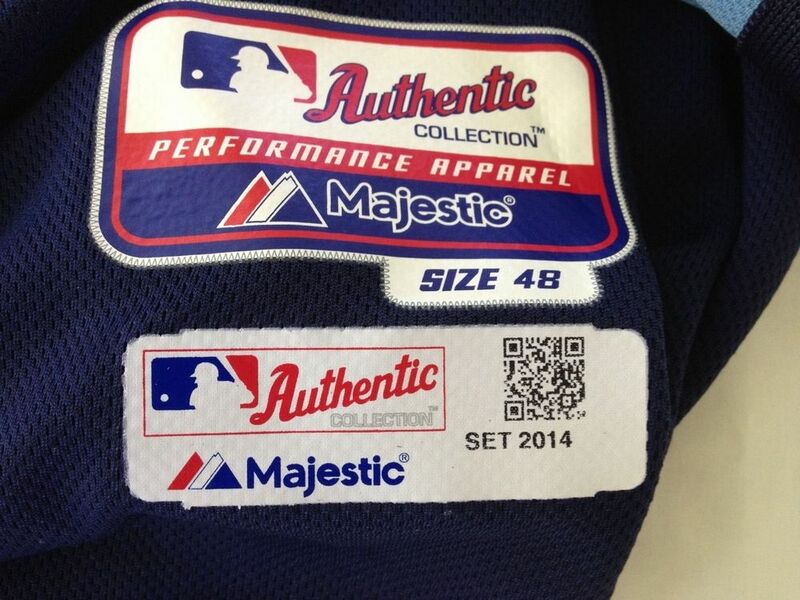 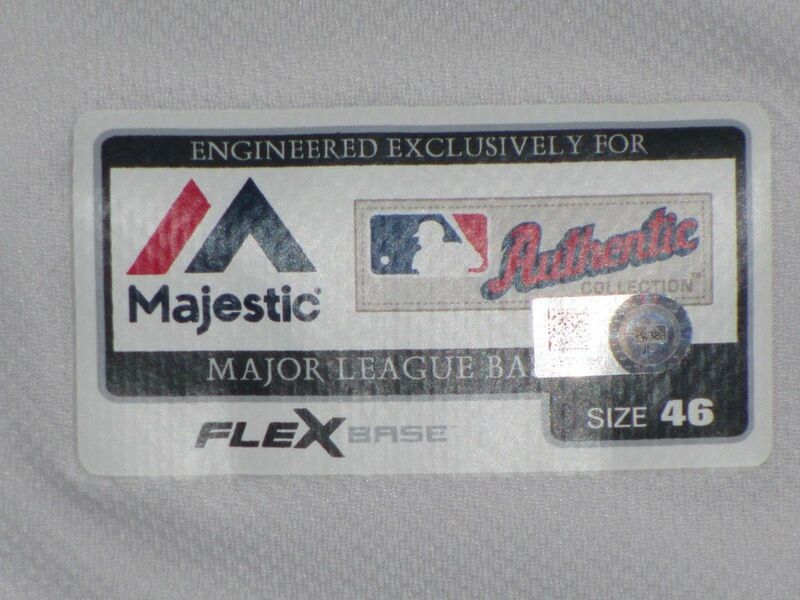 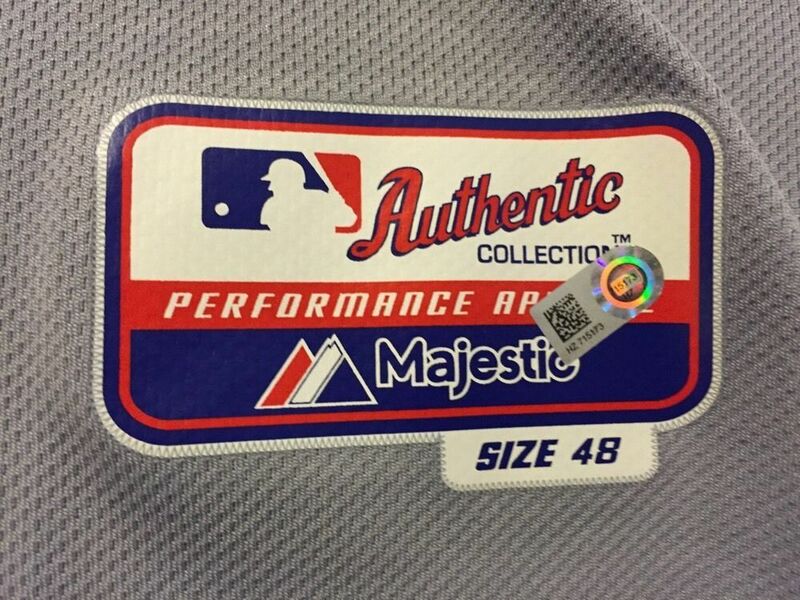 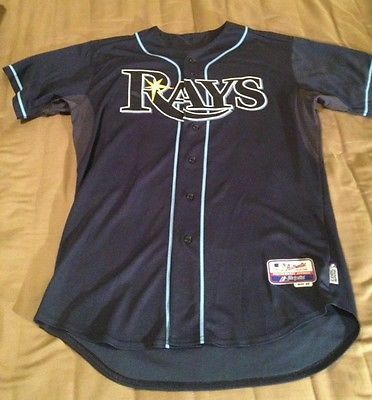 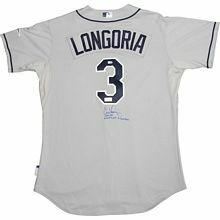 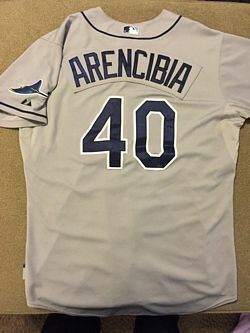 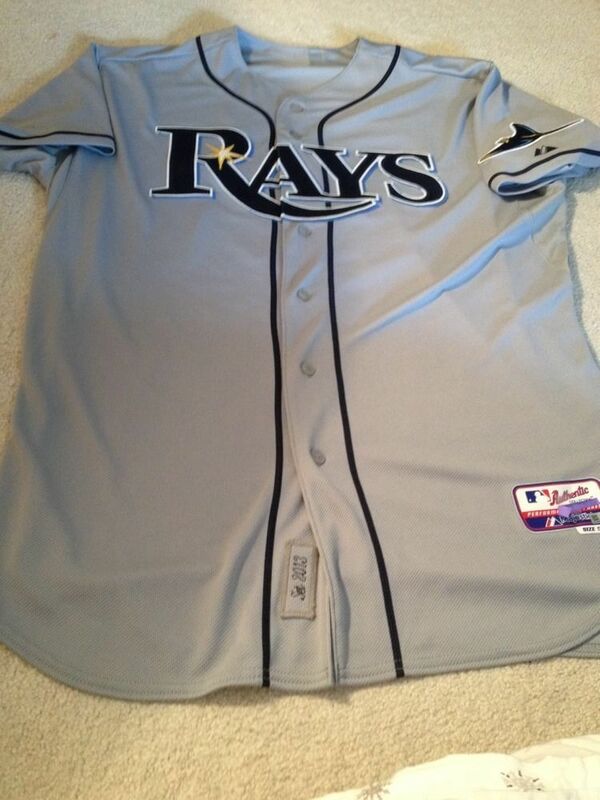 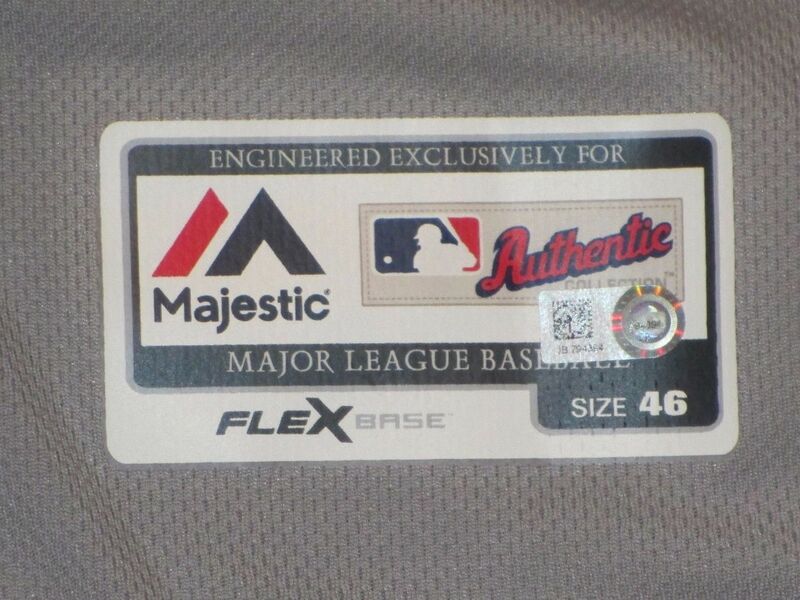 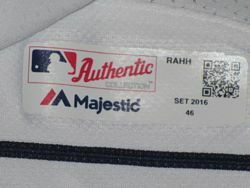 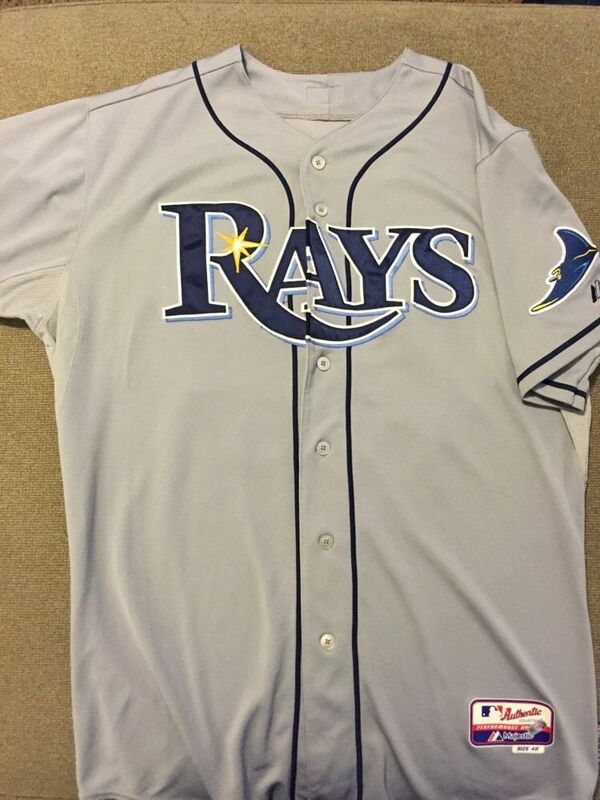 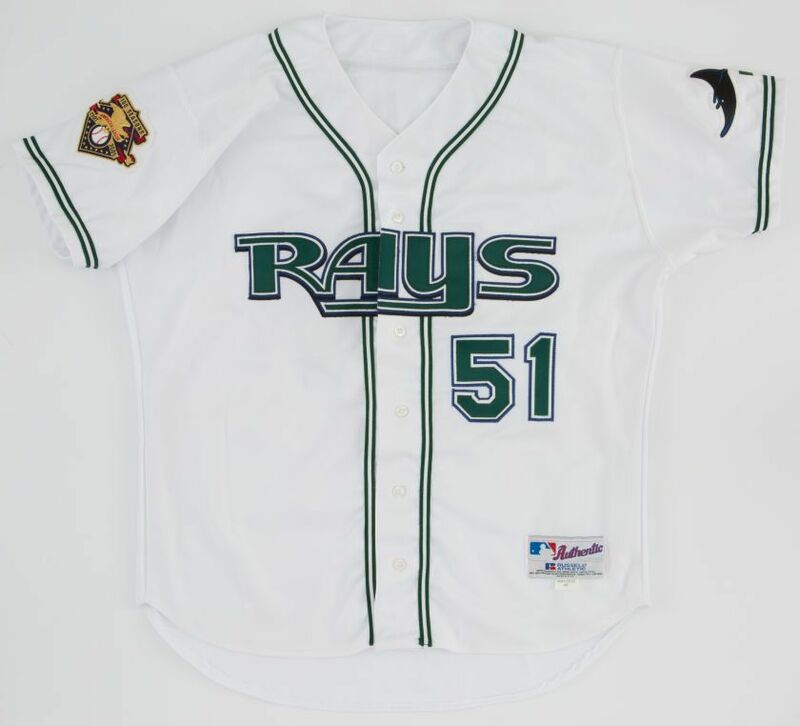 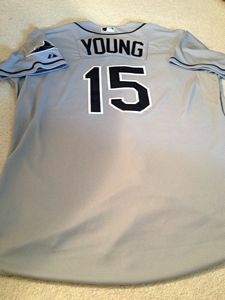 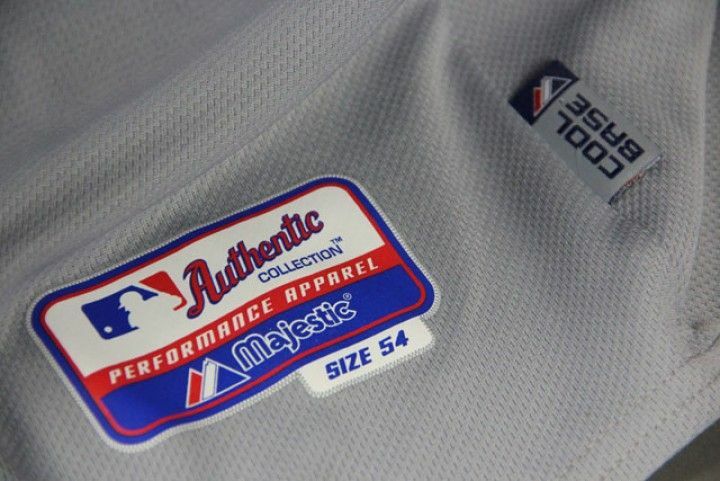 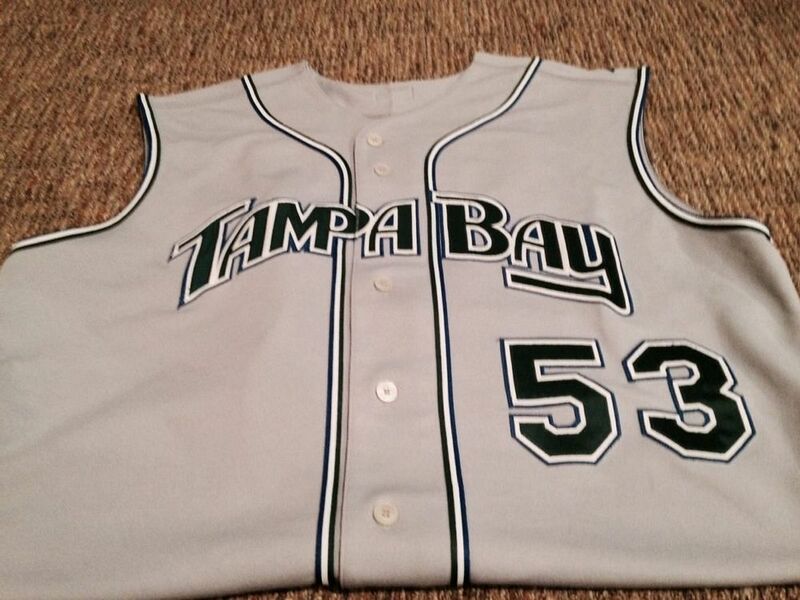 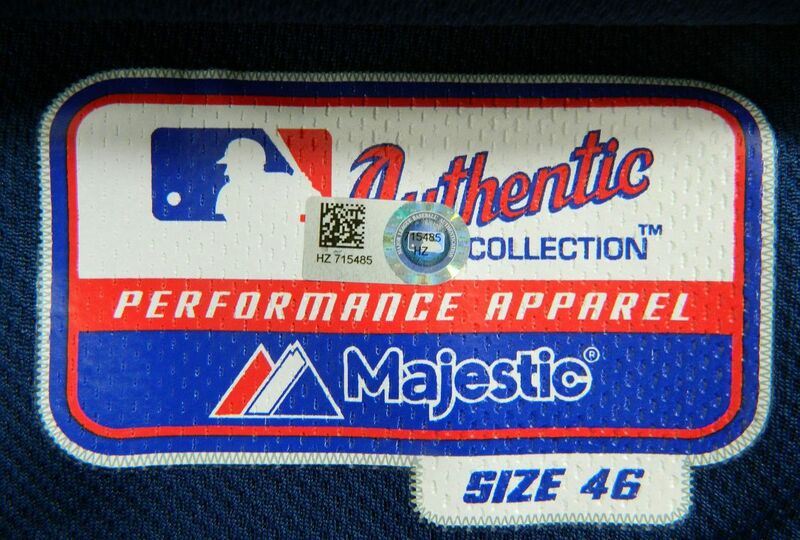 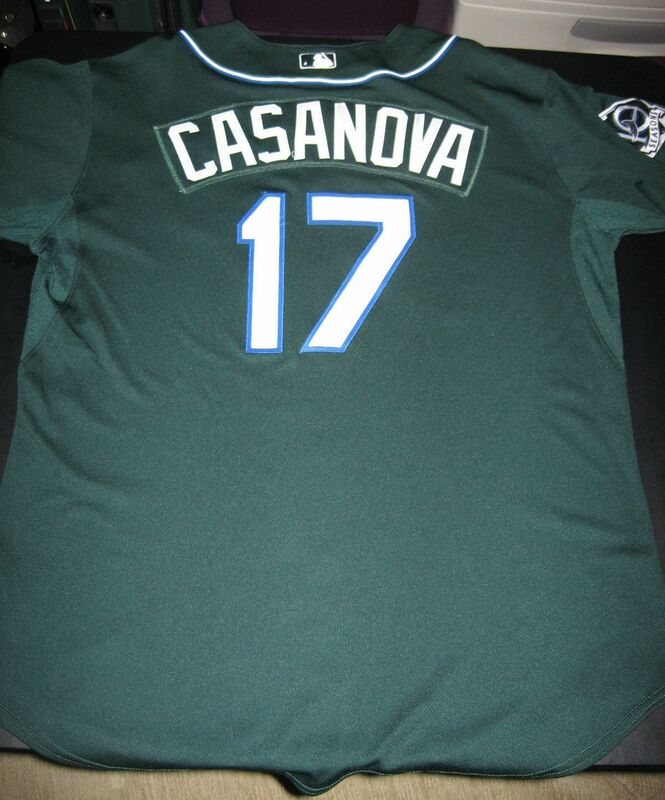 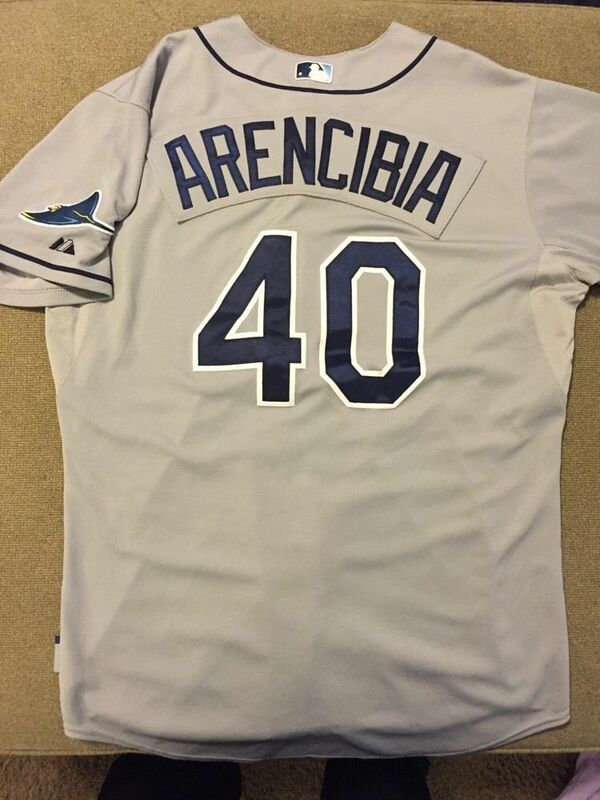 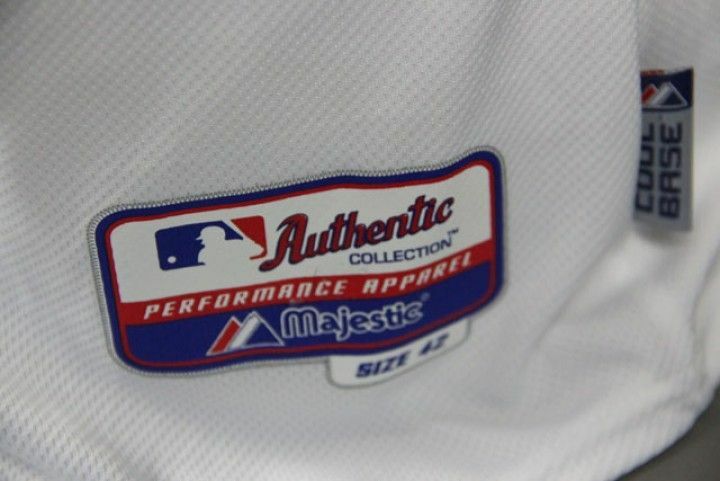 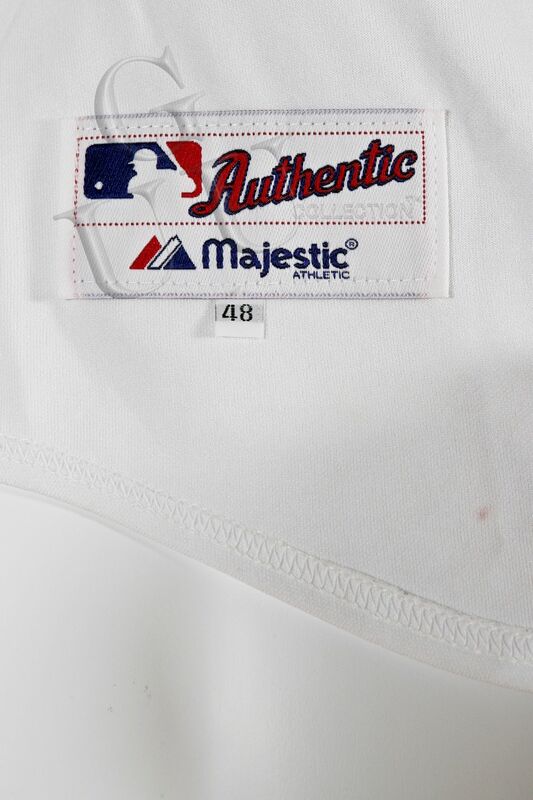 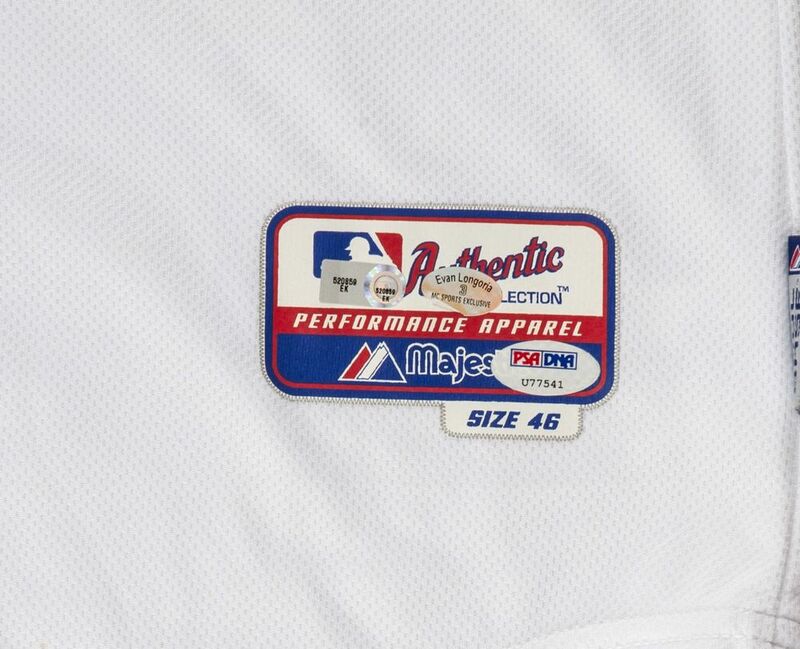 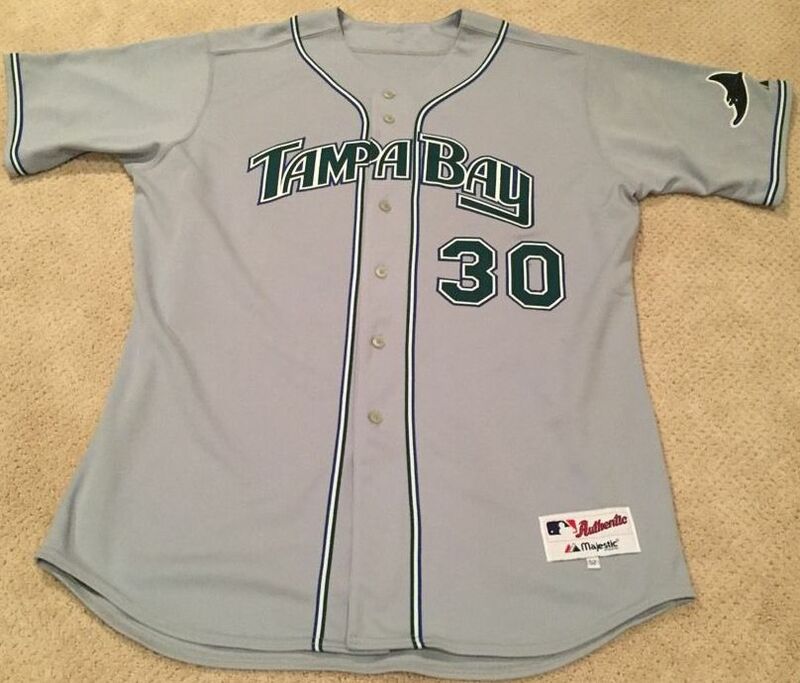 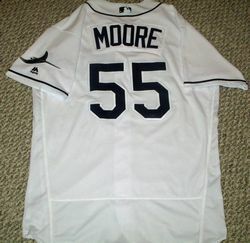 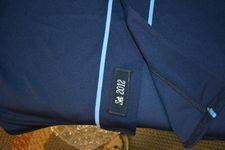 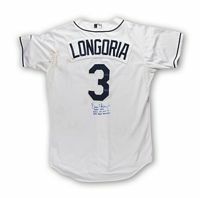 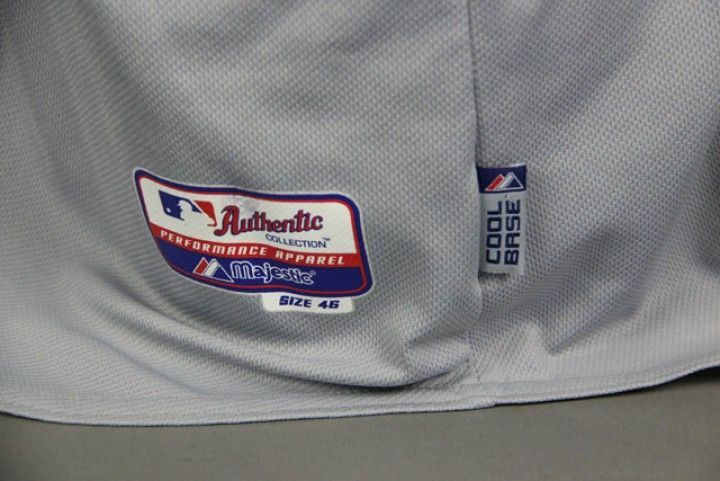 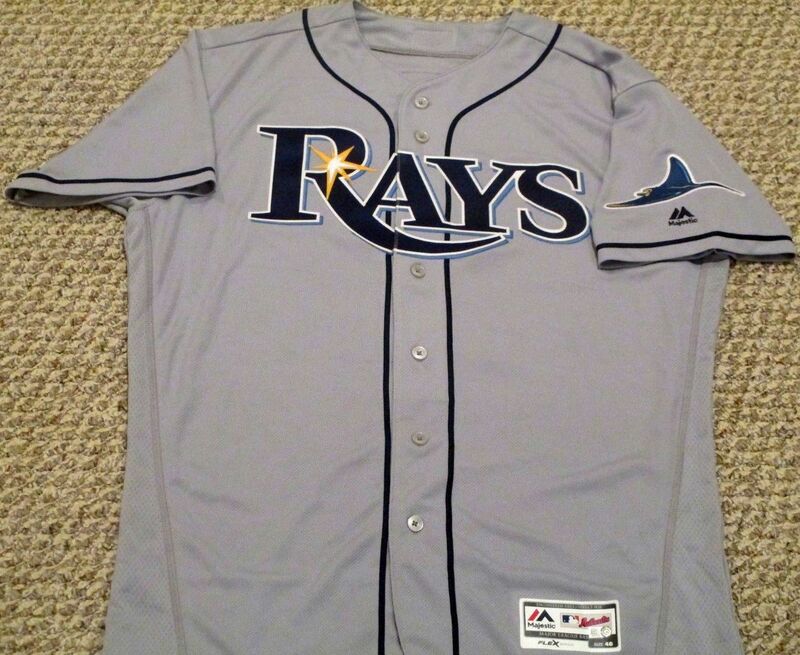 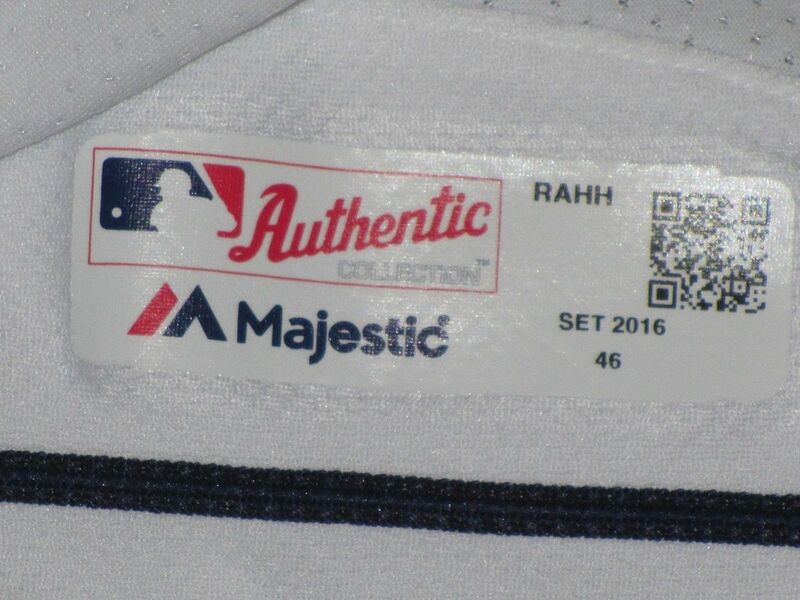 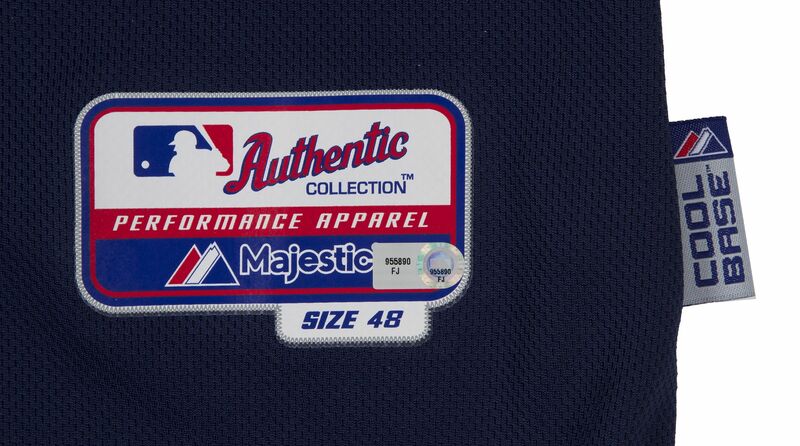 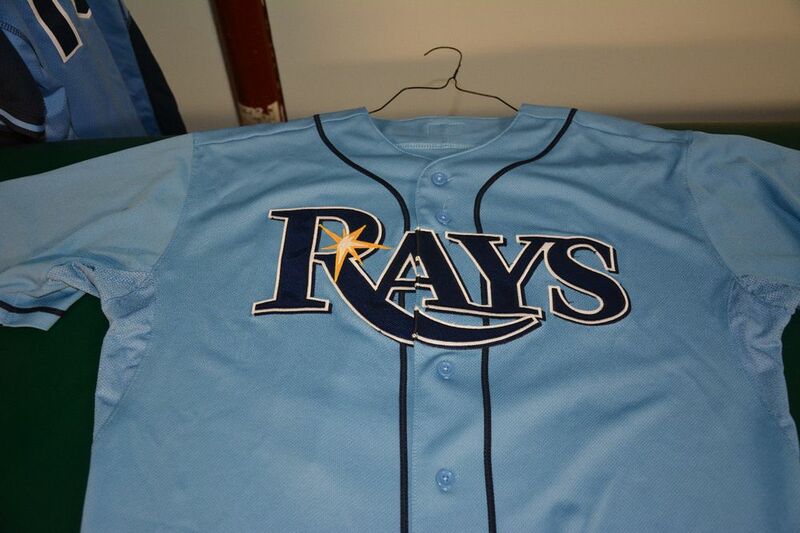 Cool Base jerseys start appearing. 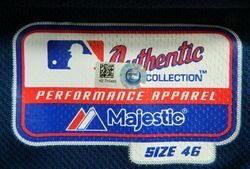 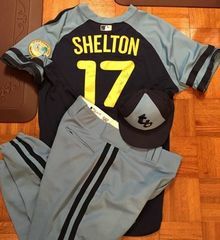 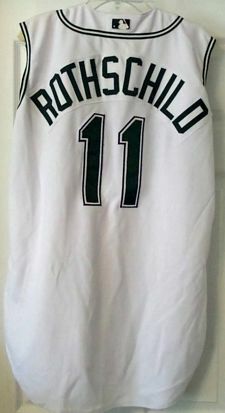 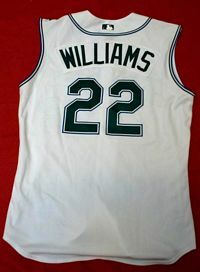 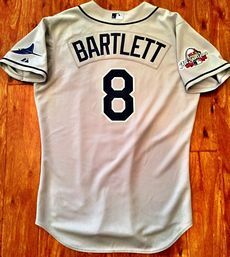 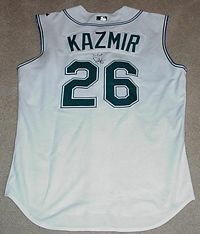 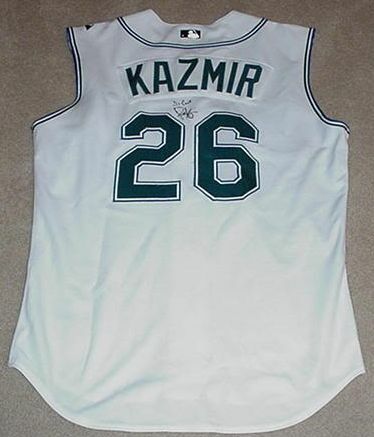 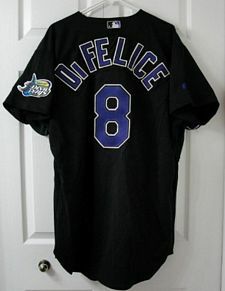 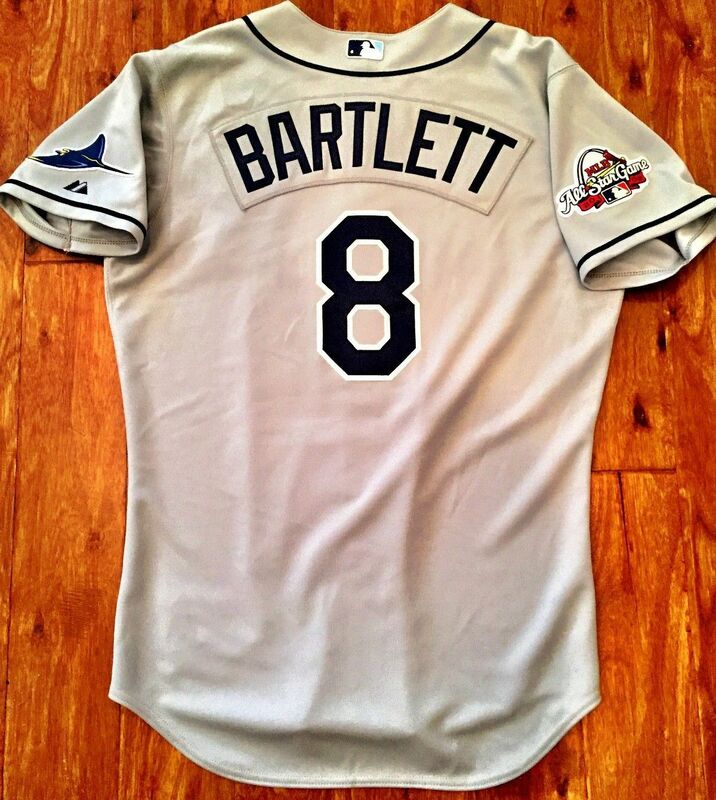 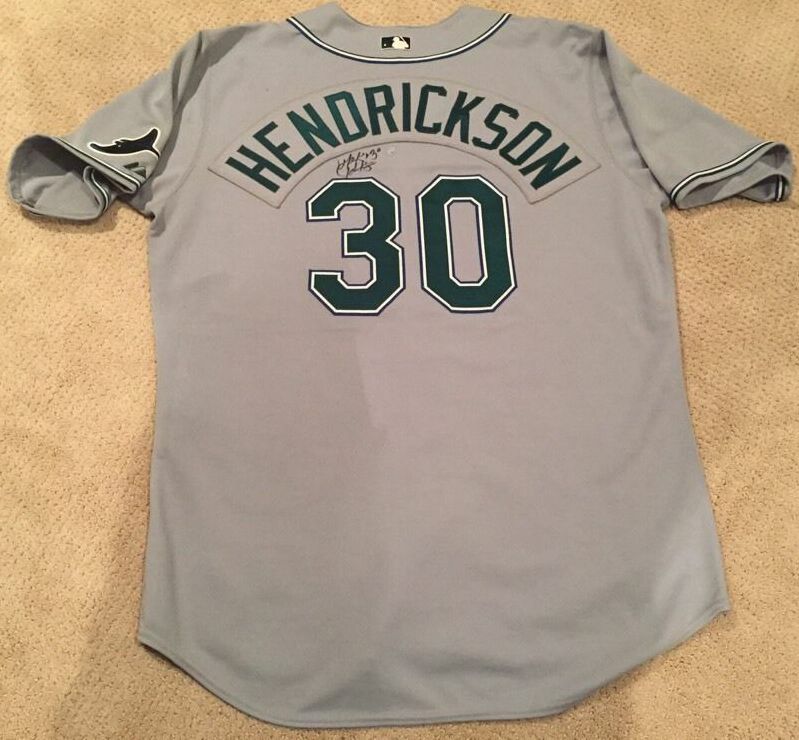 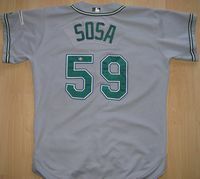 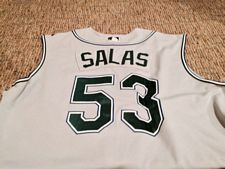 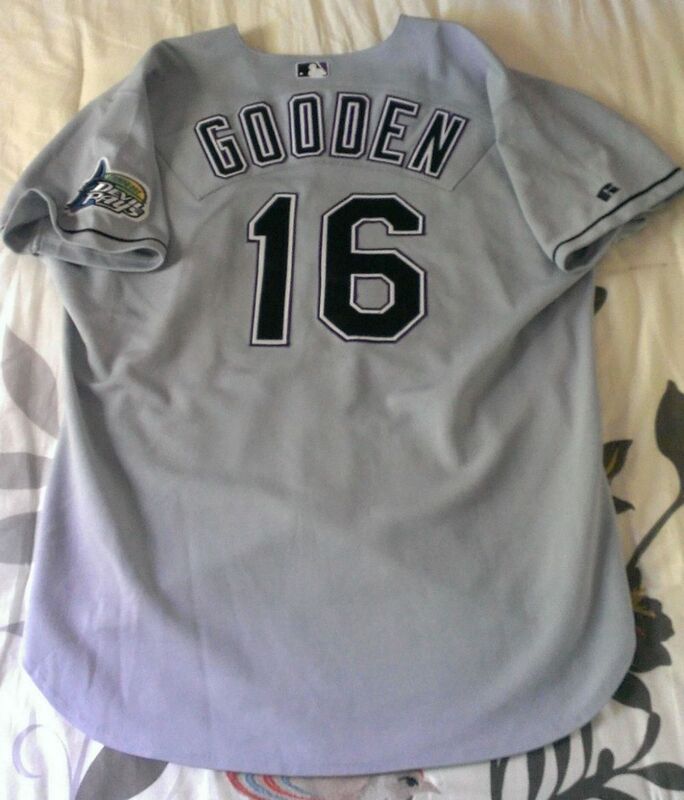 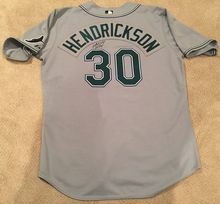 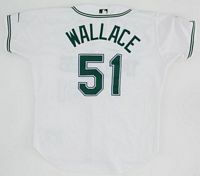 Worn at the all-star game. 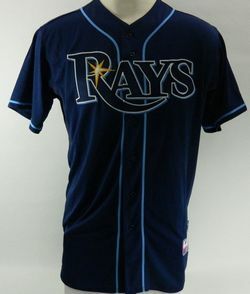 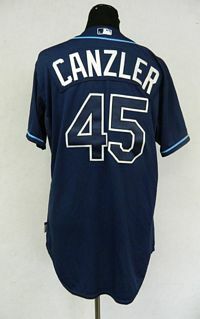 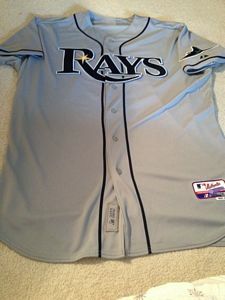 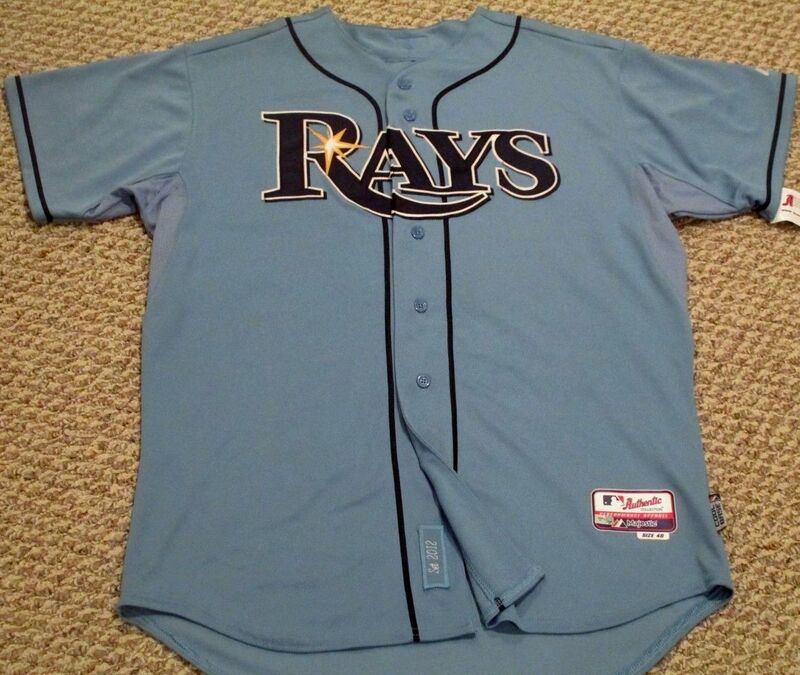 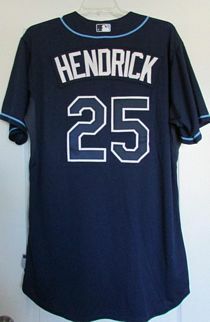 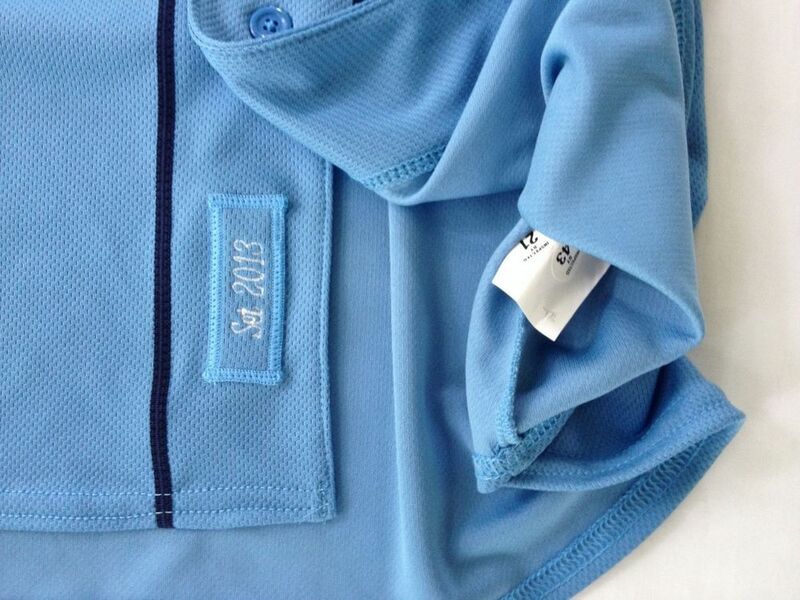 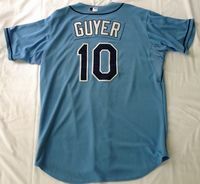 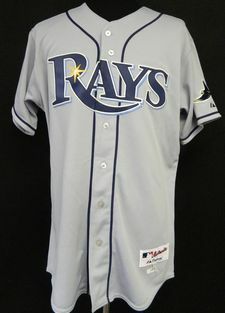 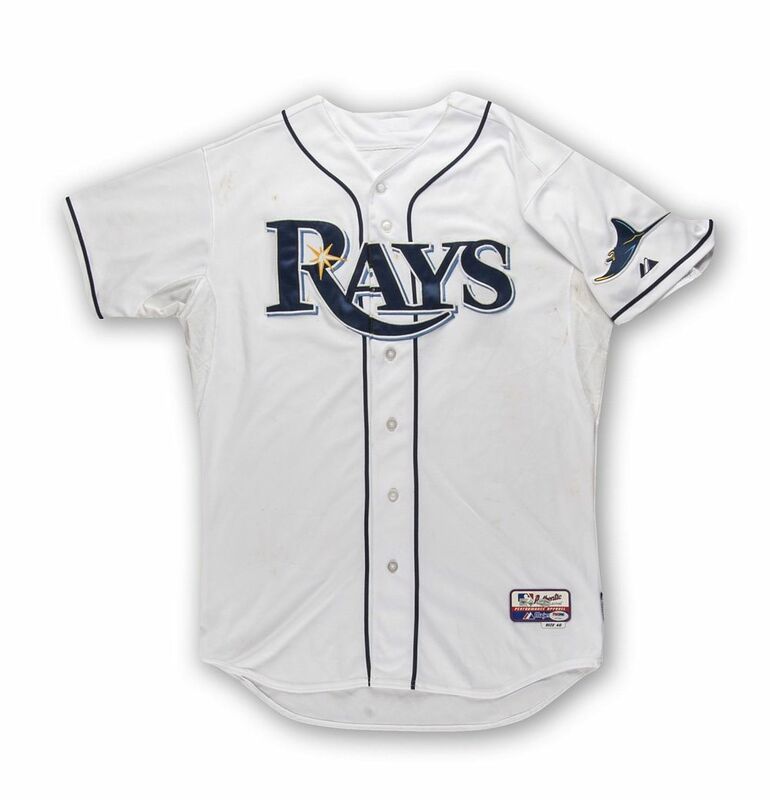 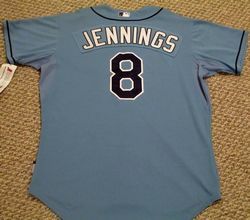 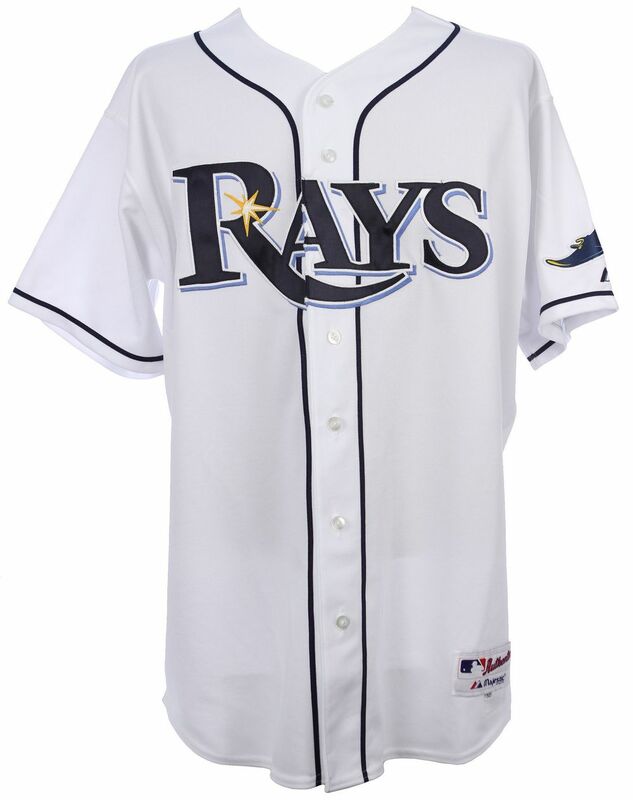 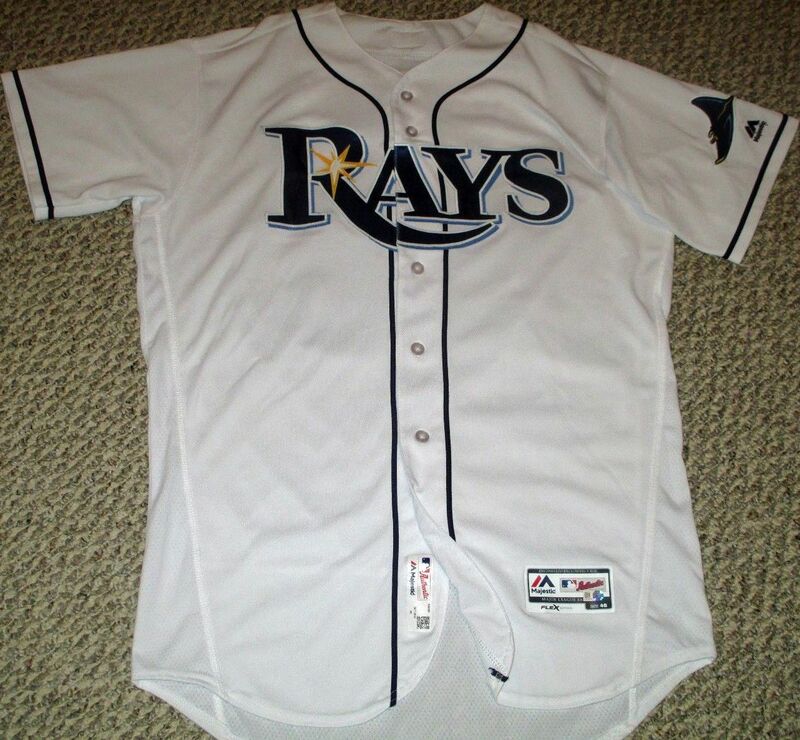 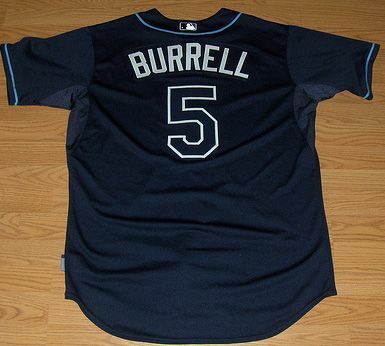 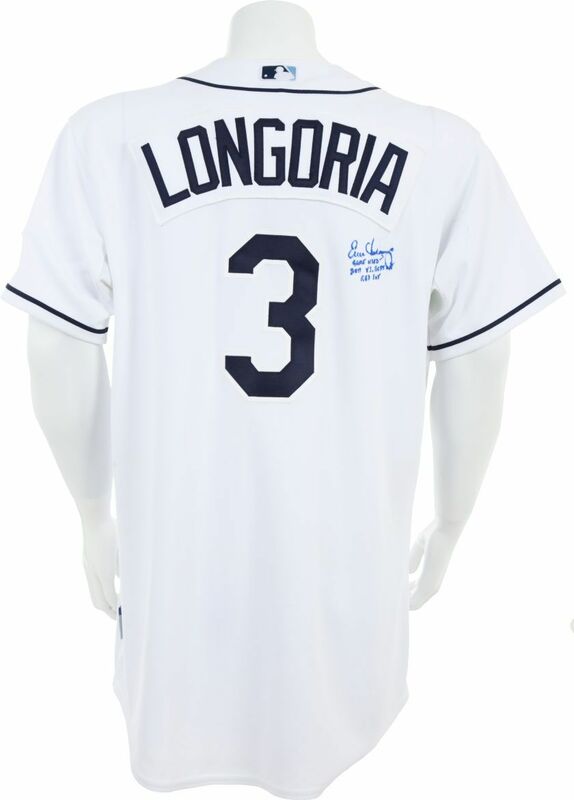 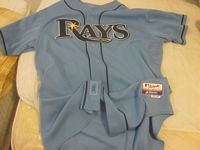 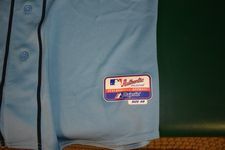 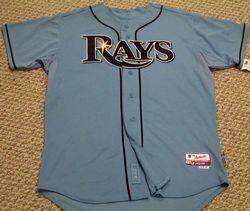 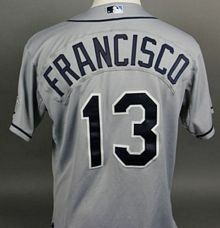 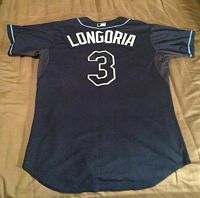 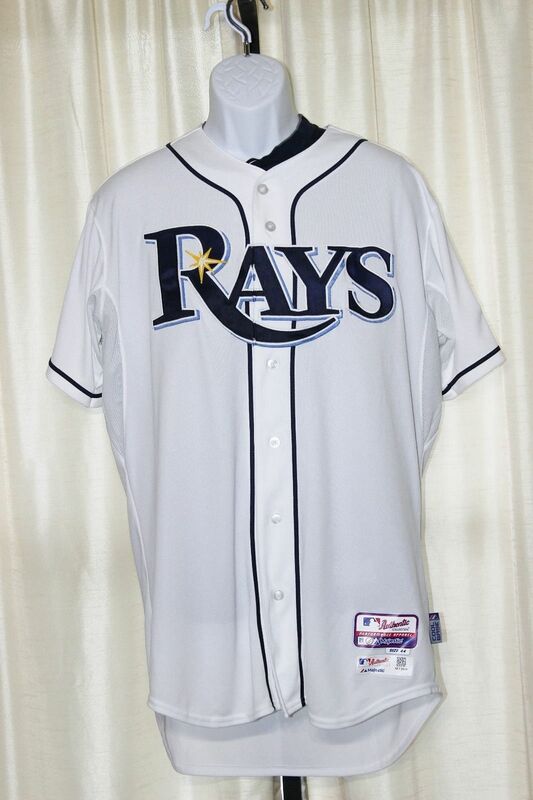 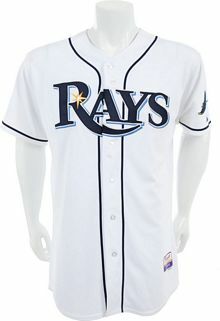 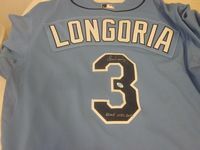 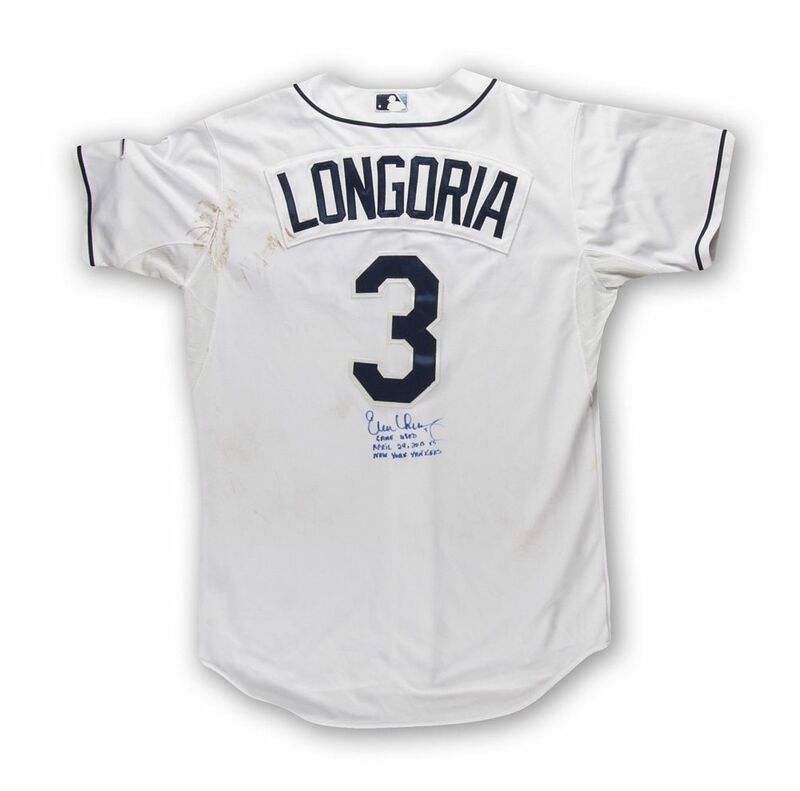 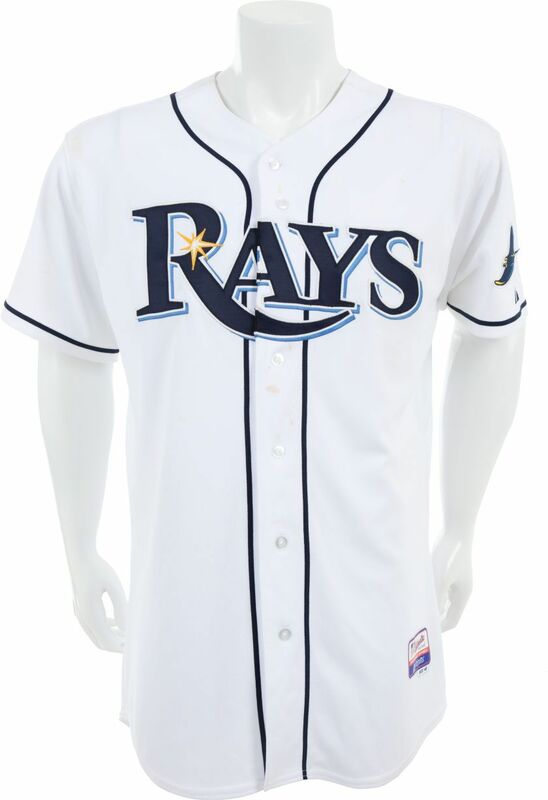 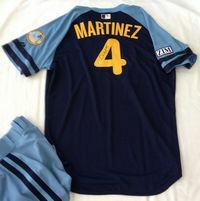 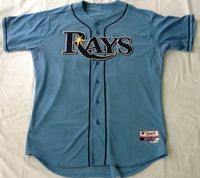 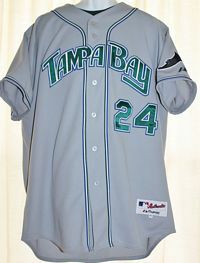 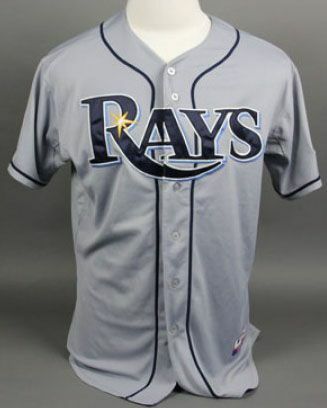 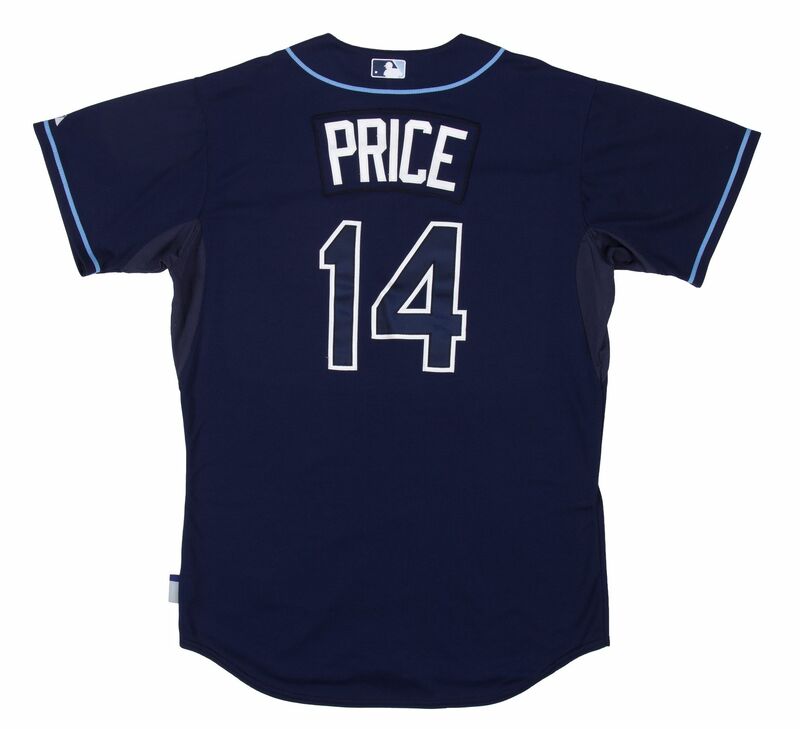 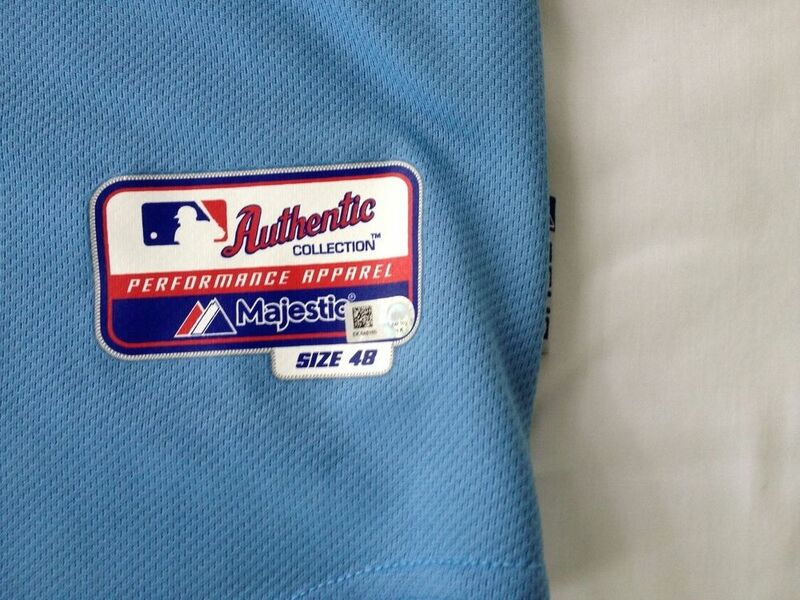 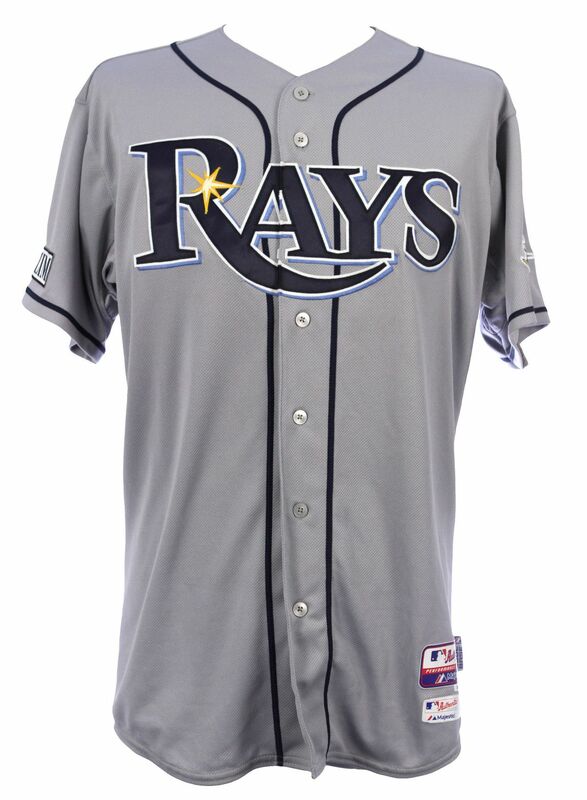 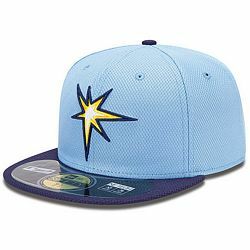 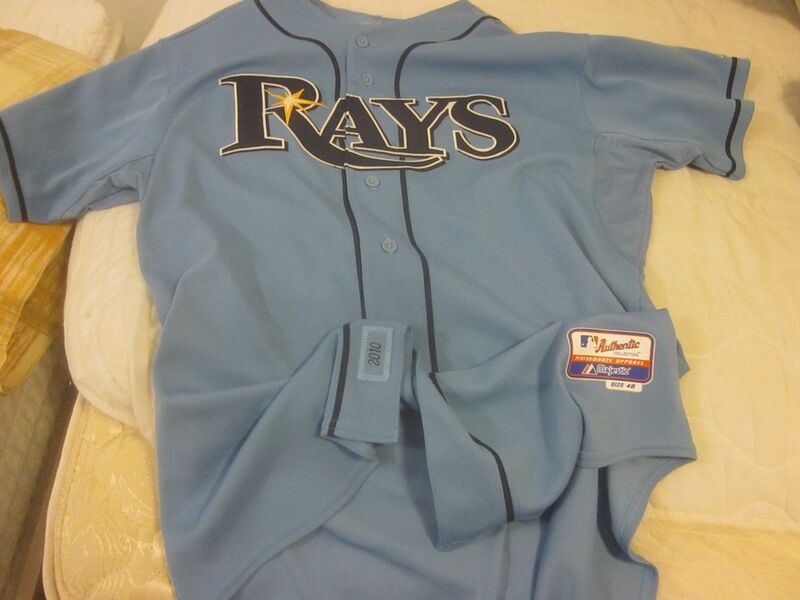 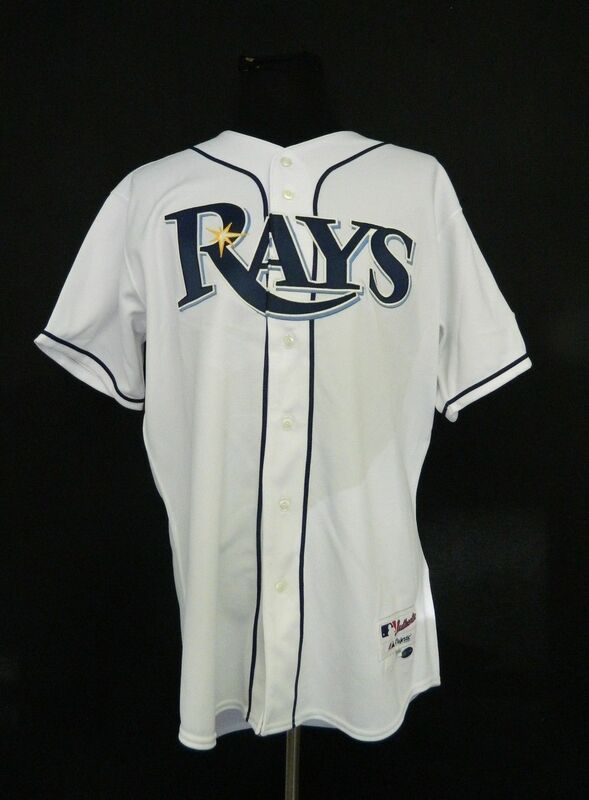 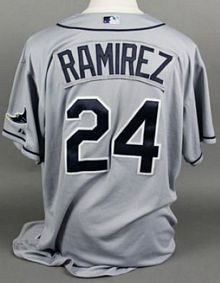 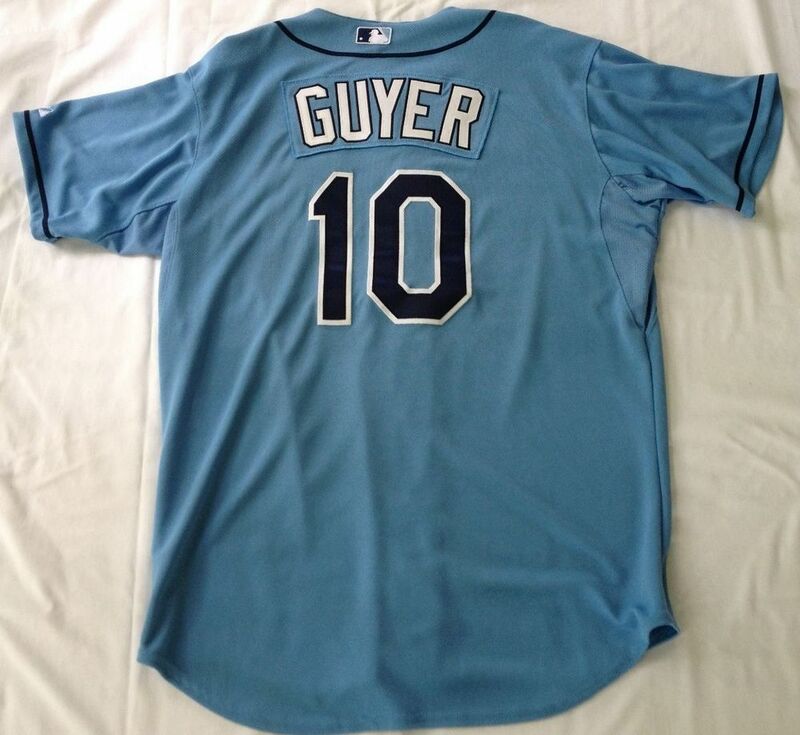 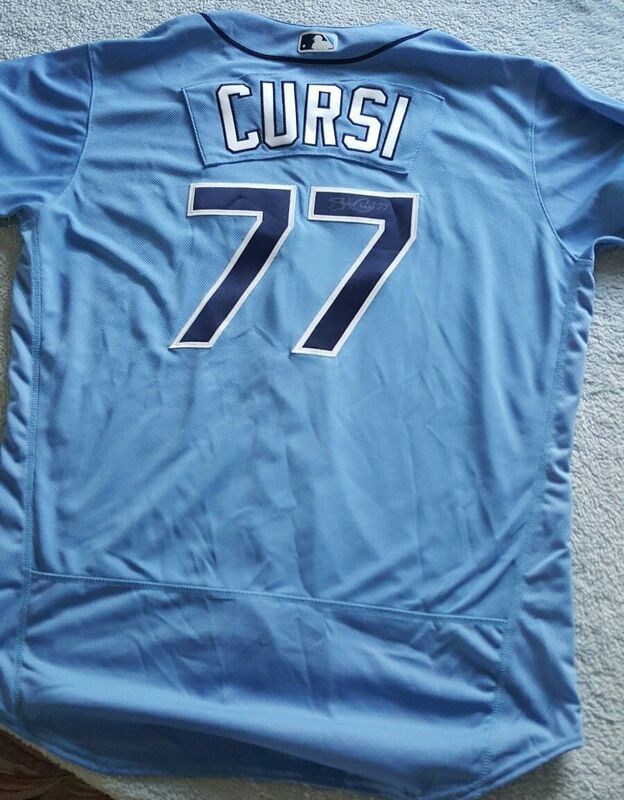 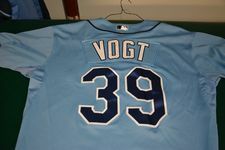 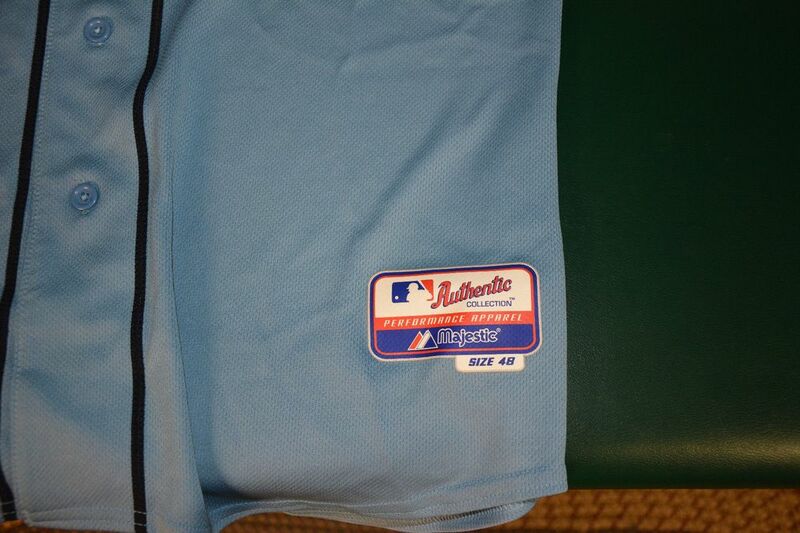 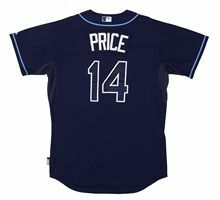 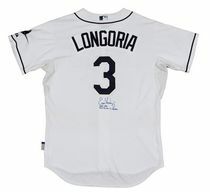 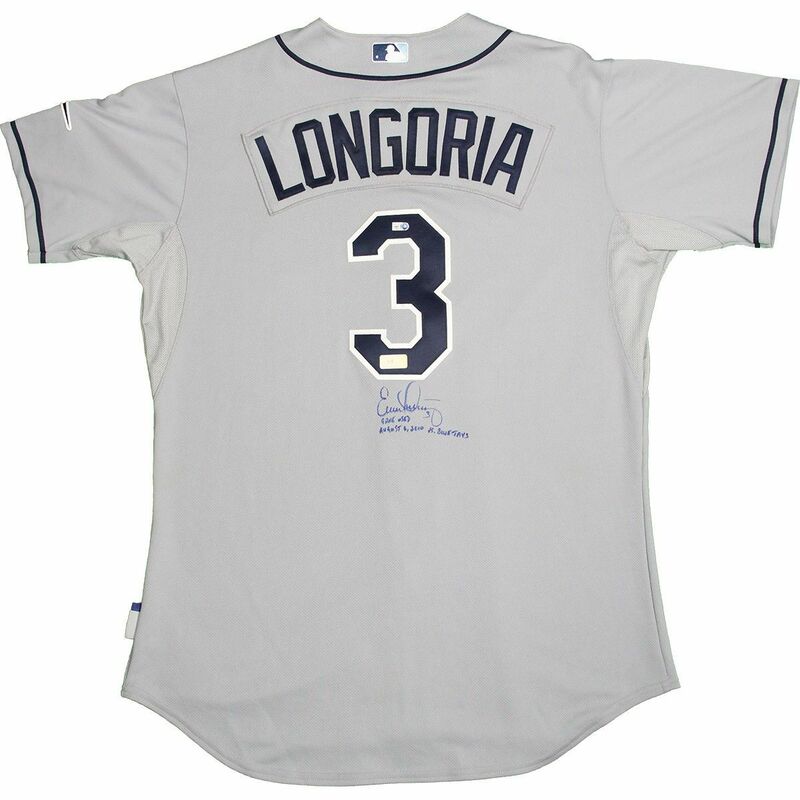 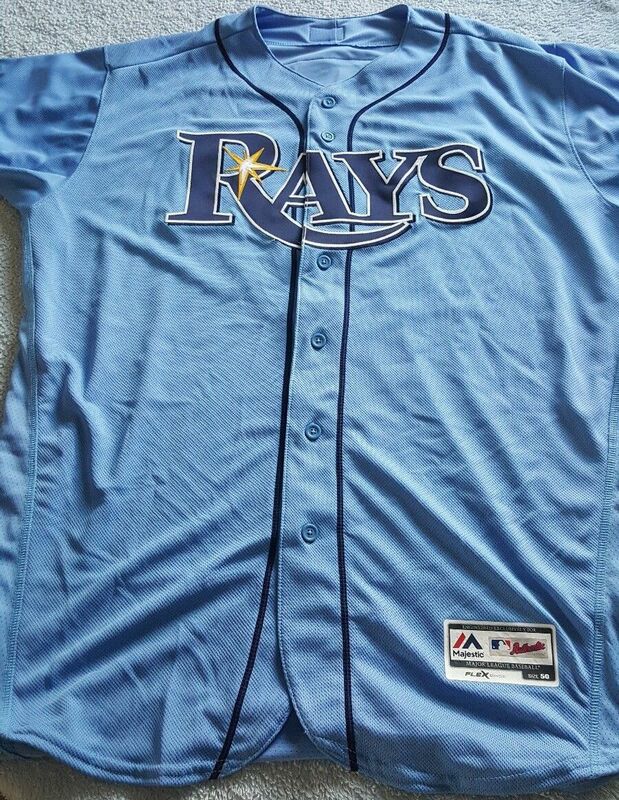 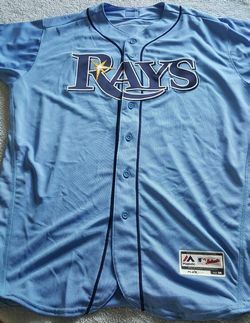 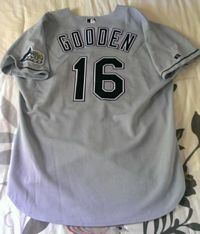 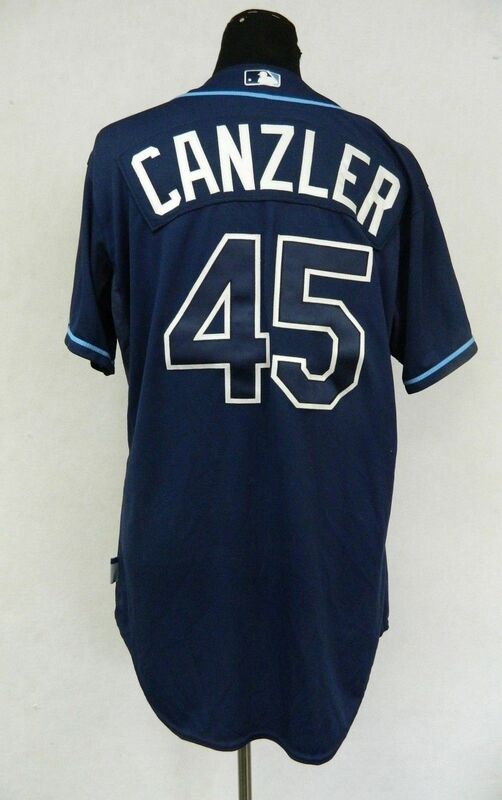 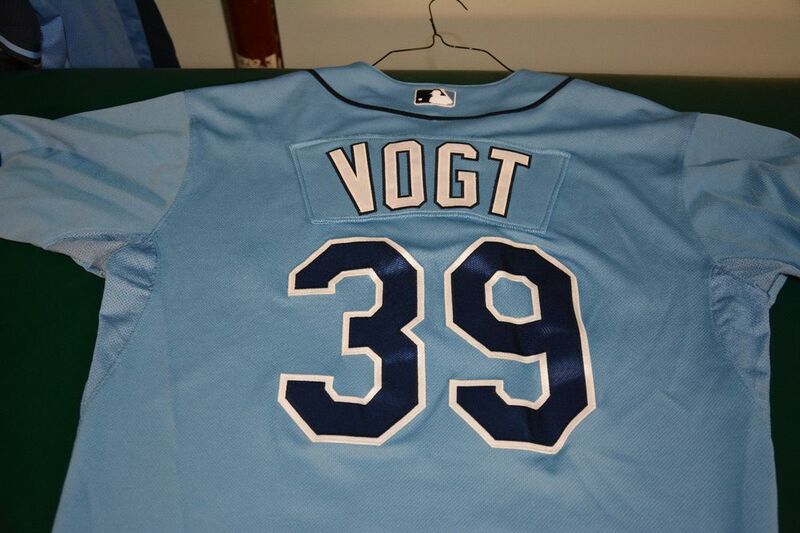 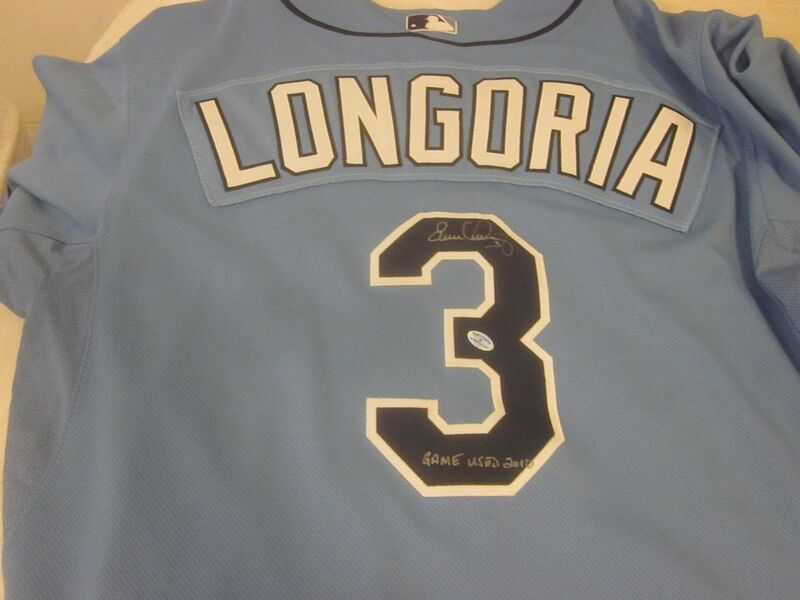 Light blue home alternate jersey joins the set. 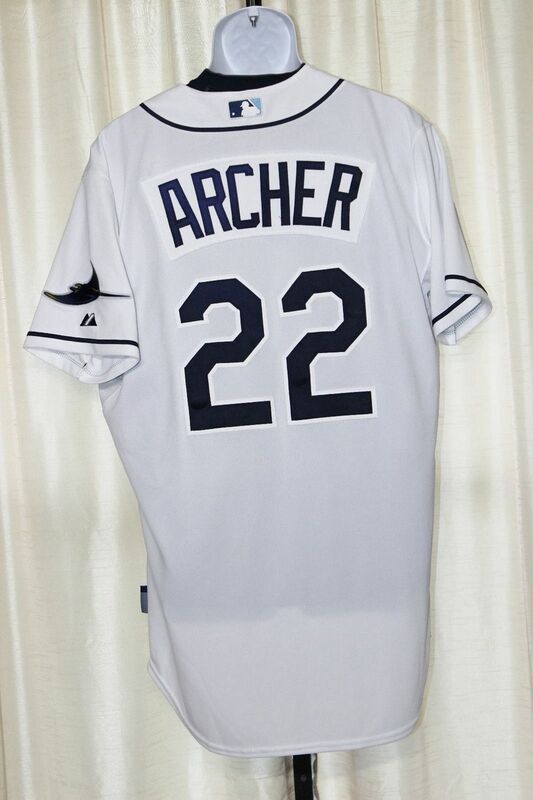 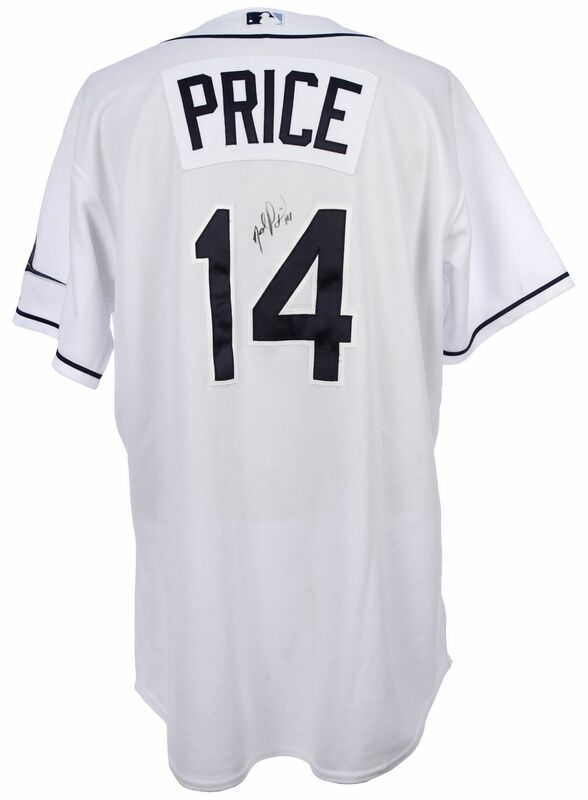 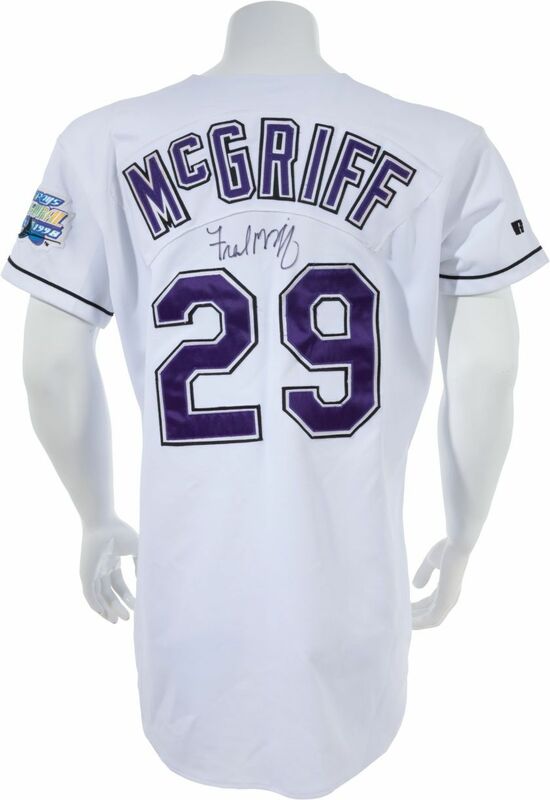 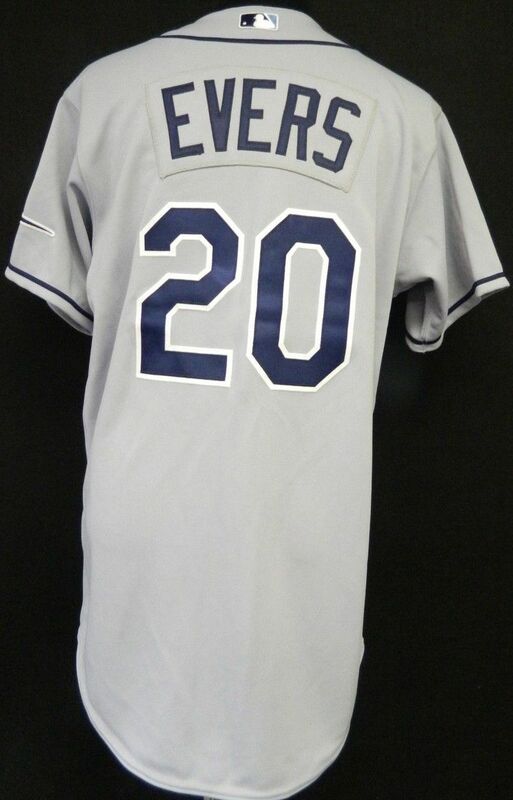 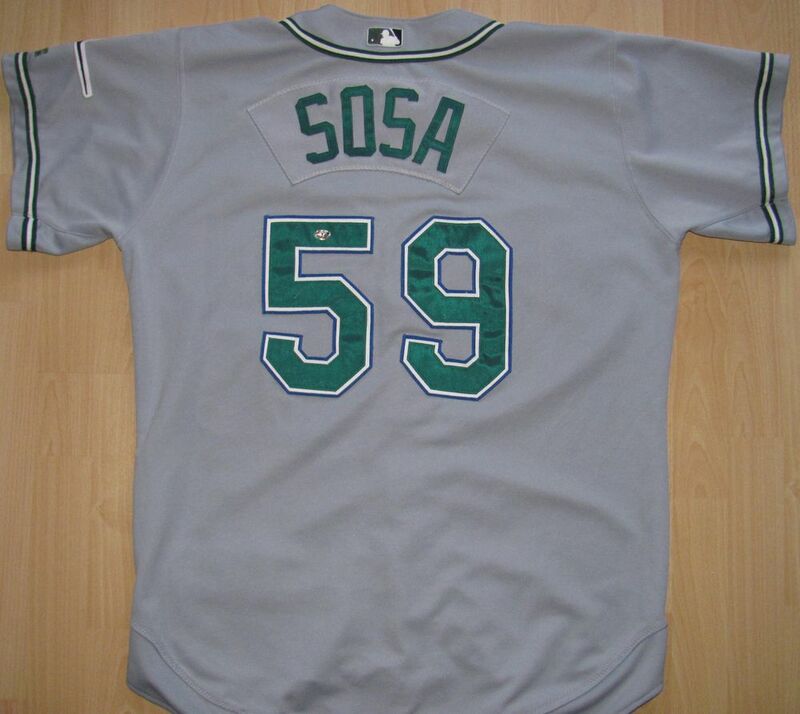 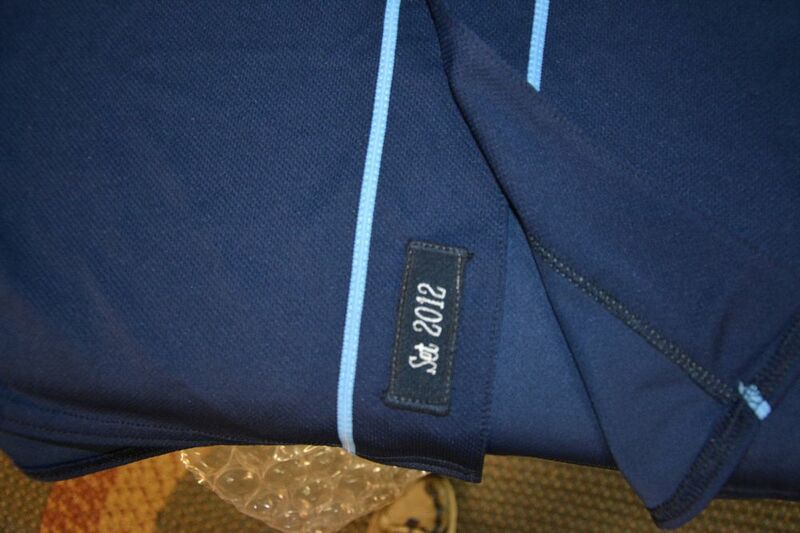 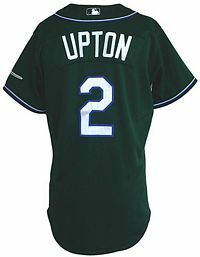 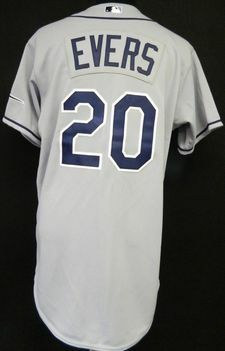 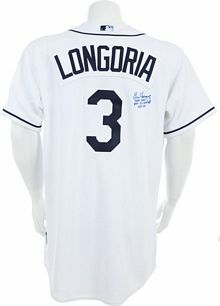 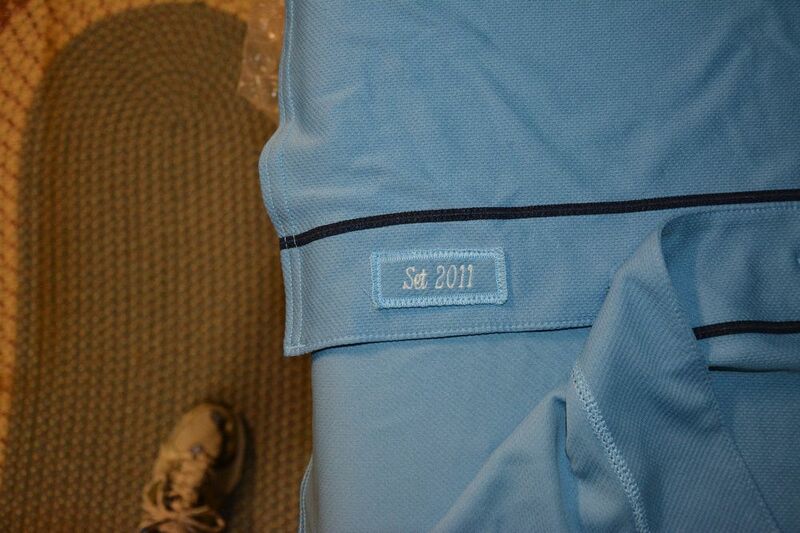 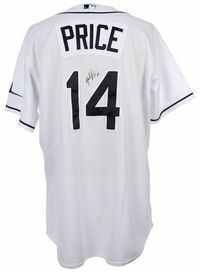 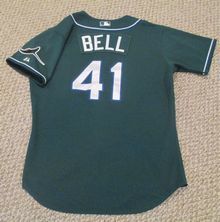 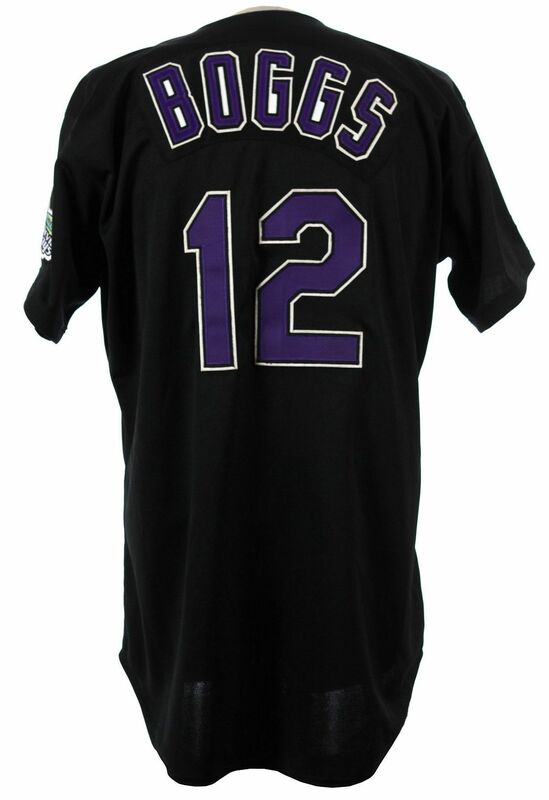 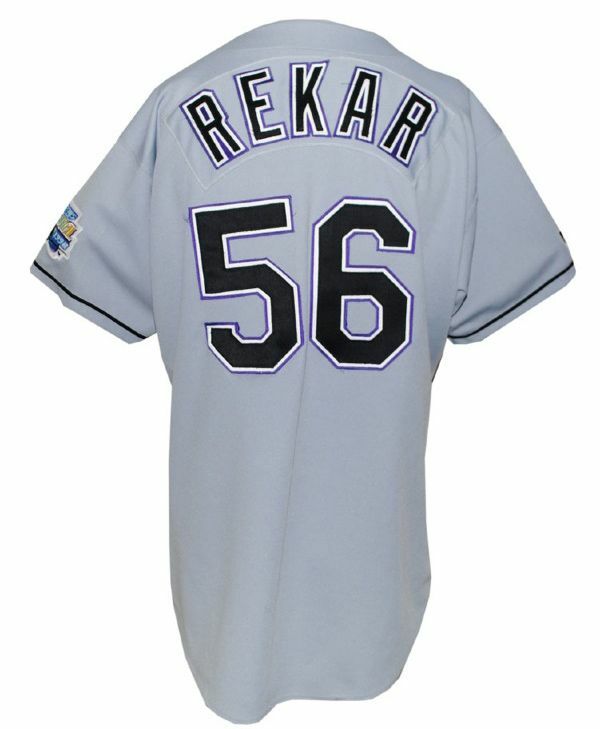 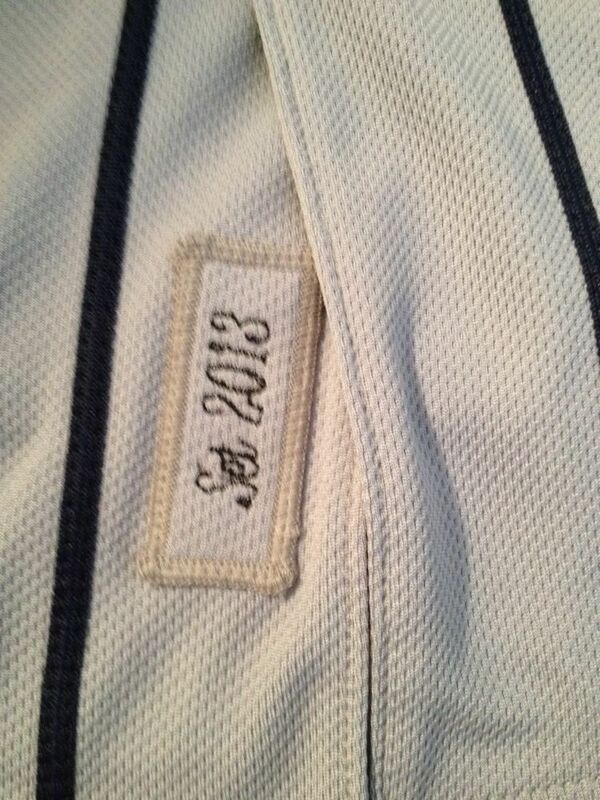 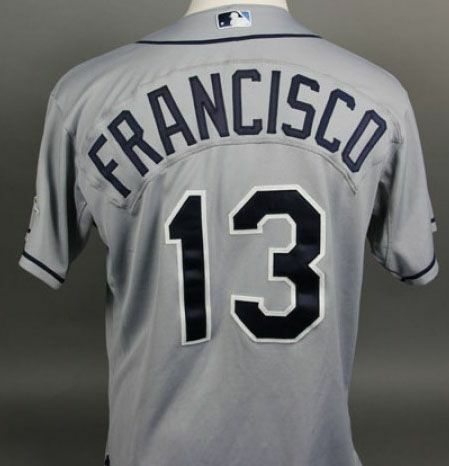 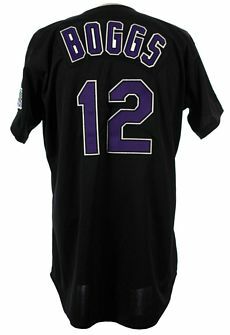 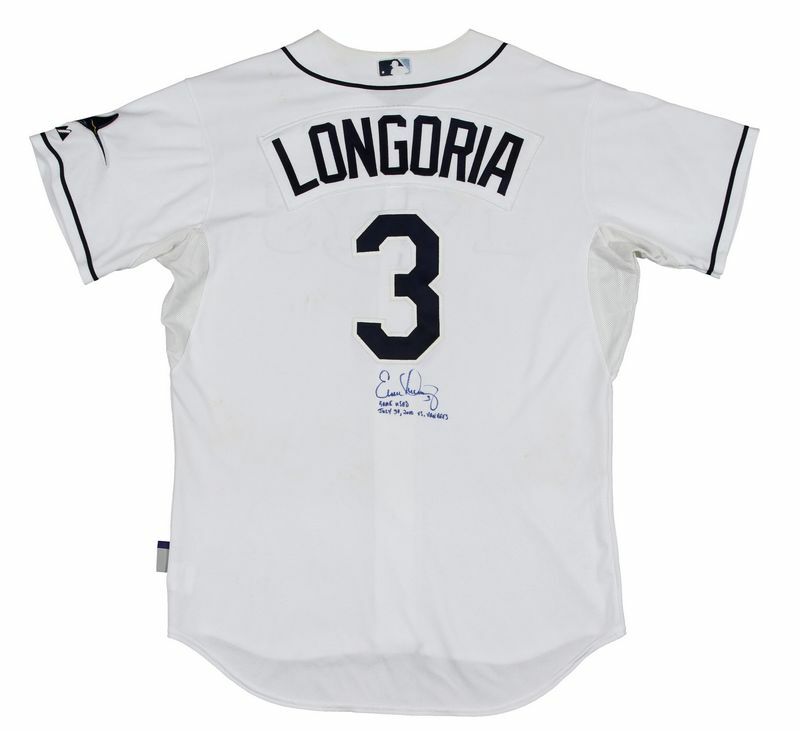 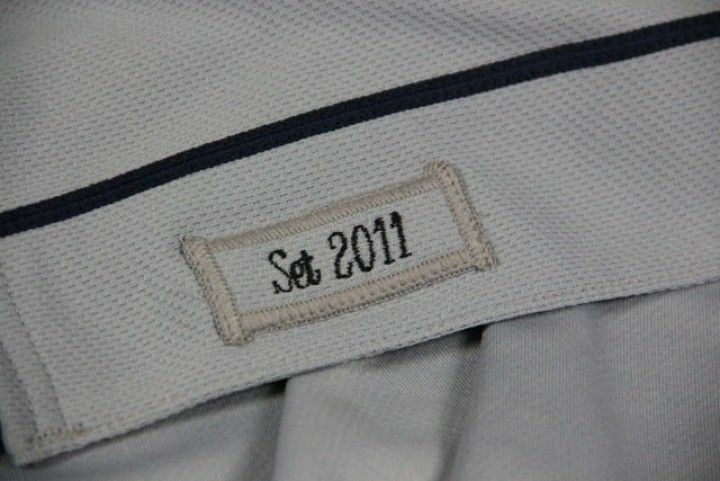 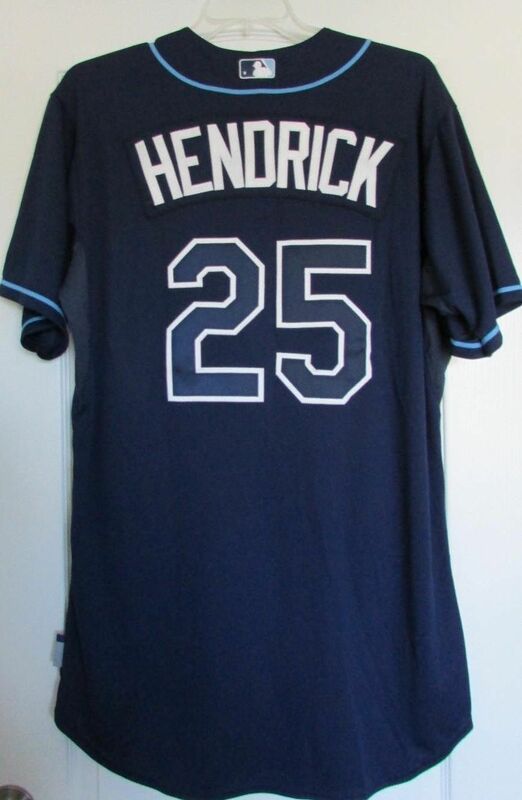 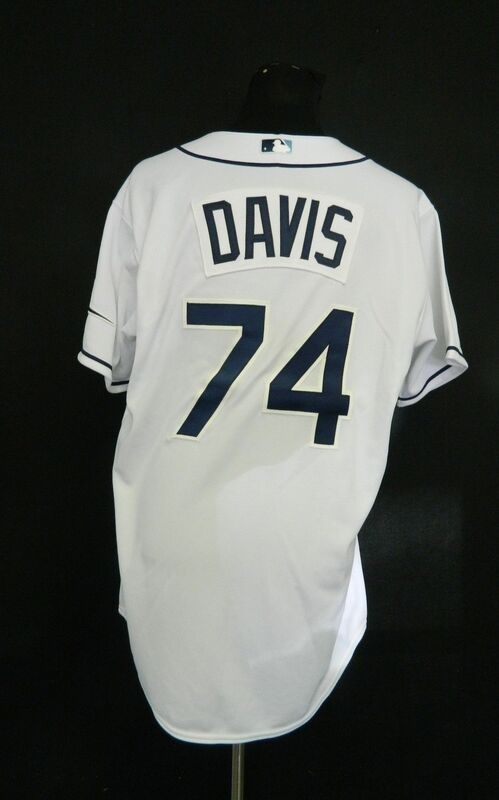 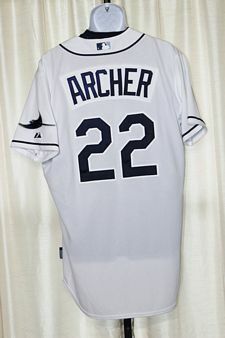 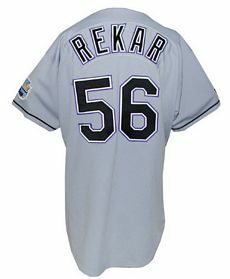 Turn Back the Clock jersey used in 2012 carries on in 2013 as an official alternate. 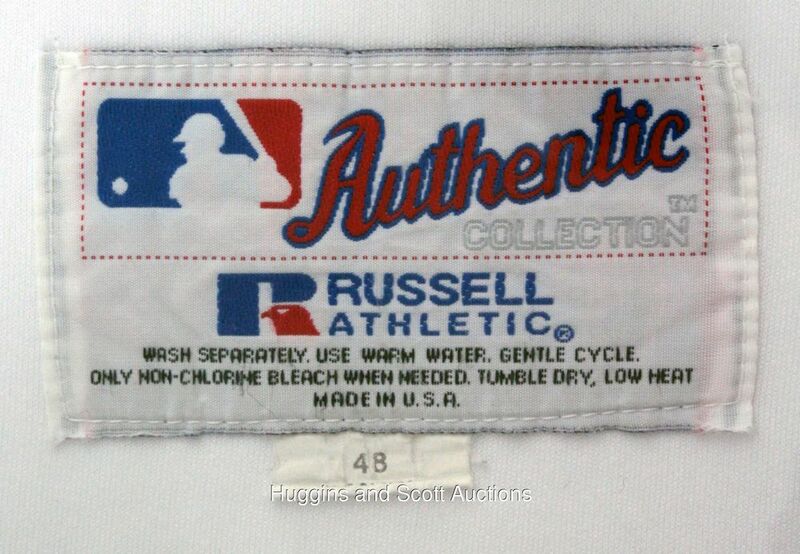 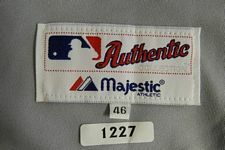 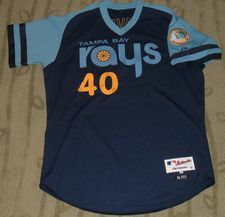 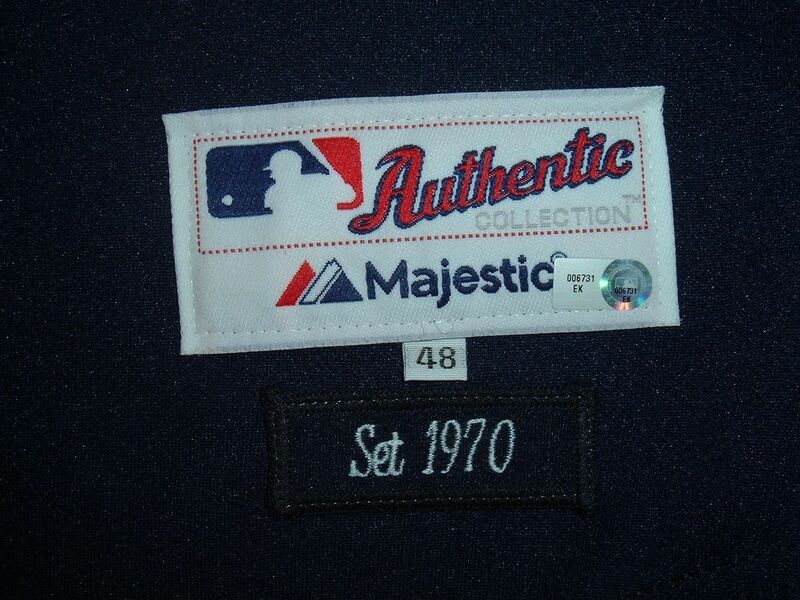 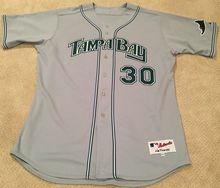 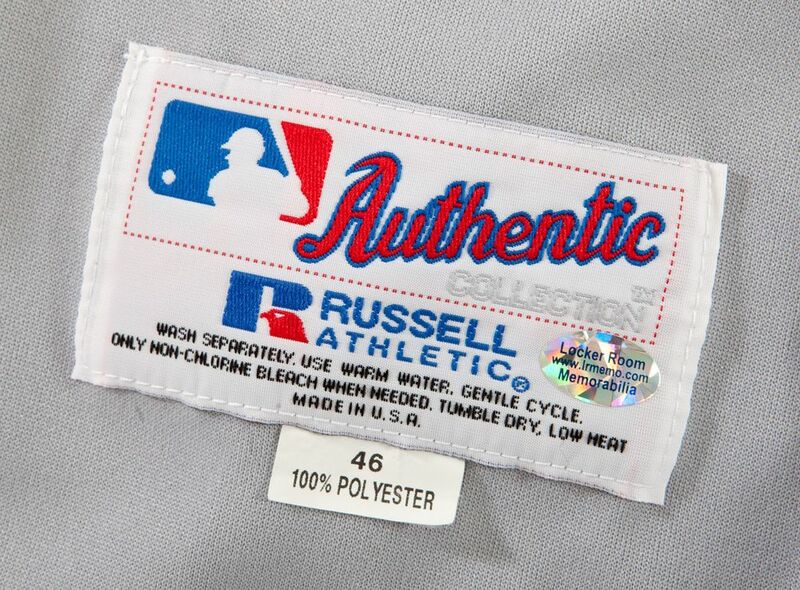 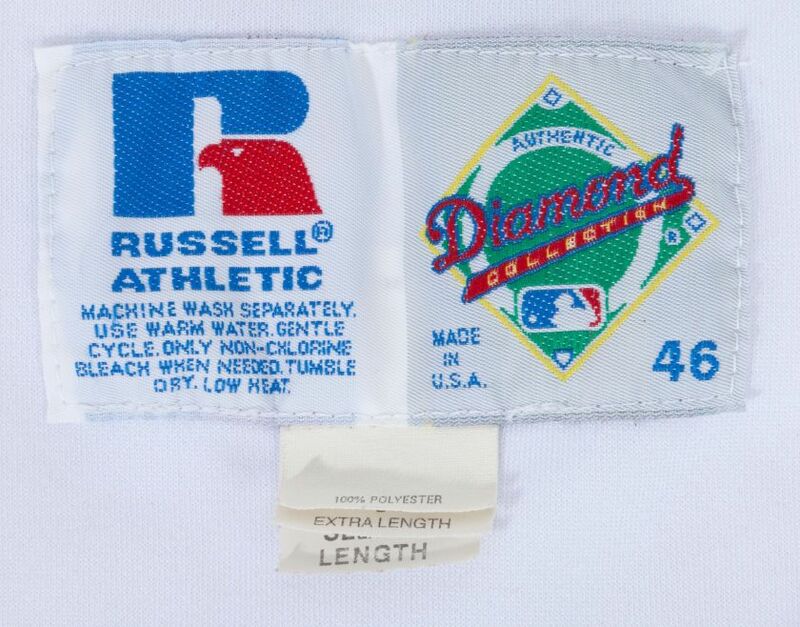 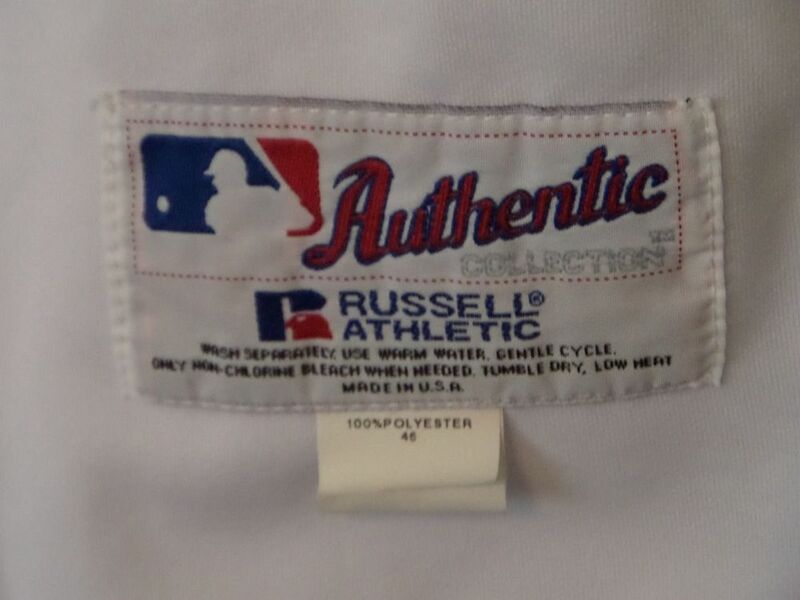 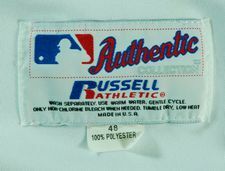 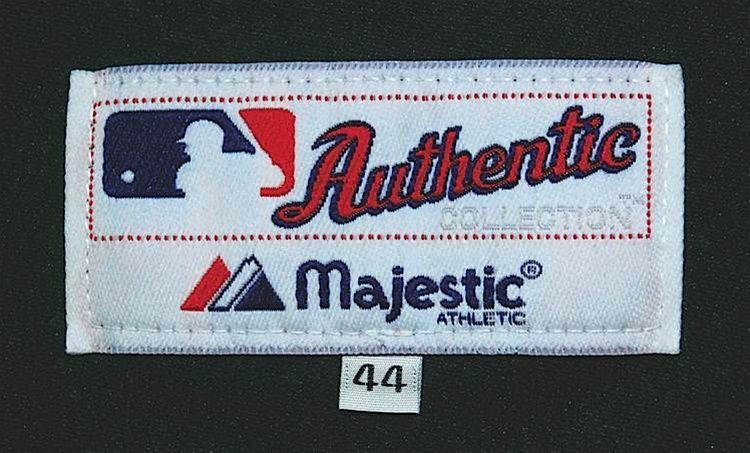 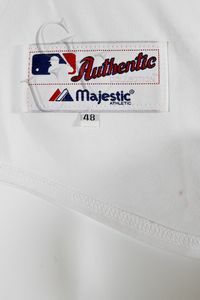 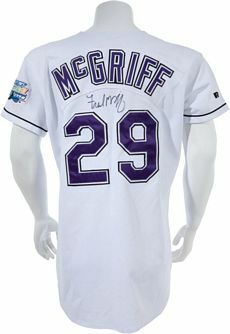 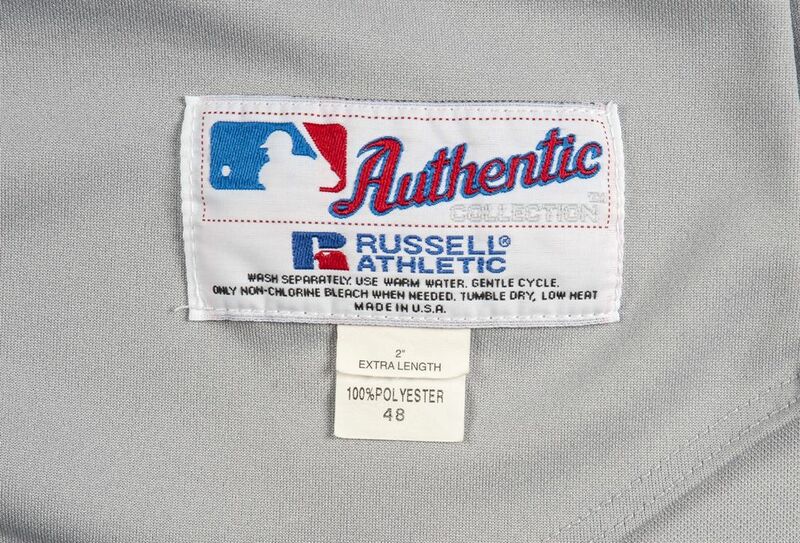 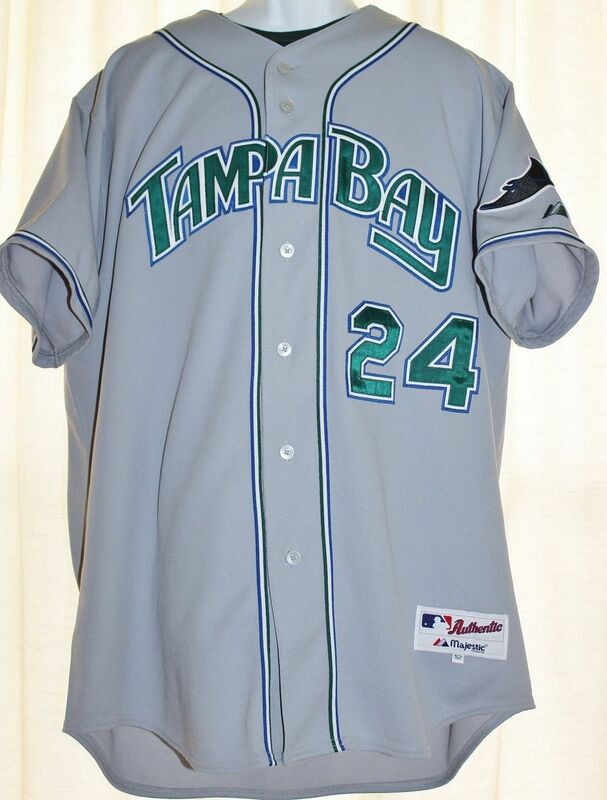 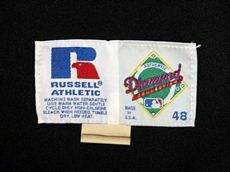 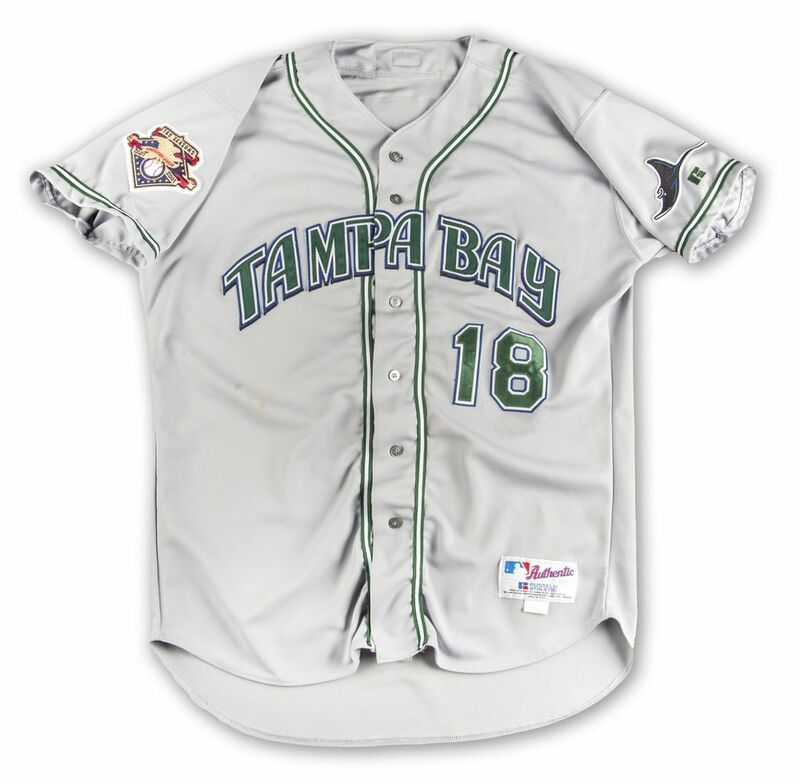 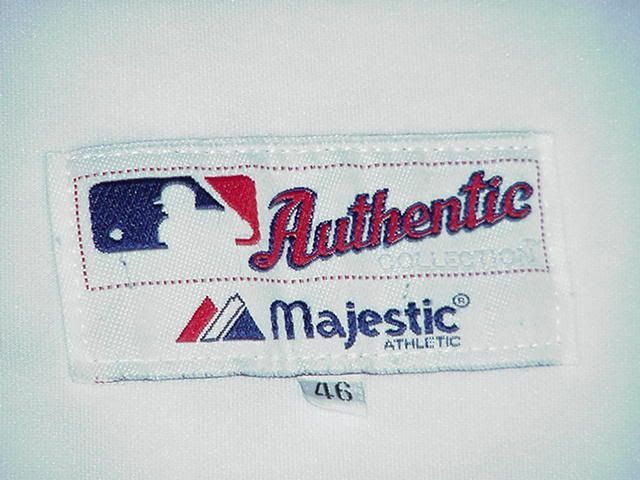 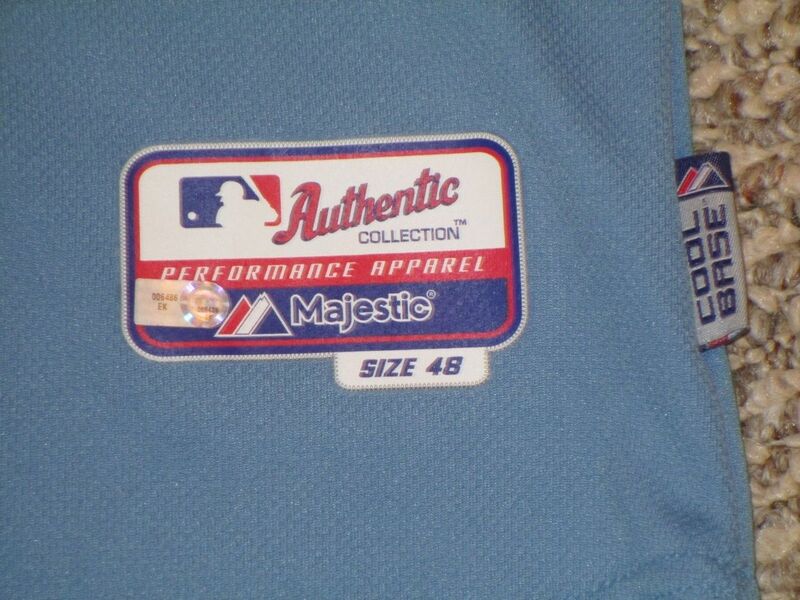 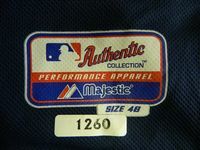 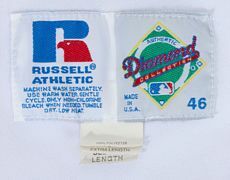 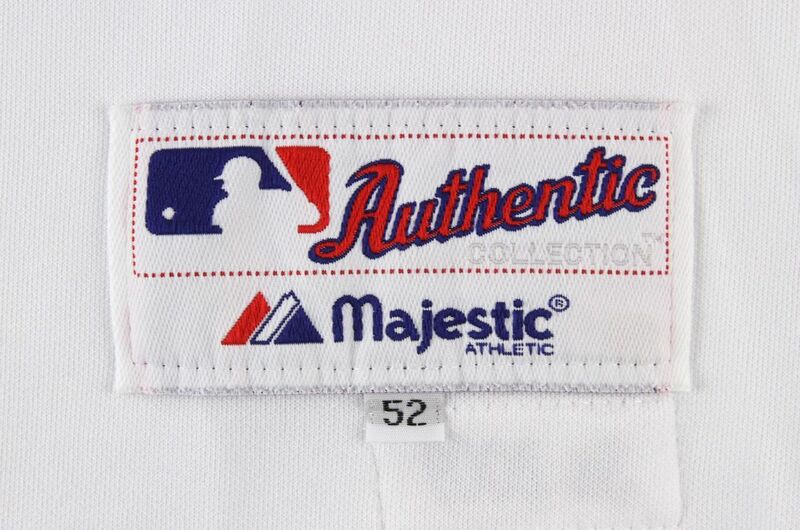 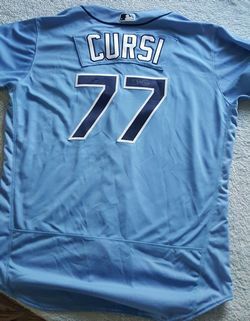 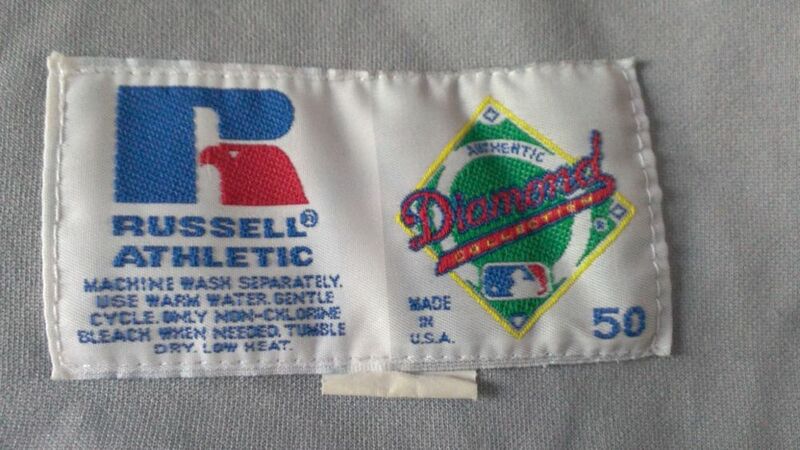 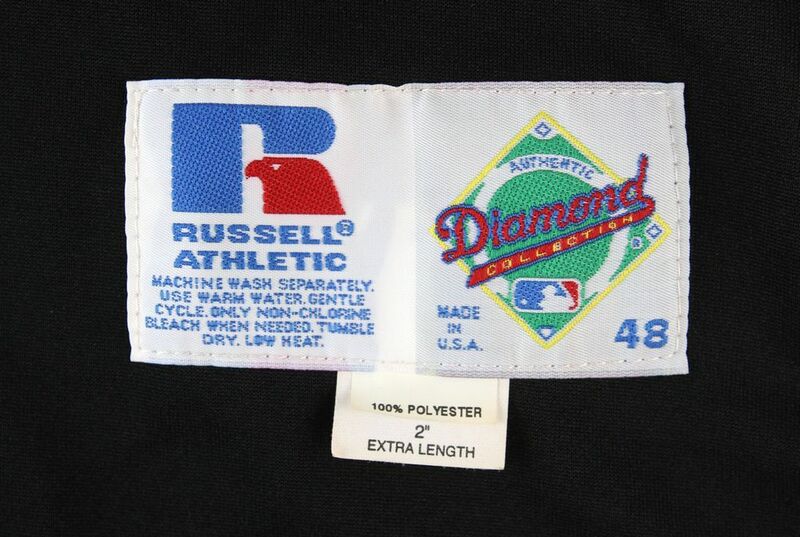 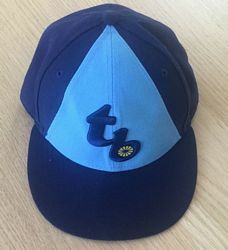 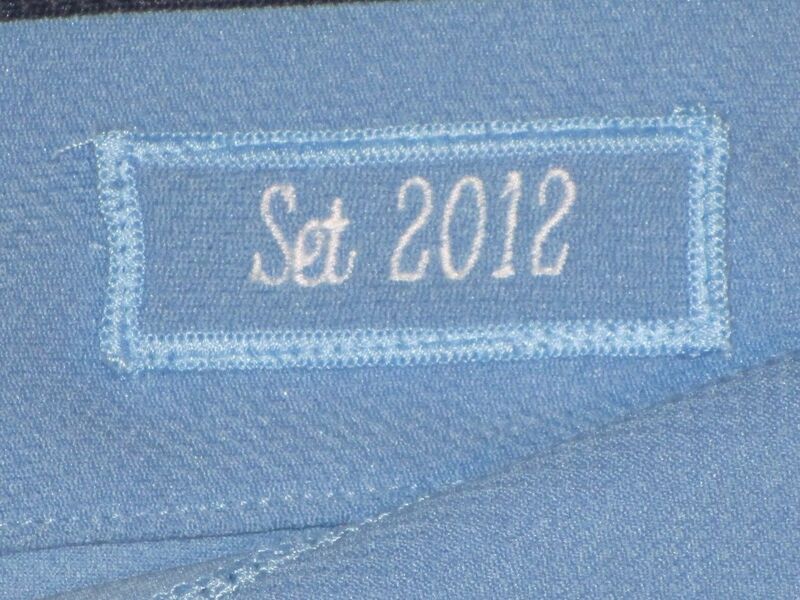 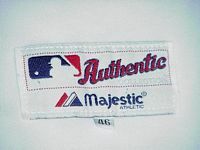 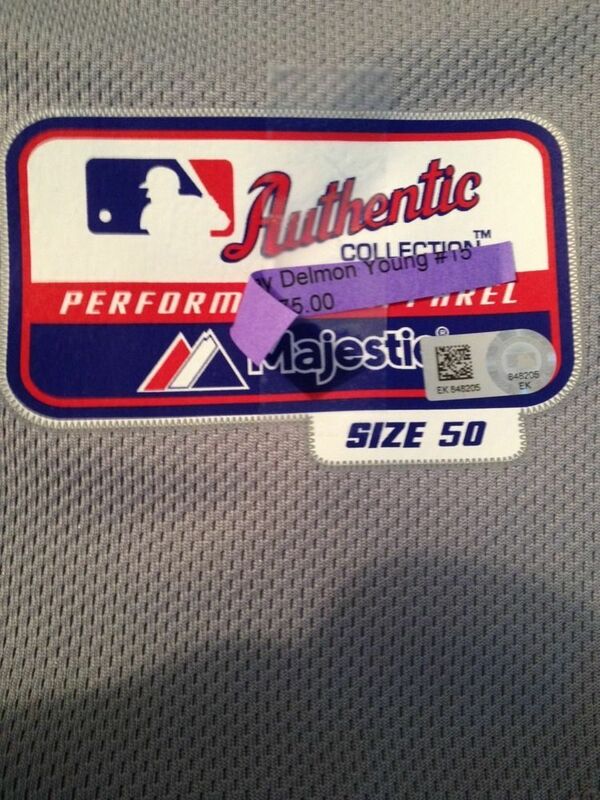 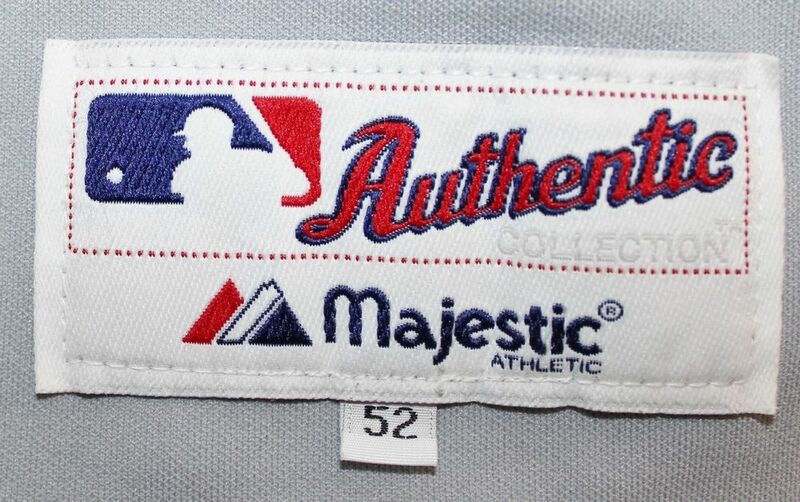 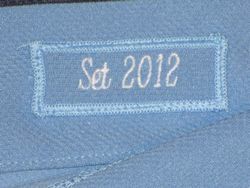 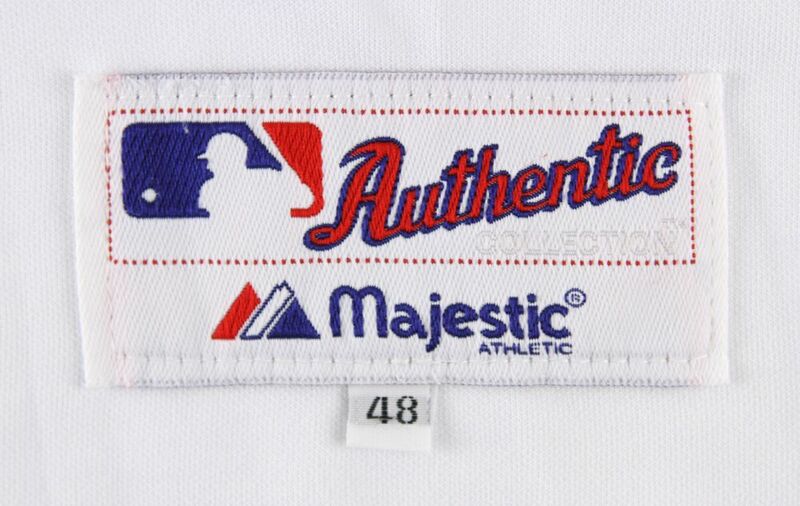 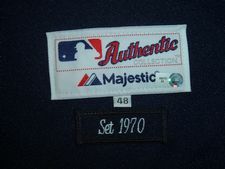 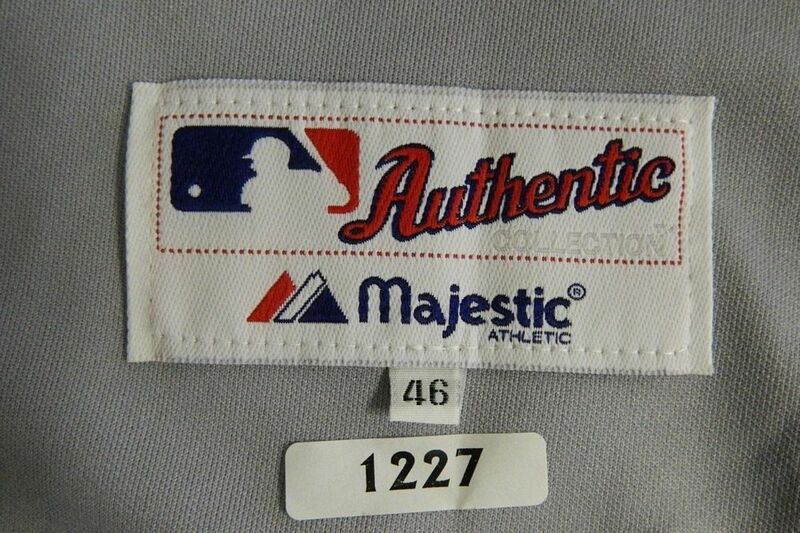 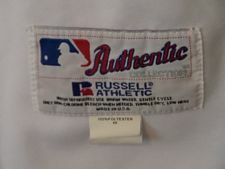 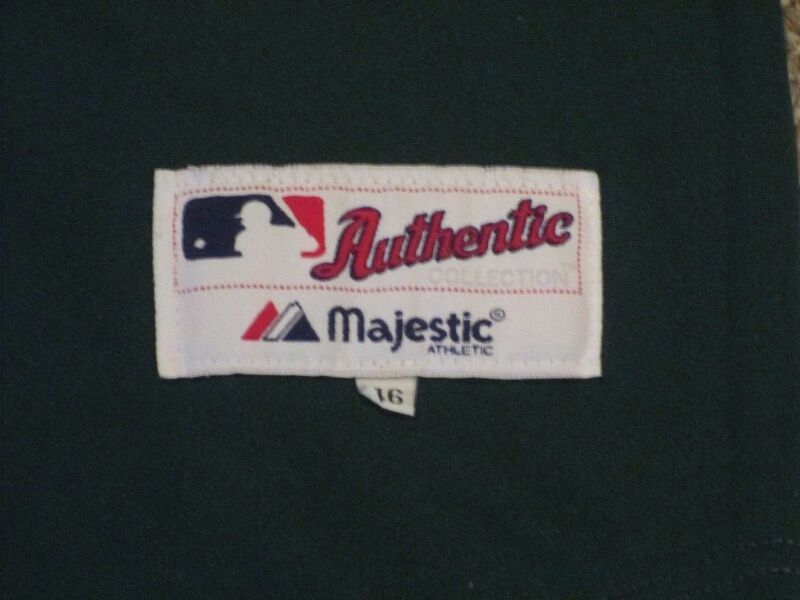 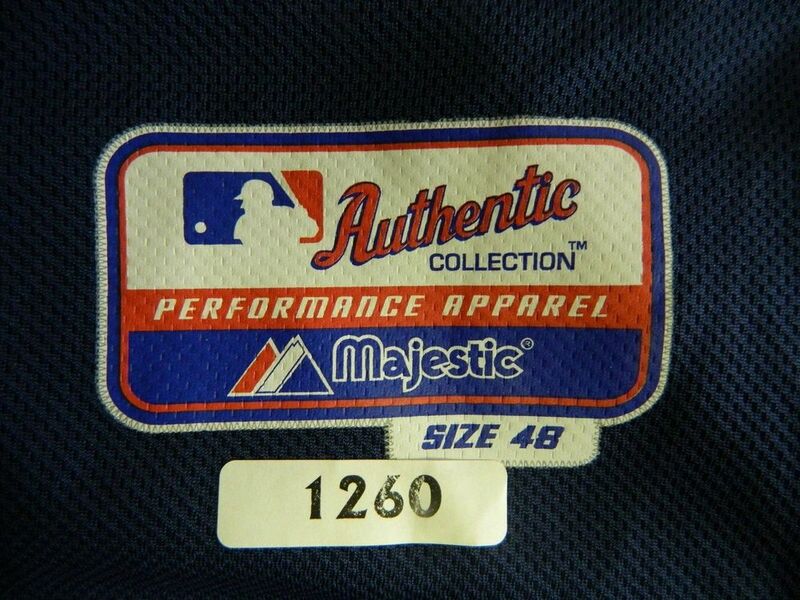 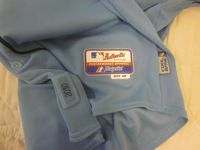 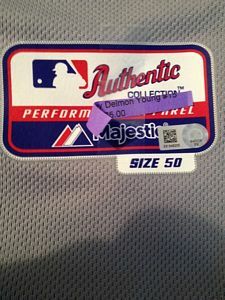 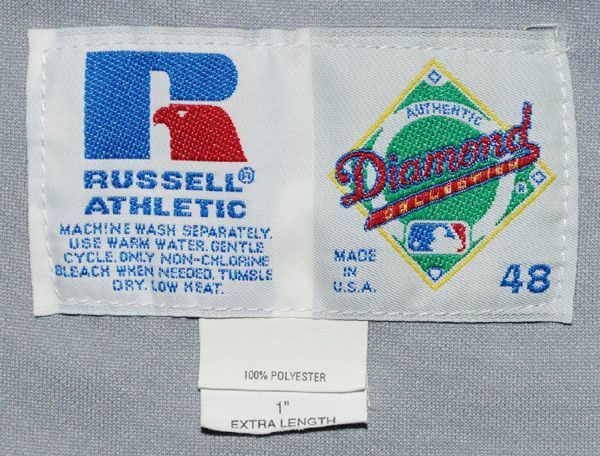 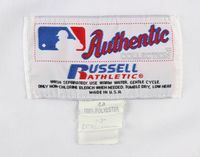 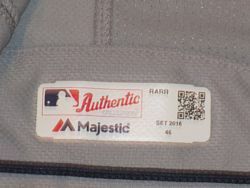 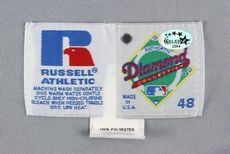 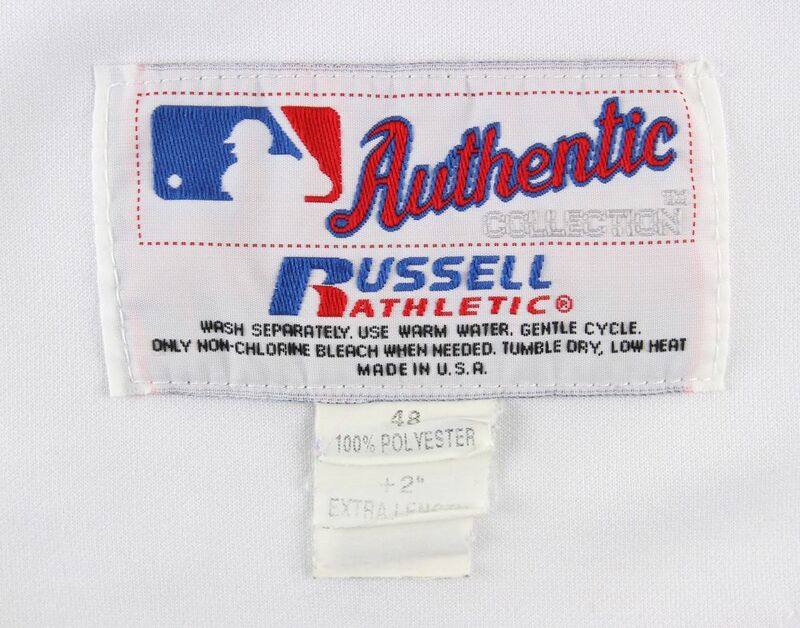 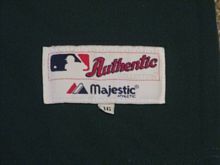 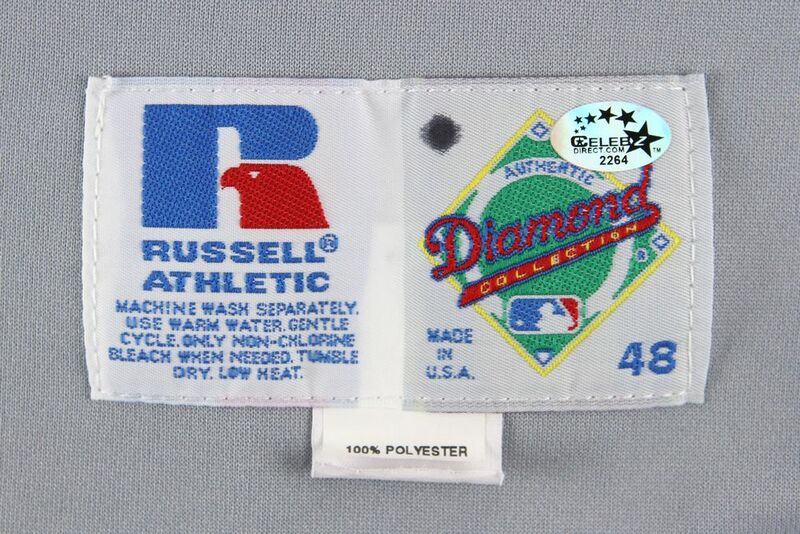 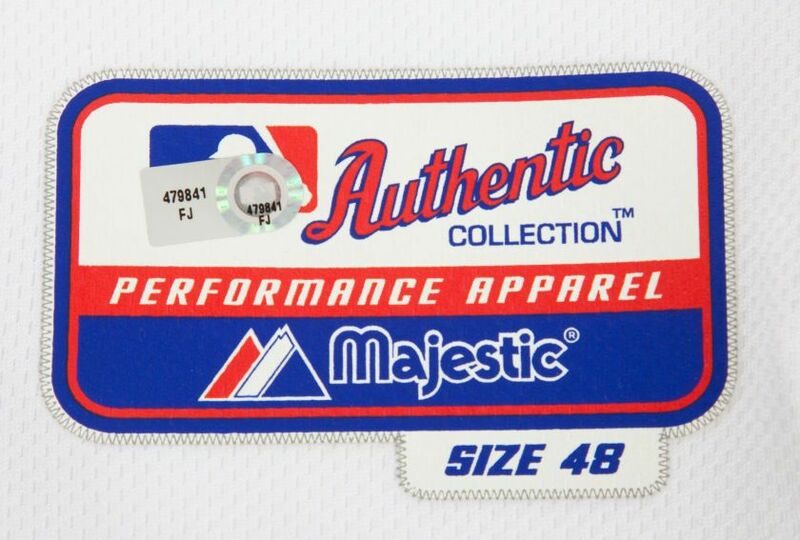 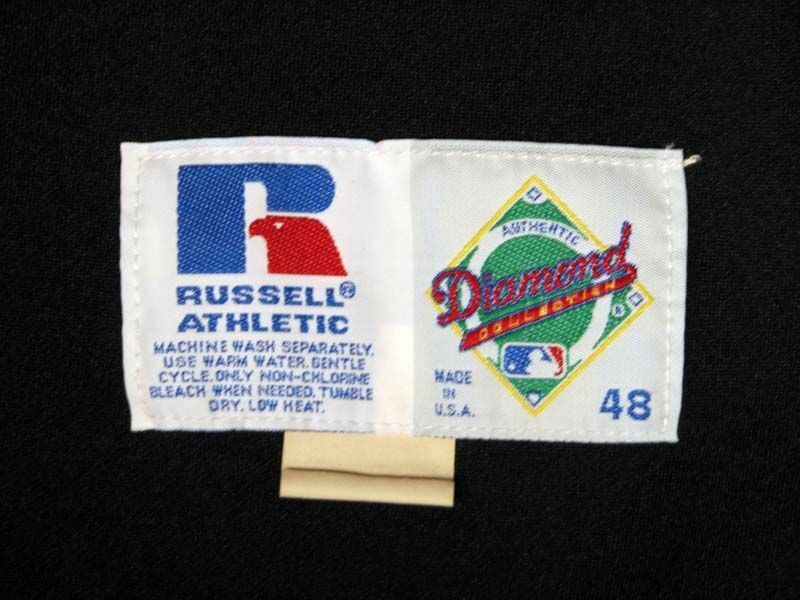 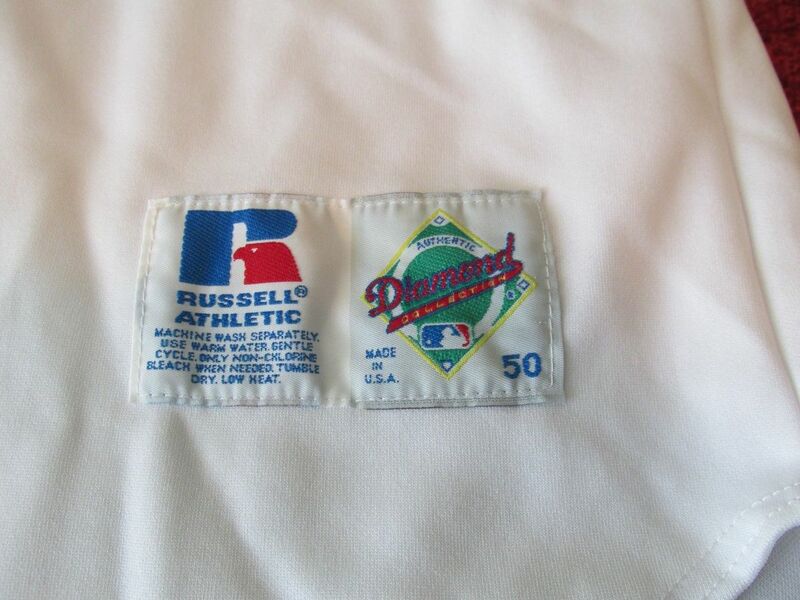 In the true spirit of TBTC, the year tag says 1970 (the team was formed in 1998).